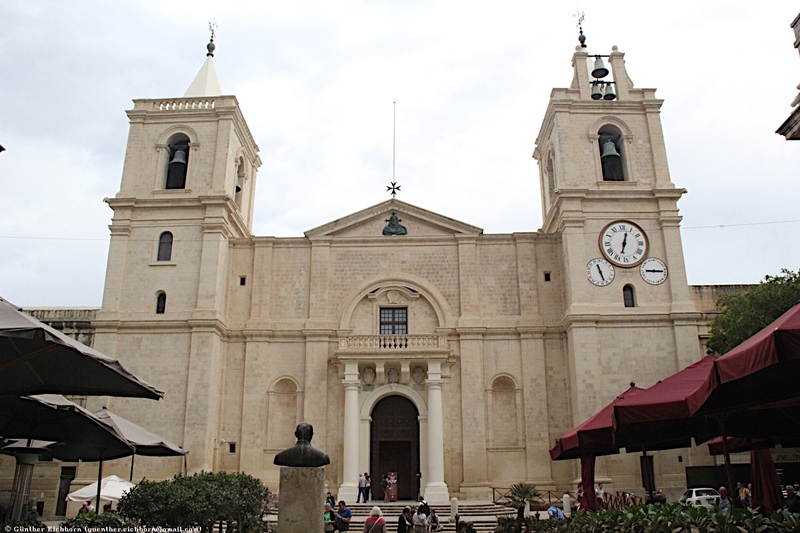 This is the description of the Malta part of the trip. 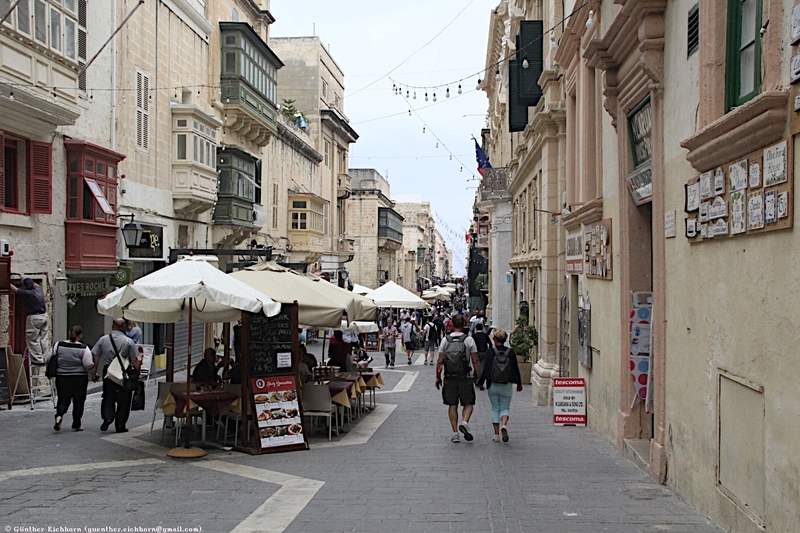 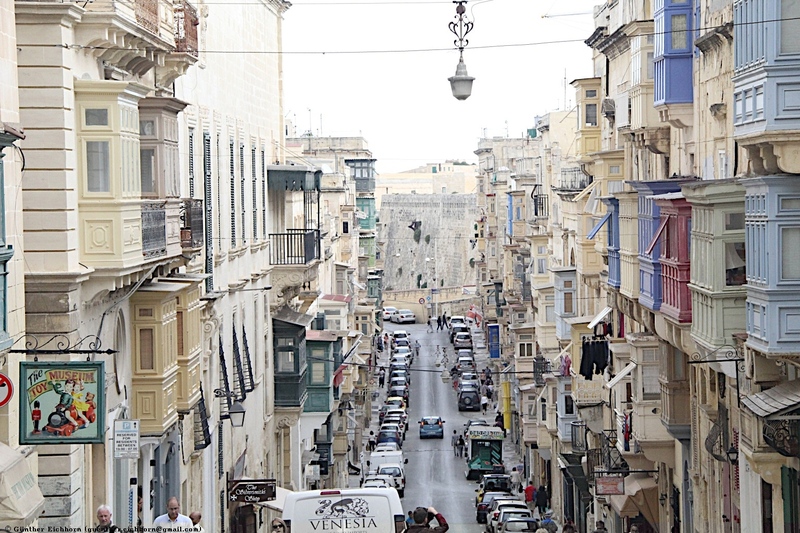 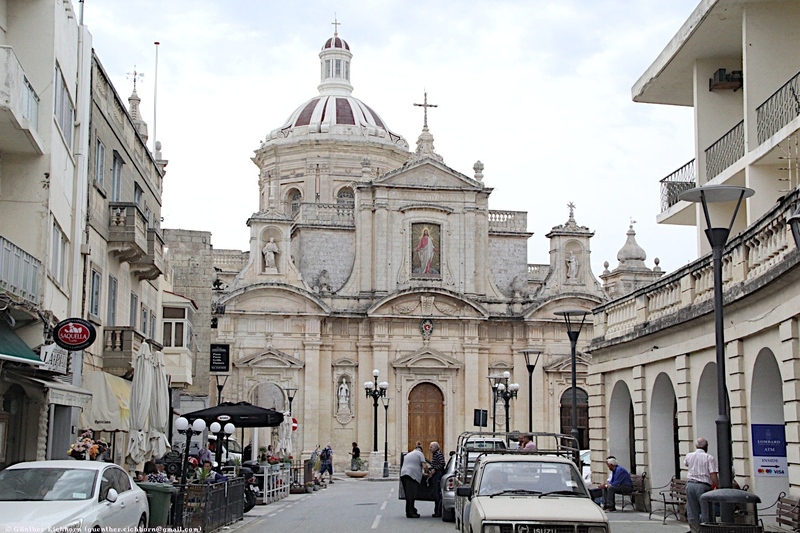 I flew into Valletta, where I picked up a rental car. 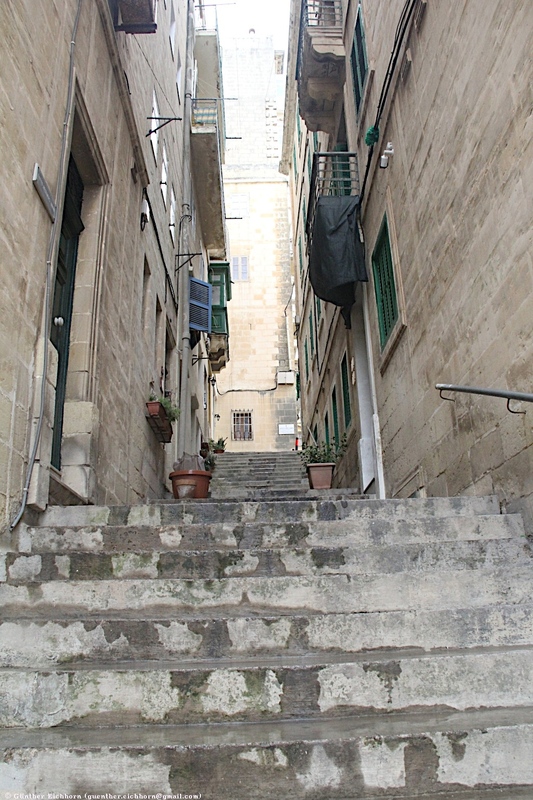 I had booked a hotel for four nights through Expedia. 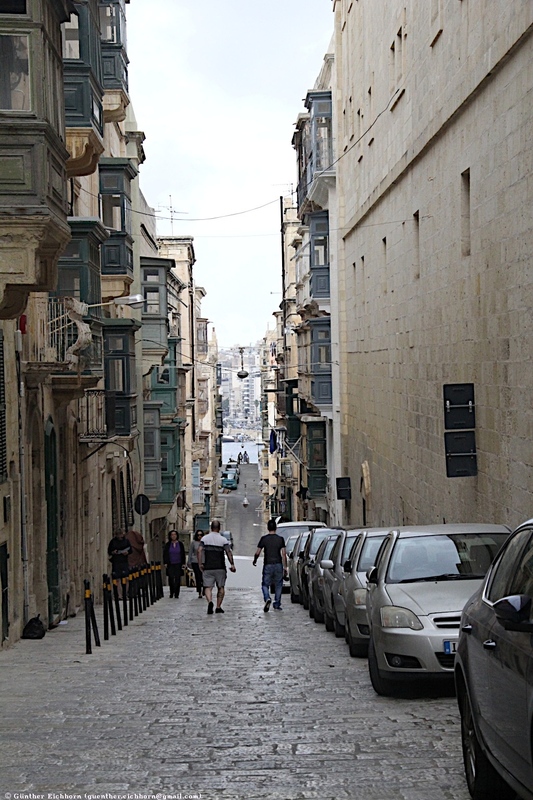 I had a GPS with me and had made sure that it contained the maps for Malta. 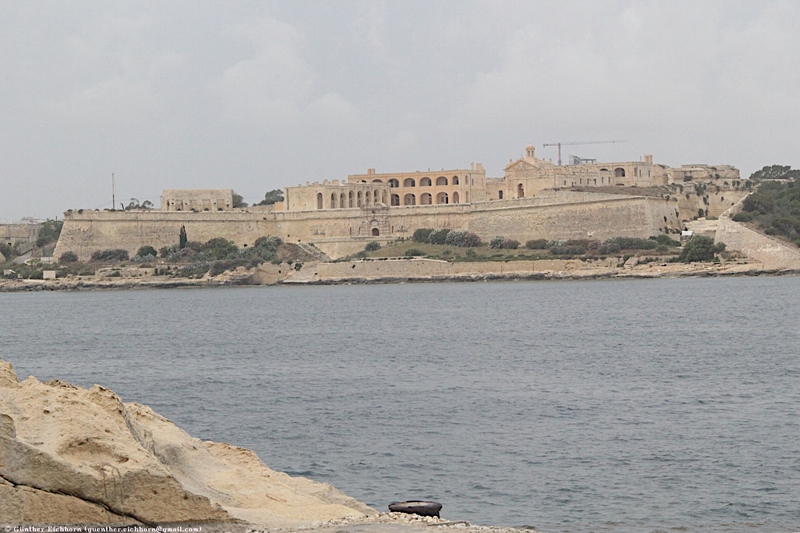 With the GPS it was no problem to find the hotel, and the sites that I wanted to visit. 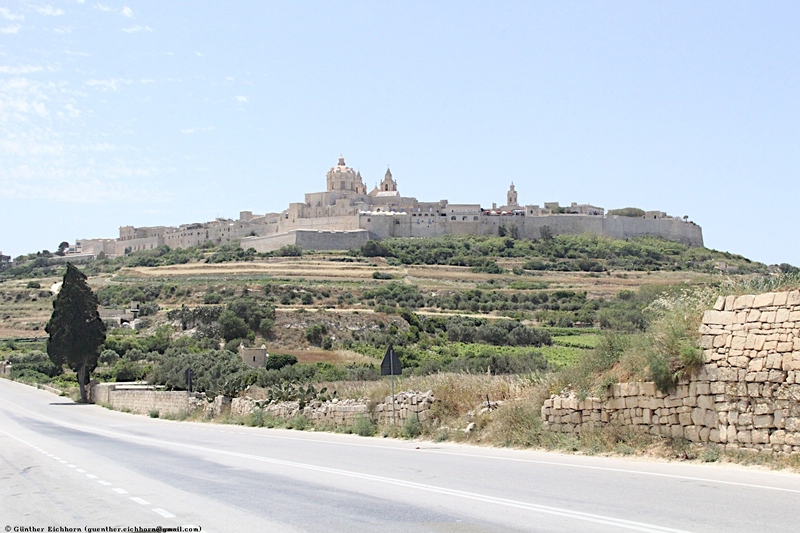 Malta is a small island, you can drive across the island in about ½ hour to 1 hour, depending on traffic. 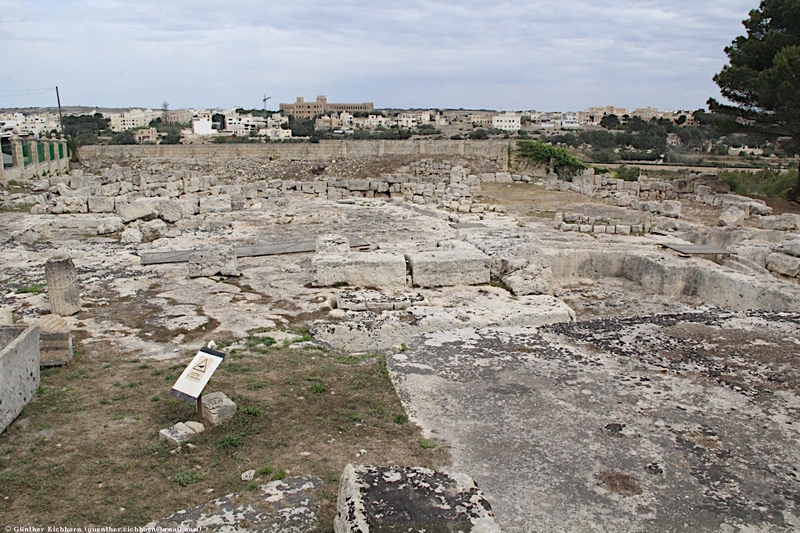 It was therefore easy to reach all the sites that I wanted to visit. 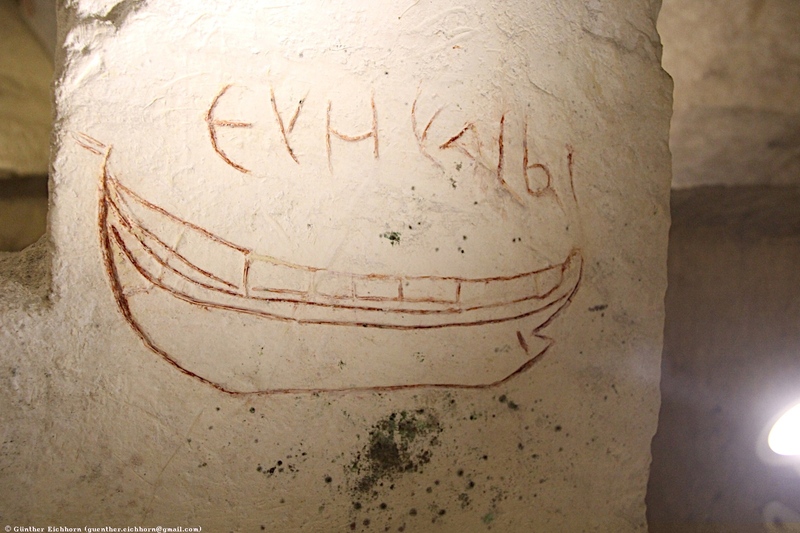 The descriptions are from entries in Wikipedia. 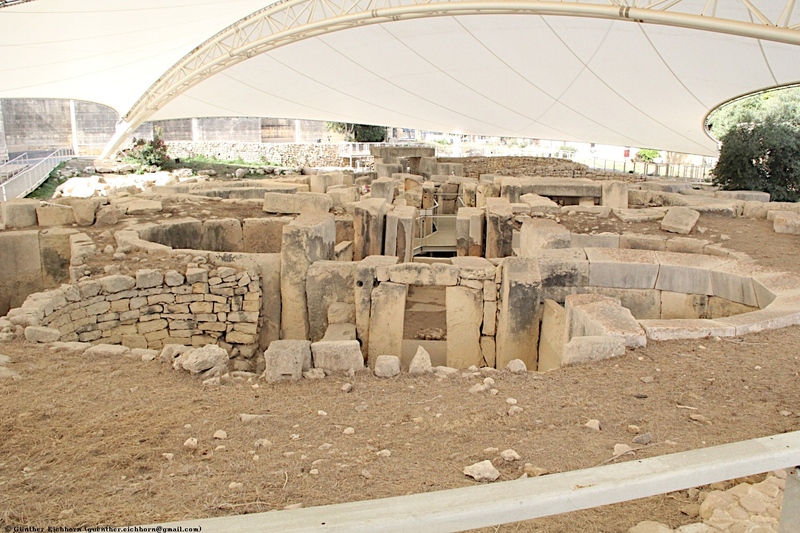 On the first day I visited the Tarxien Temples, Ħaġar Qim, the Mnajdra Temple, the Skorba Temple, and the Cart Ruts at Misraħ Għar il-Kbir. 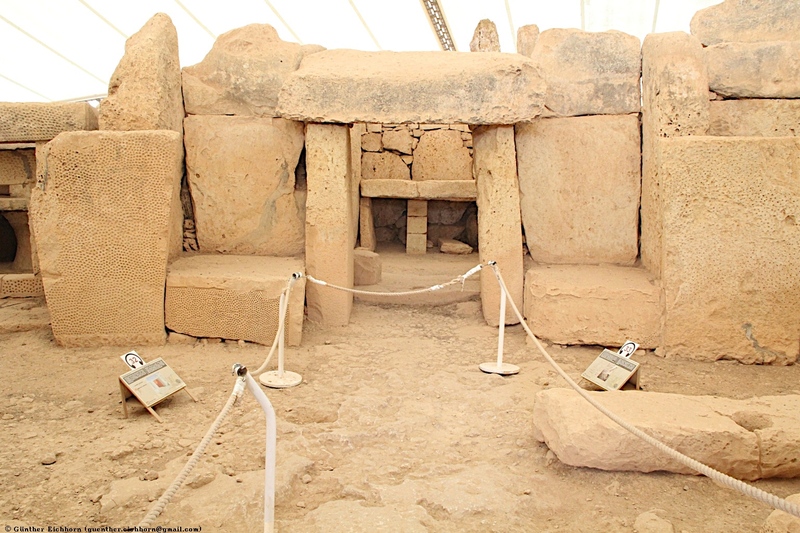 The Megalithic Temples of Malta are a UNESCO World Heritage Site. 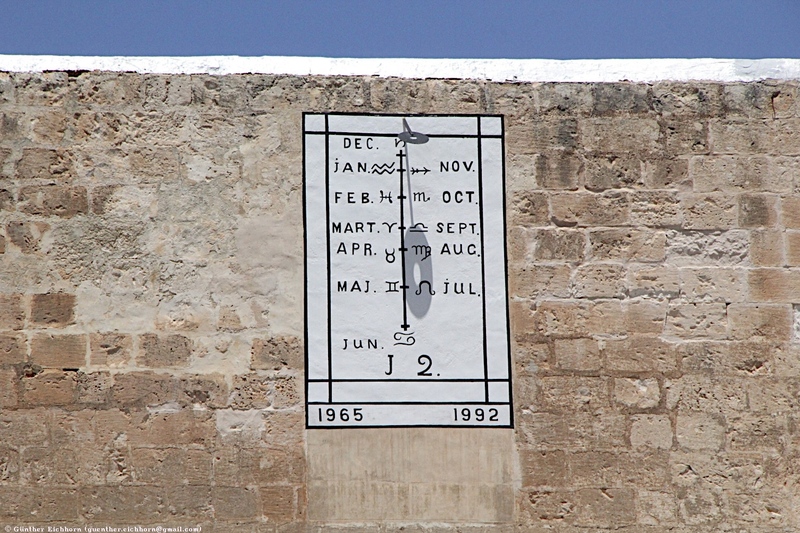 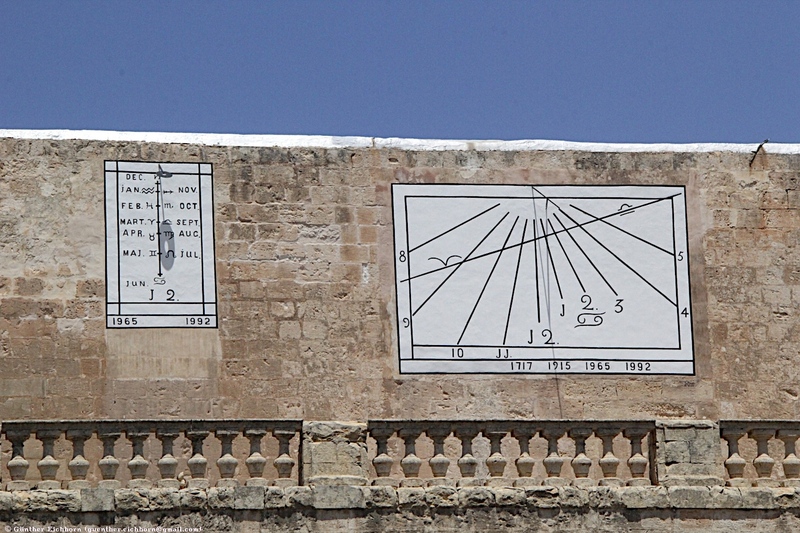 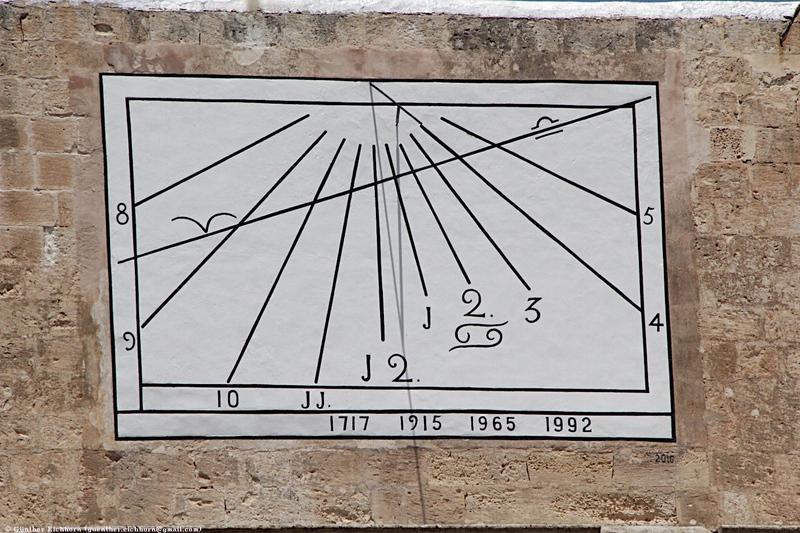 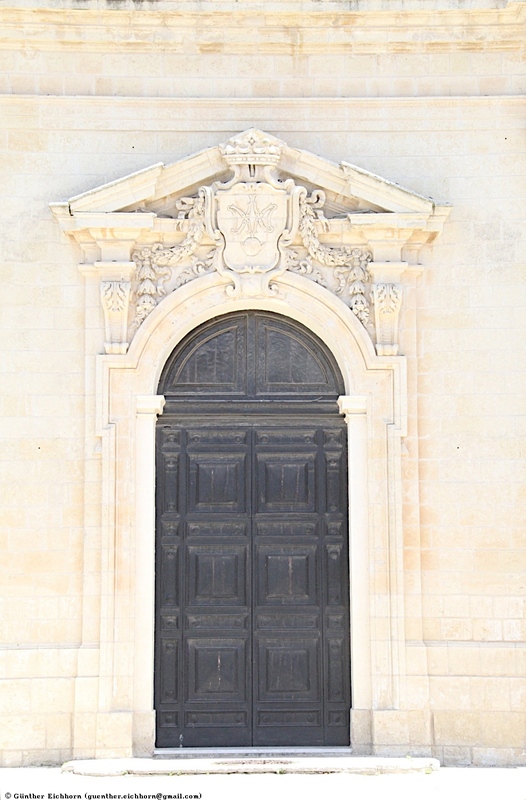 They include Ġgantija, Ħaġar Qim, Mnajdra, Skorba, Ta' Ħaġrat and Tarxien. 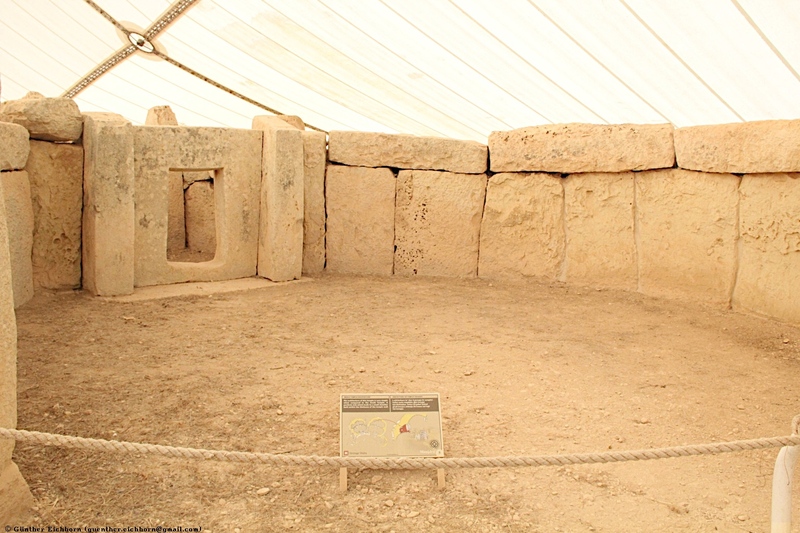 The Megalithic Temples of Malta are among the most ancient religious sites on Earth, described by the World Heritage Sites committee as "unique architectural masterpieces." 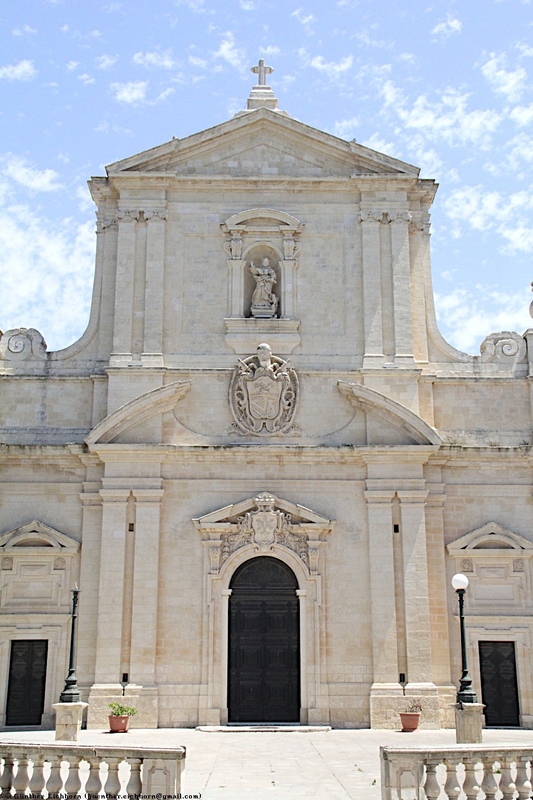 On the second day I visited Mdina, Rabat, the St. Paul's Catacombs, and Valletta. 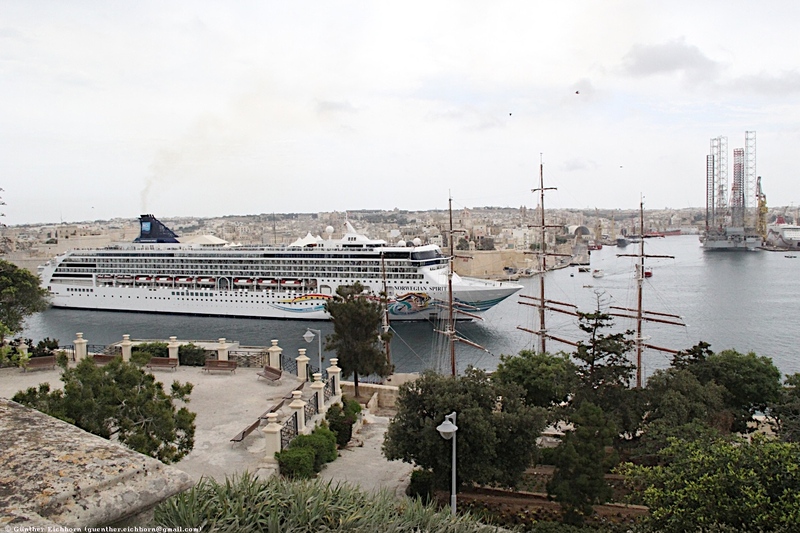 The City of Valletta is a UNESCO World Heritage Site. 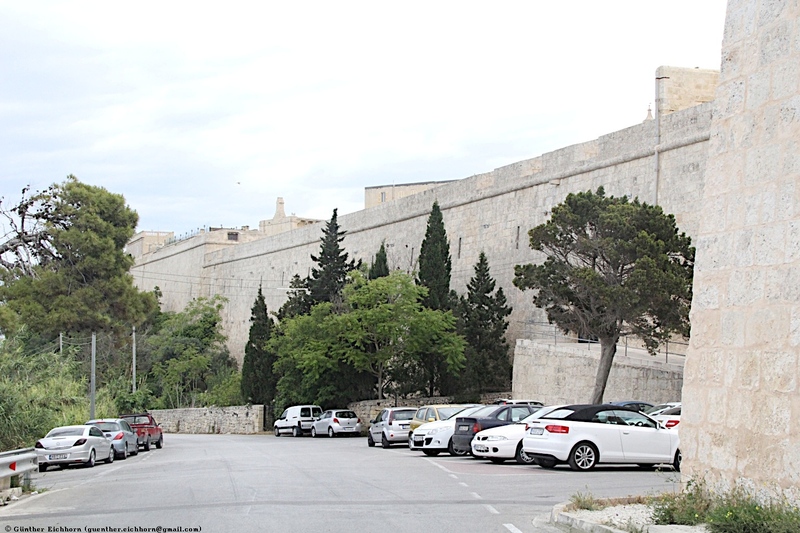 On the third day I visited the northern parts of Malta to see some of the De Redin towers and Saint Agatha's Tower. 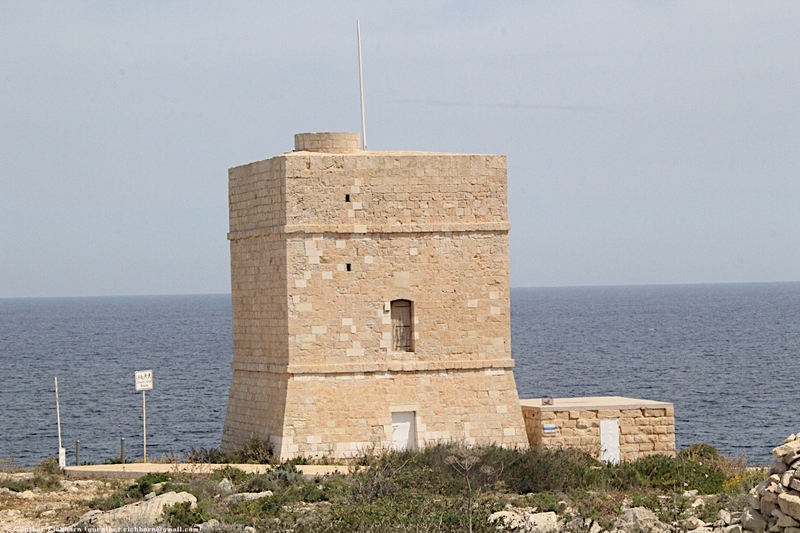 I visited the Għallis Tower and the Madliena Tower of the De Redin Towers. 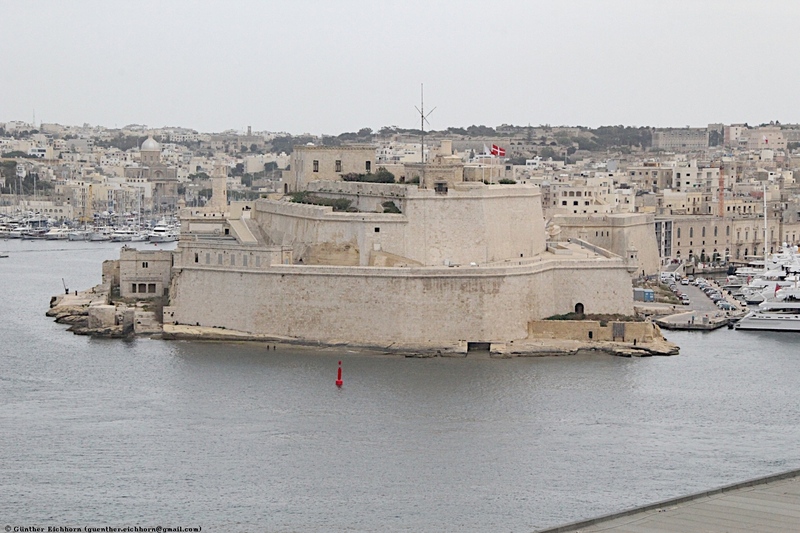 Valletta is the capital city of Malta. 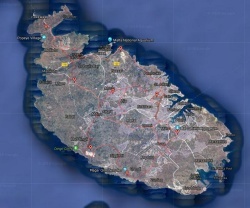 It is located on the north shore of the main island of Malta. 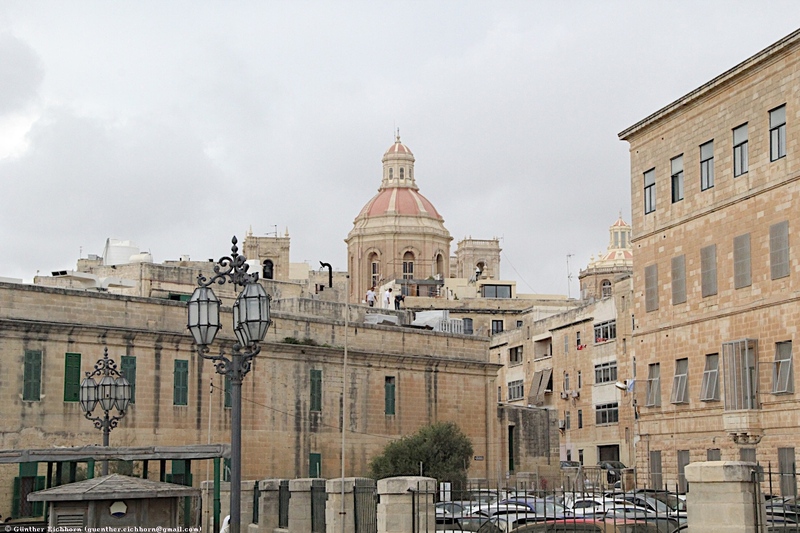 The historical city has a population of 6,444 (as of March 2014), while the metropolitan area around it has a population of 393,938. 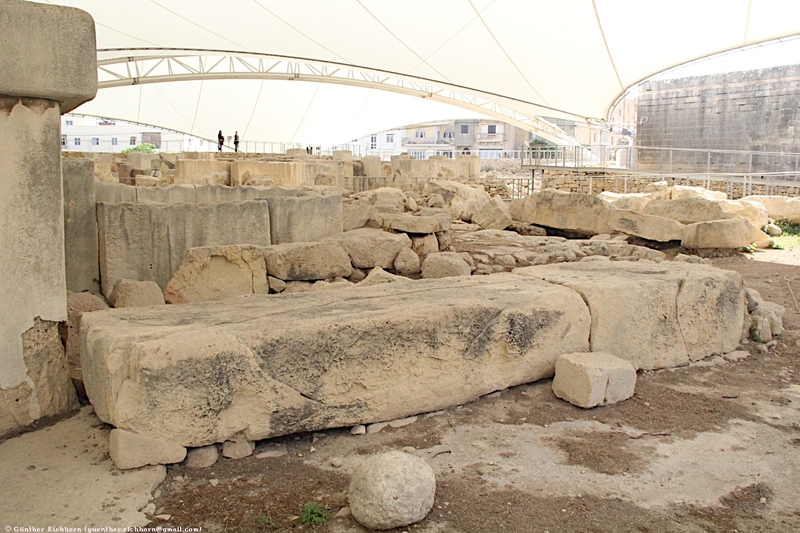 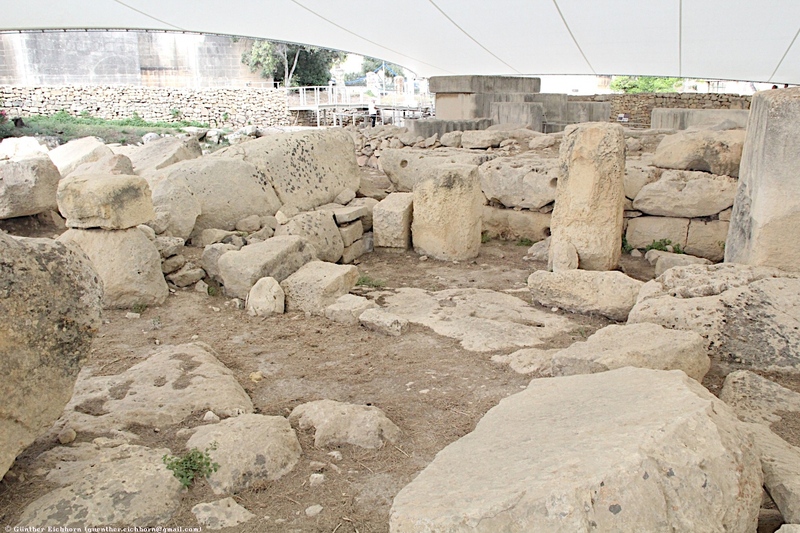 The Tarxien Temples are an archaeological complex in Tarxien, Malta. 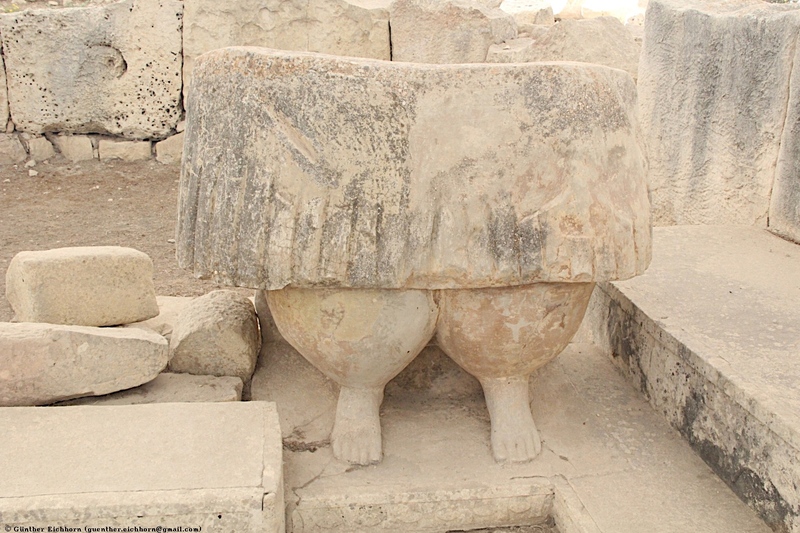 They date to between 3600 BCE and 2500 BCE. 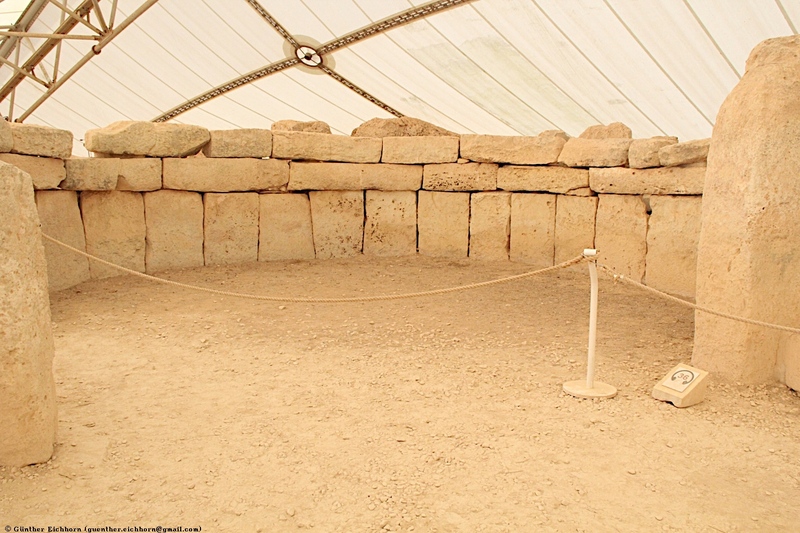 The Easternmost Temple is the oldest structure (3600-3200 BCE). 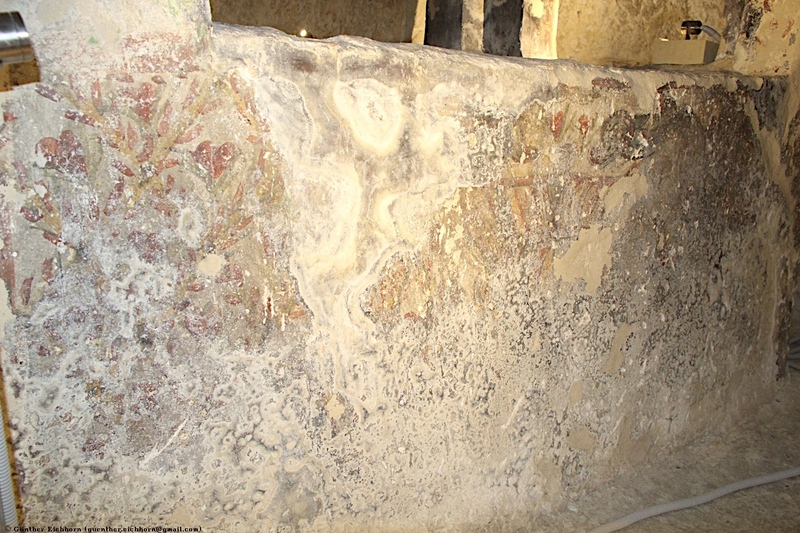 Only the lower parts of the walls survive. 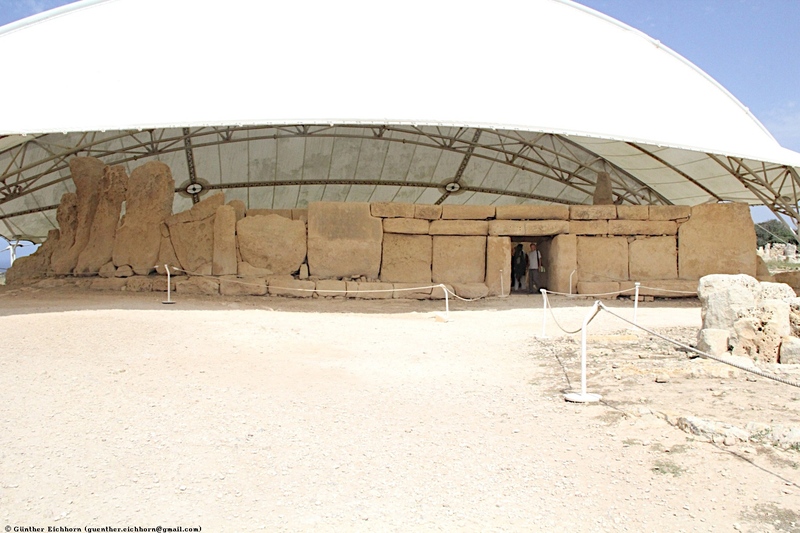 The other three structures, the South Temple, East Temple, and Central Temple date to 3150-2500 BCE. 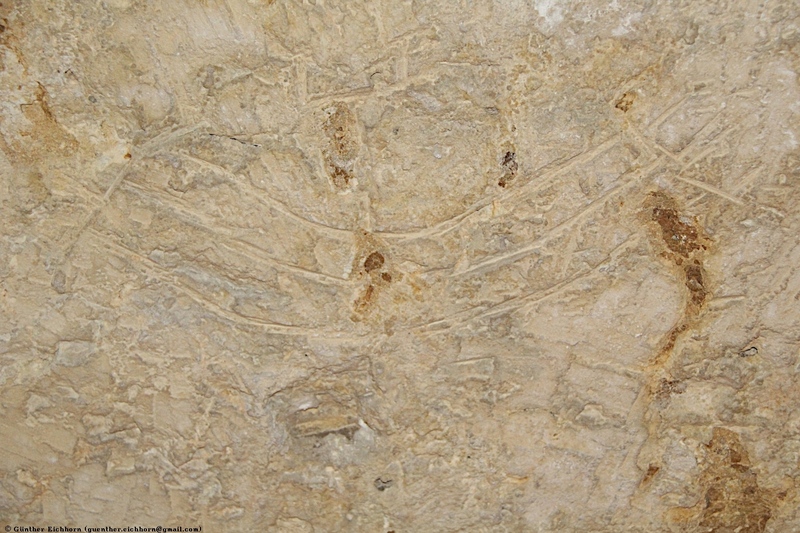 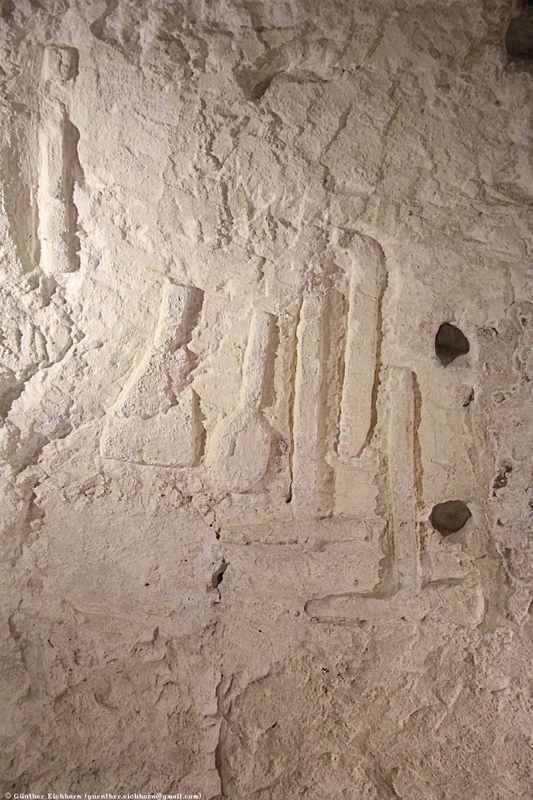 The South Temple is rich in prehistoric art. 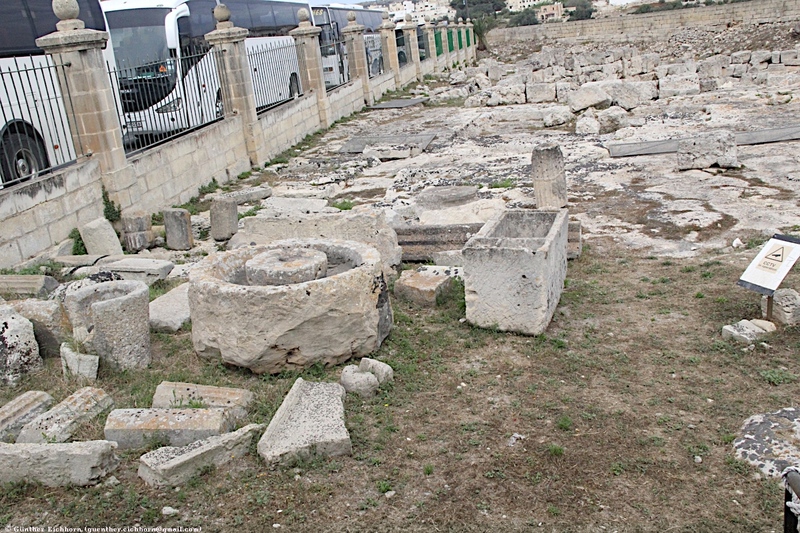 The Central Temple is the last structure to be built. 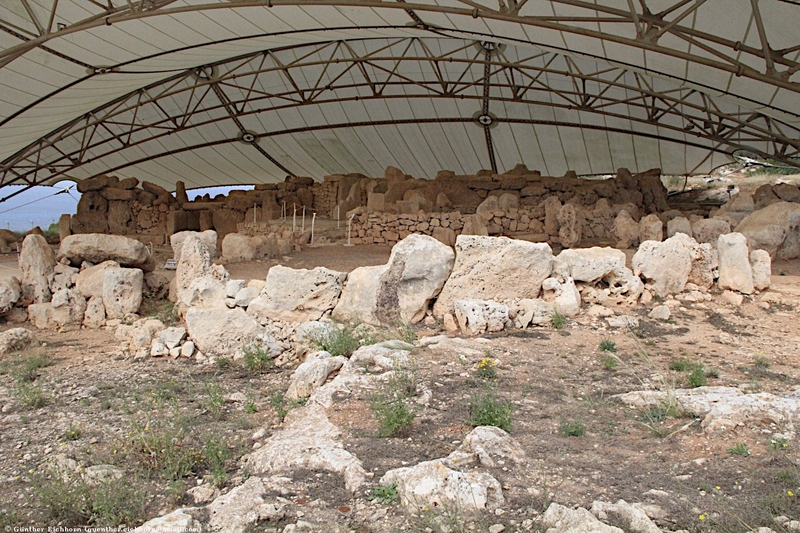 It has a six-chambered plan and contains evidence of roofing. 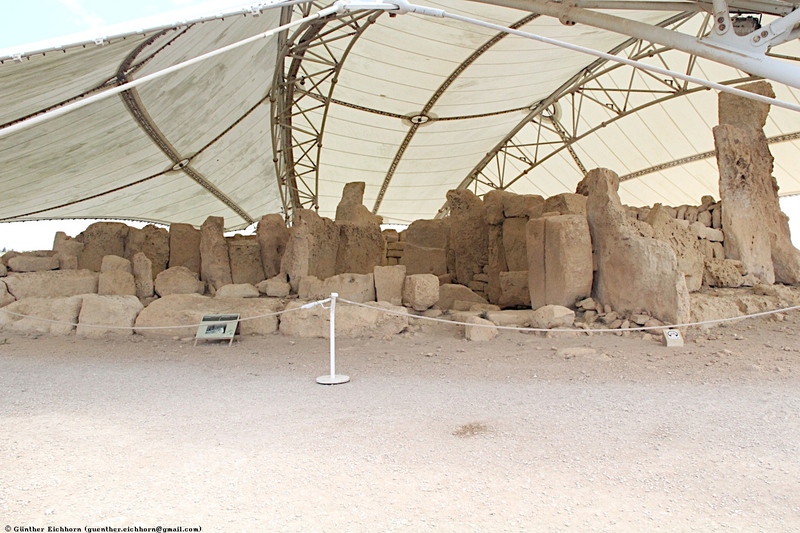 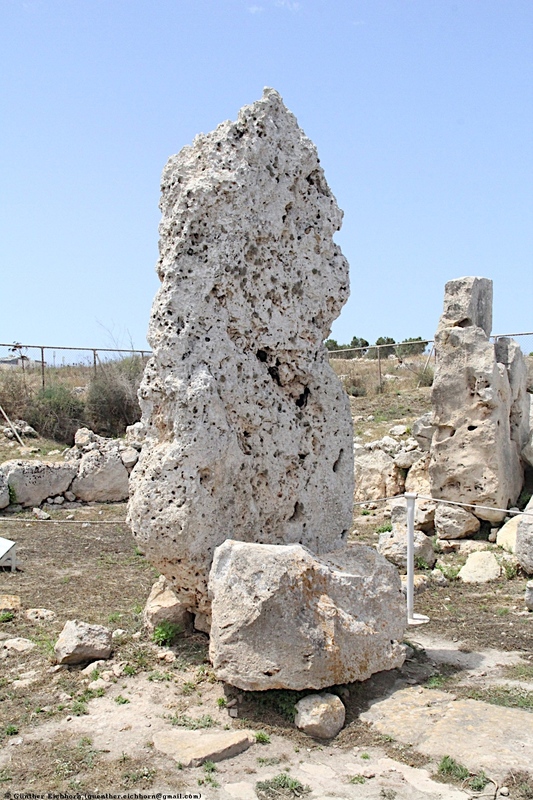 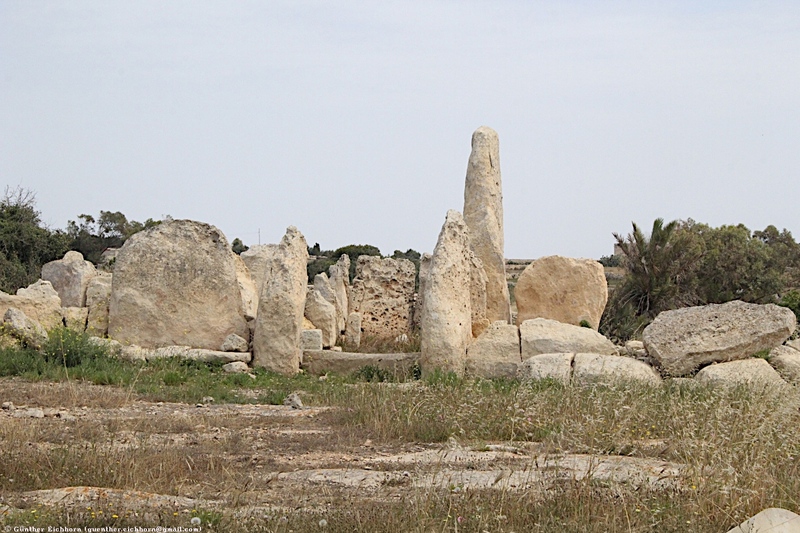 Ħaġar Qim ("Standing/Worshiping Stones") is a megalithic complex, dating from the Ġgantija phase (3600-2500 BCE). 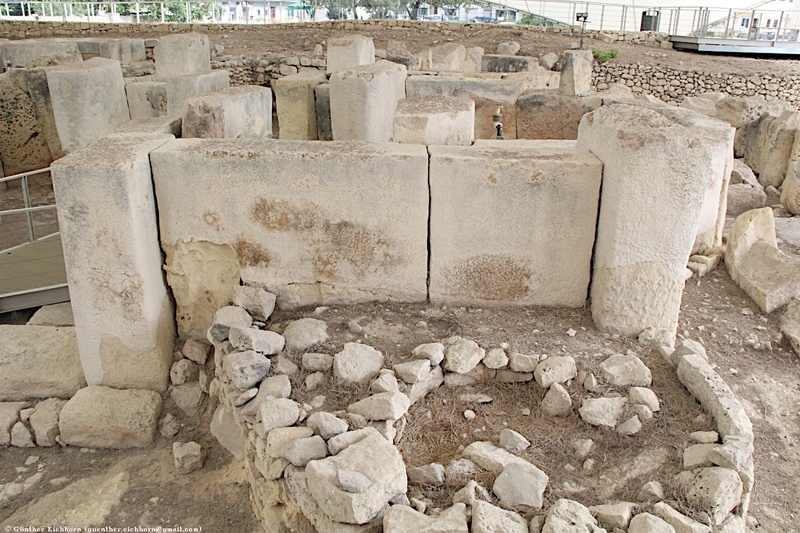 Today it is called a temple, but we actually know little about what went on in these buildings. 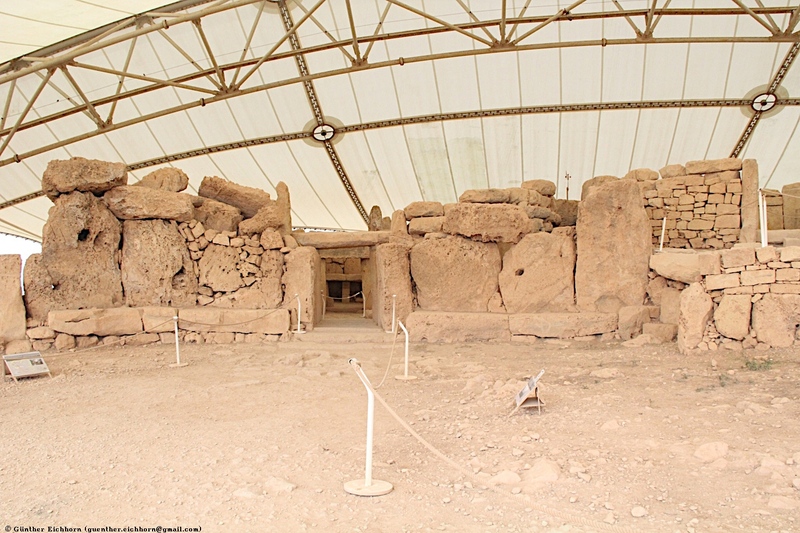 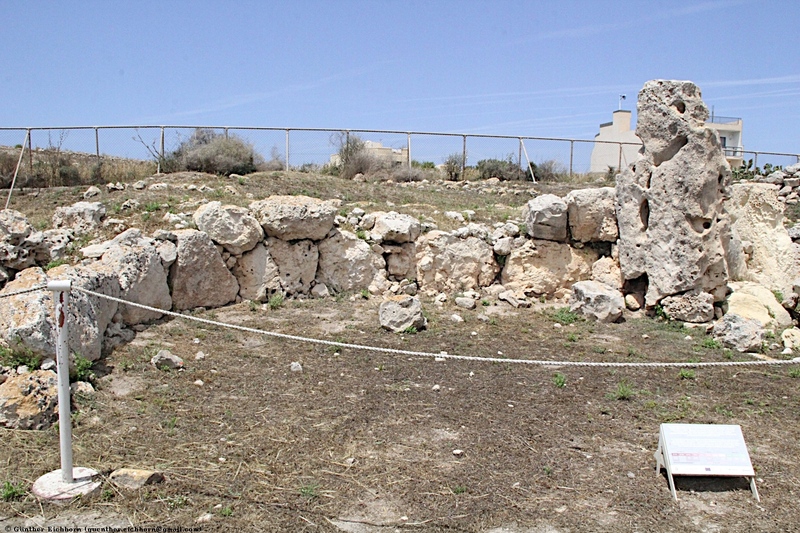 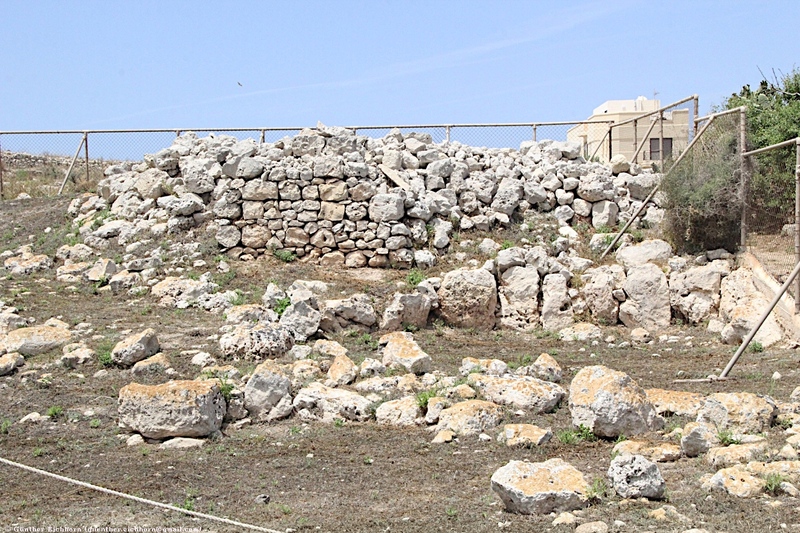 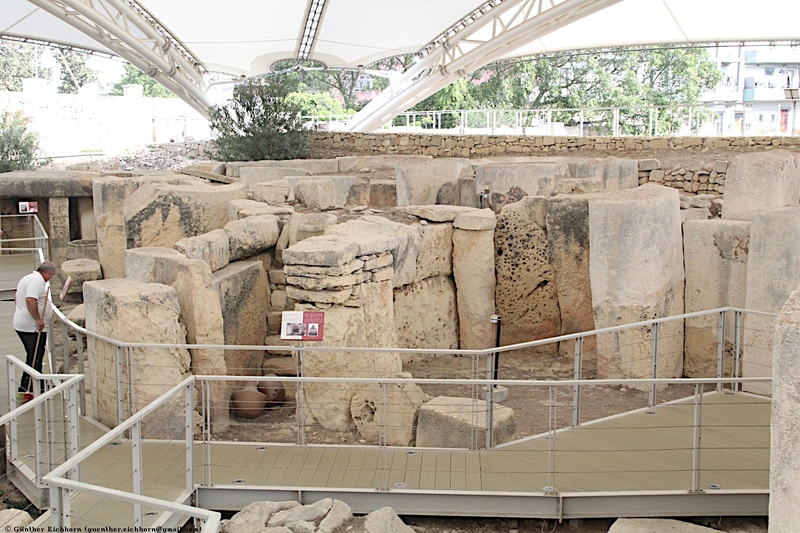 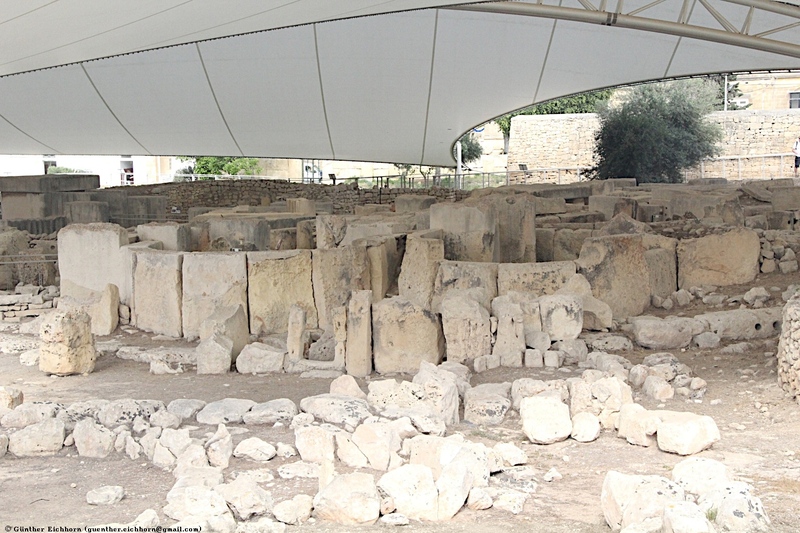 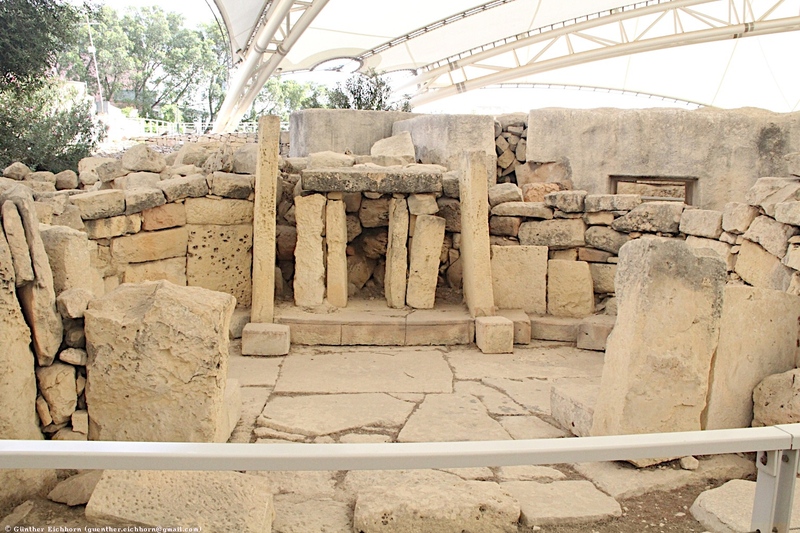 The Ħaġar Qim complex consists of a main structure and three additional megalithic structures beside it. 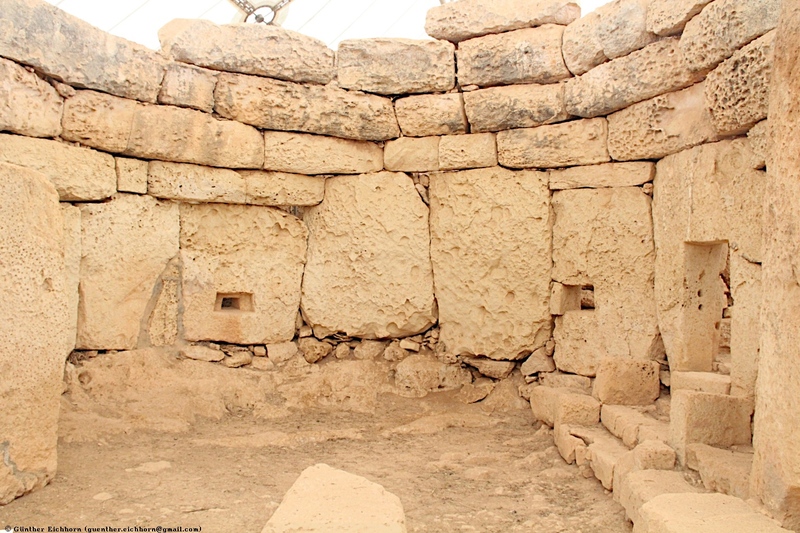 The main structure was built between 3600 and 3200 BCE; however, the northern ruins are considerably older. 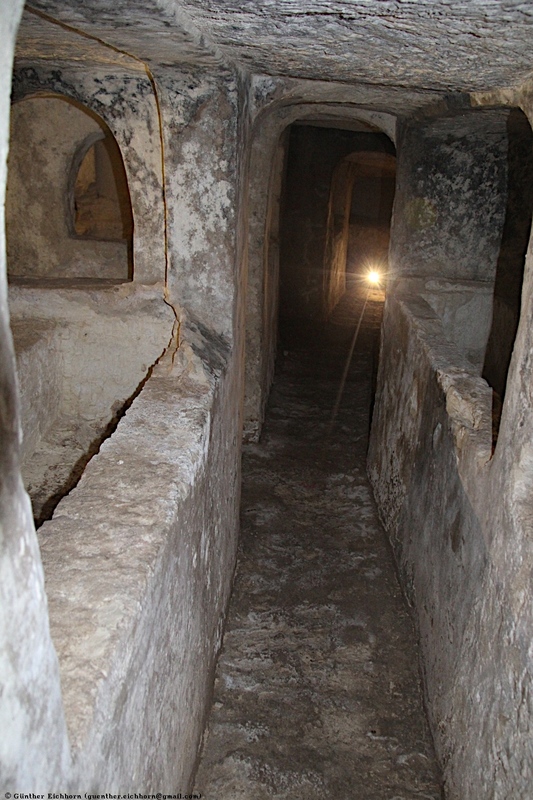 The outside entrance serves as an interior passage and connects six large chambers. 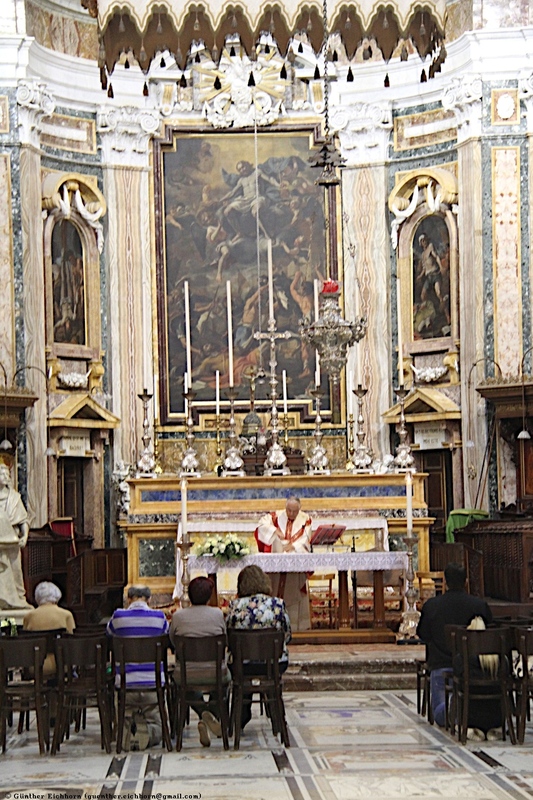 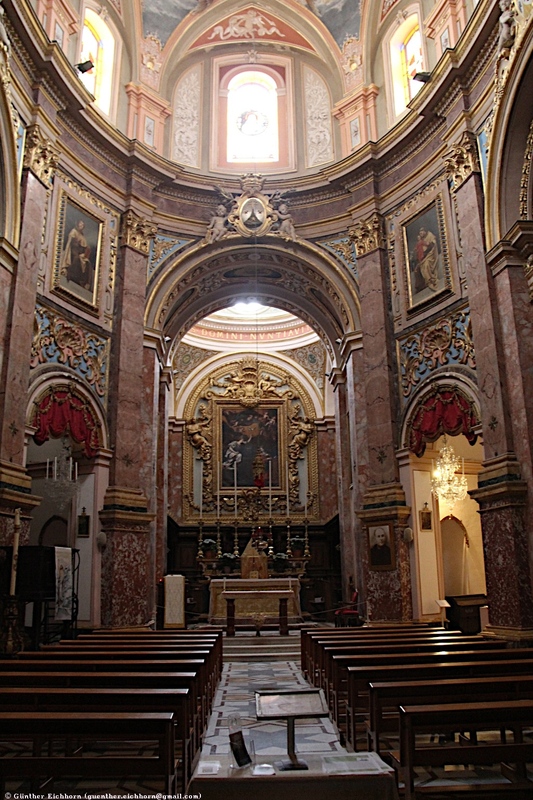 The right apse is constructed as an arch to prevent the upright slabs falling inward. 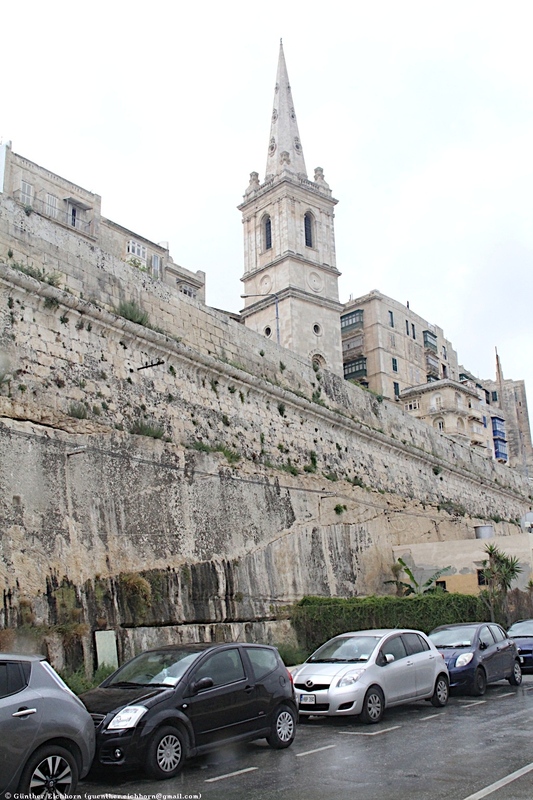 The outside wall, built of huge upright blocks, projects inwards, thus creating an extremely solid building. 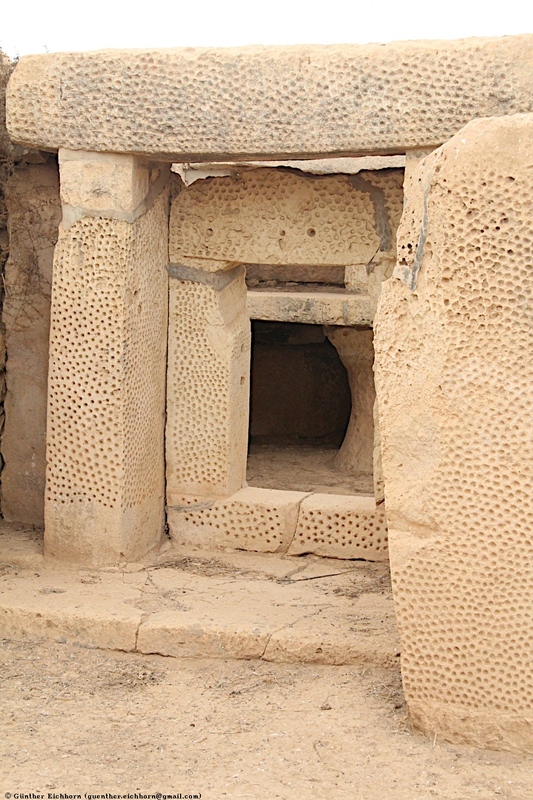 This entrance passage and first court follow the Maltese megalithic pattern but as building progressed, this design was considerably modified. 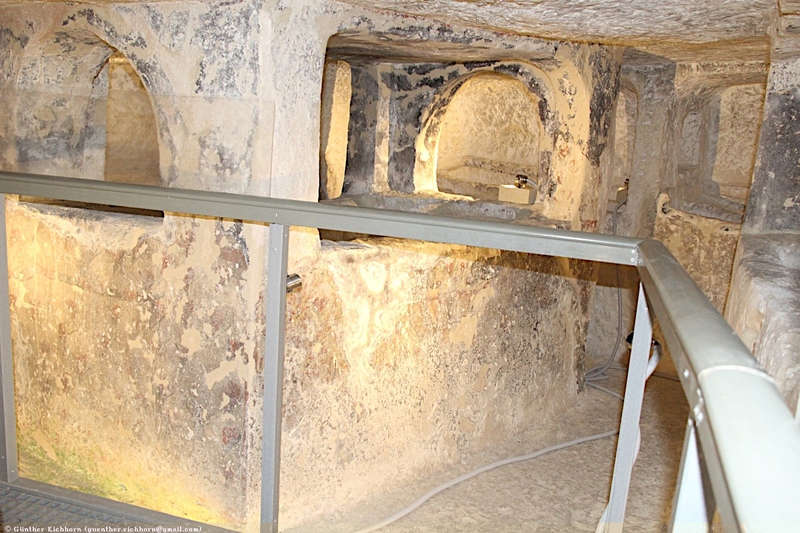 The northwesterly apse was replaced by four independent enclosures. 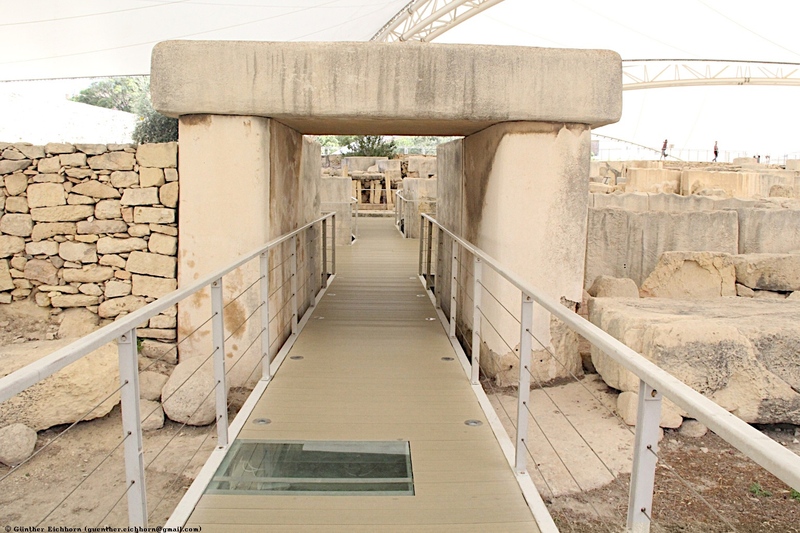 Ħaġar Qim shares its basic architectural design with the Mnajdra, Tarxien and Ġgantija complexes. 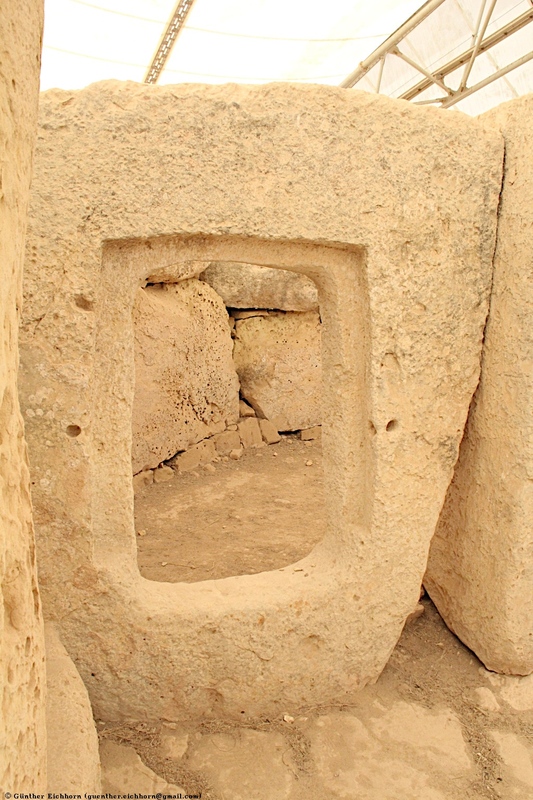 The basic shape includes forecourt and facade, elongated oval chambers, semi-circular recesses and a central passage connecting the chambers. 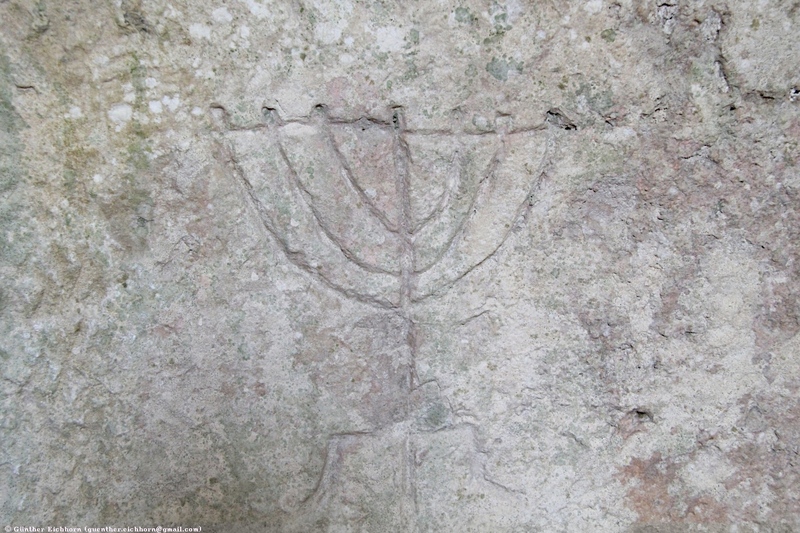 This configuration is commonly termed "trefoil". 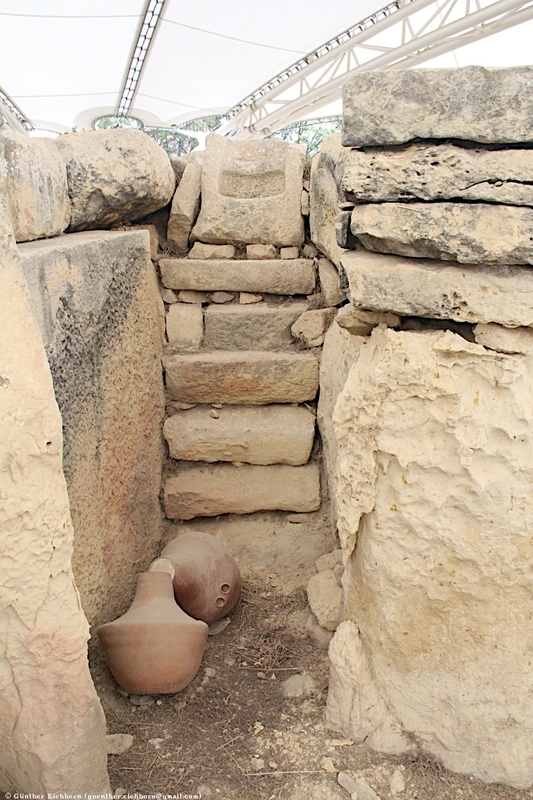 It is also suggested that the shape of the structure in some way mimics the sacred sculptures found within them. 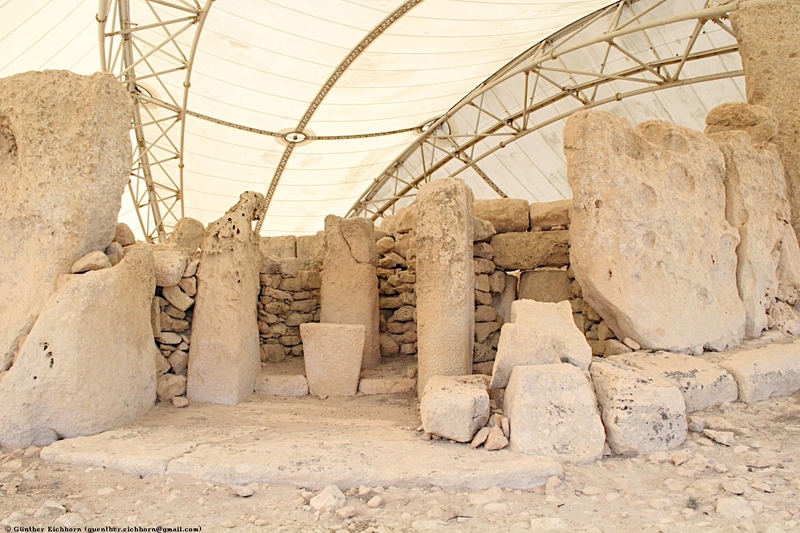 Mnajdra is a megalithic temple complex on the southern coast of Malta. 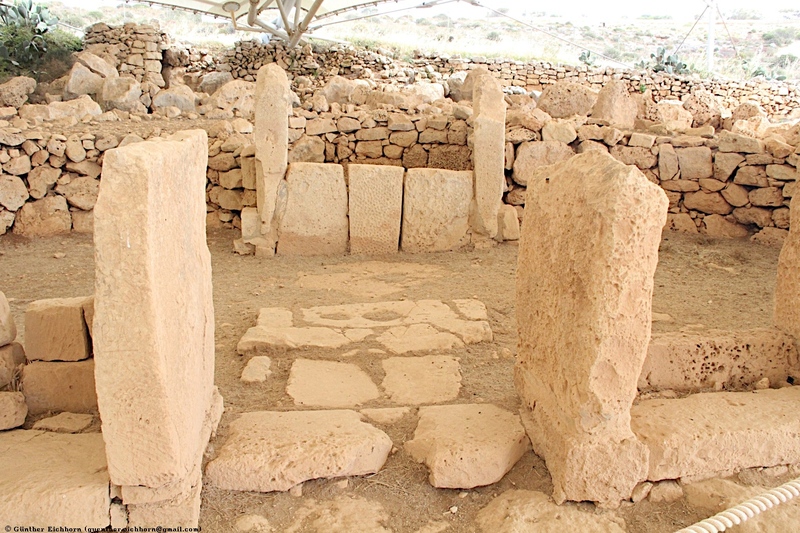 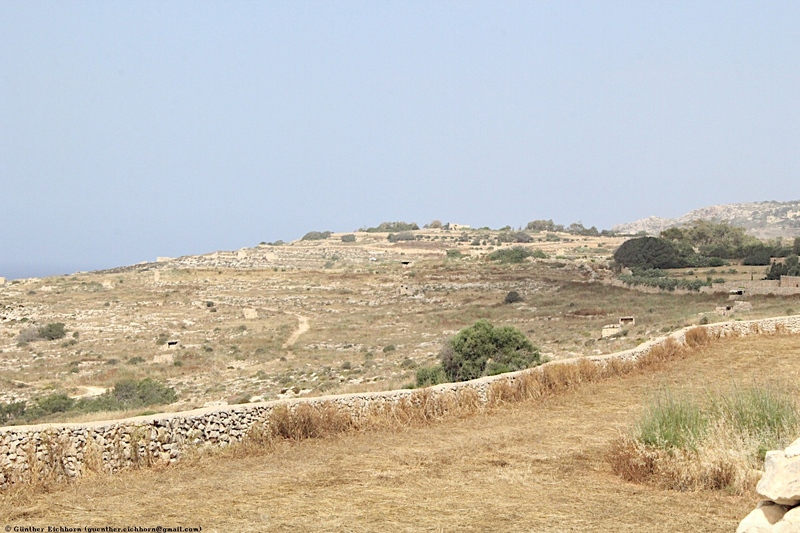 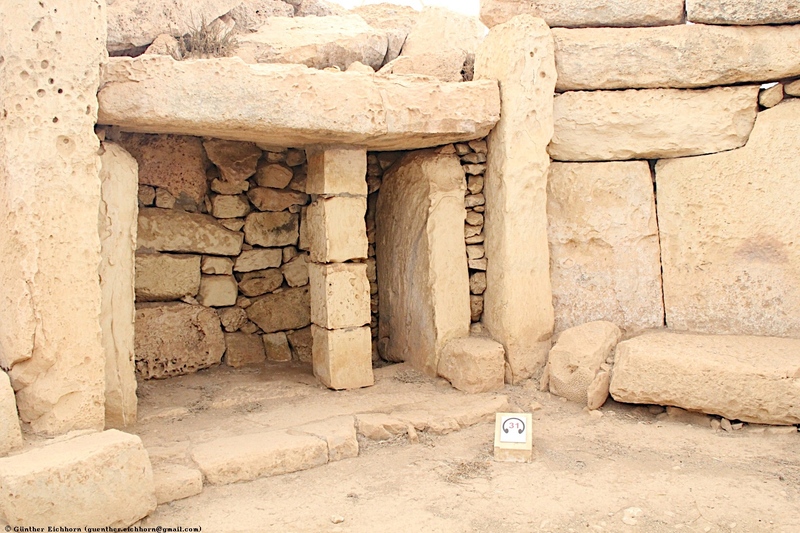 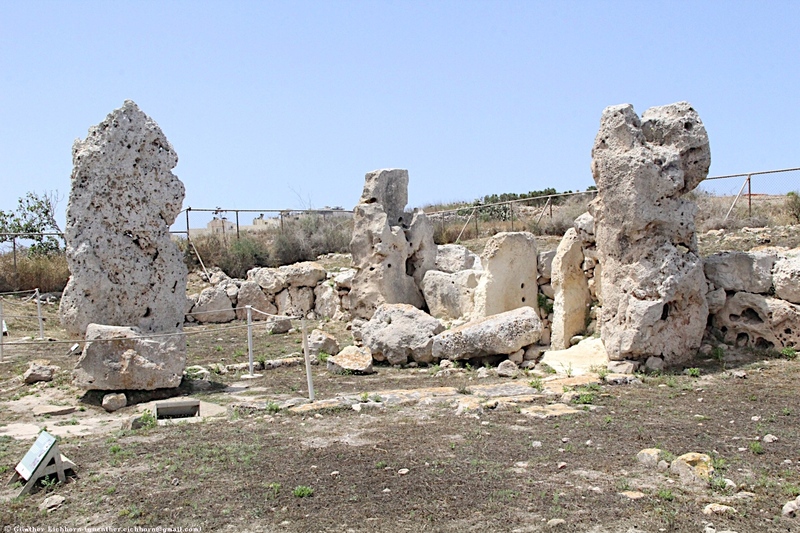 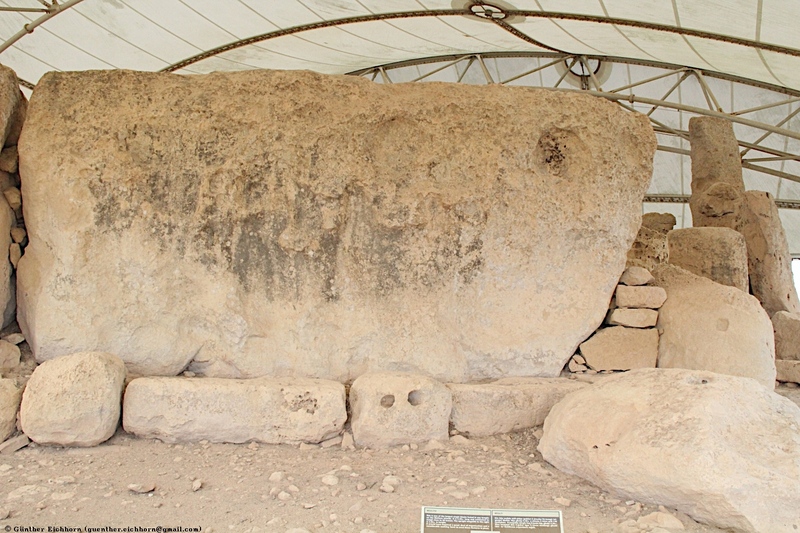 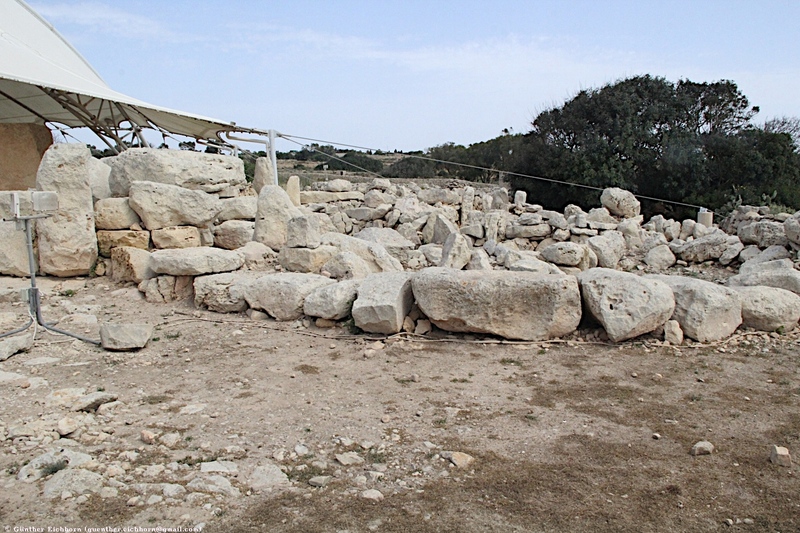 Mnajdra is approximately 500 m (1,640 ft) from the Ħaġar Qim megalithic complex. 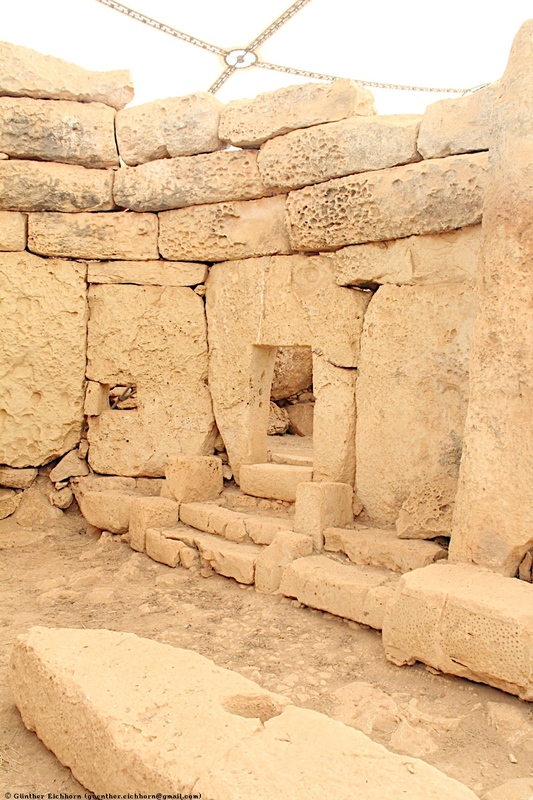 Mnajdra was built around the fourth millennium BCE. 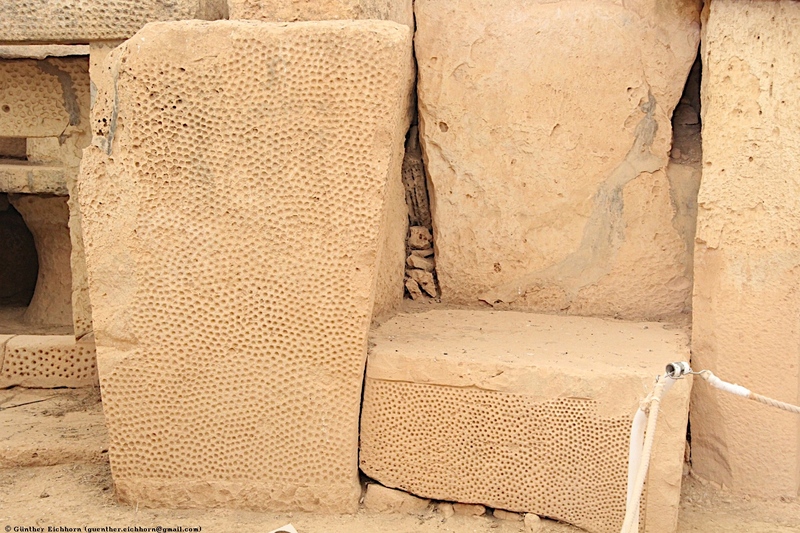 Building materials were the harder coralline limestone, used mainly for the outer walls, and the softer globigerina limestone, used mainly in the interior. 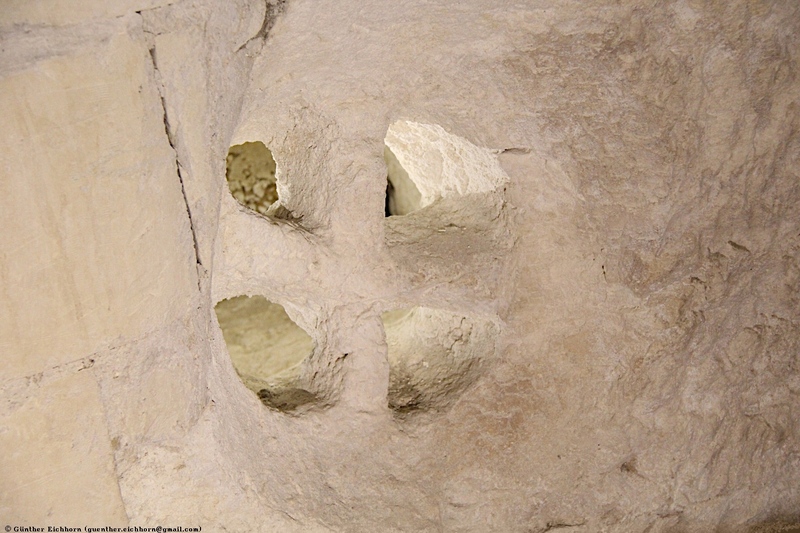 The cloverleaf plan of Mnajdra consists of three temples, conjoined, but not connected: the upper, middle, and lower. 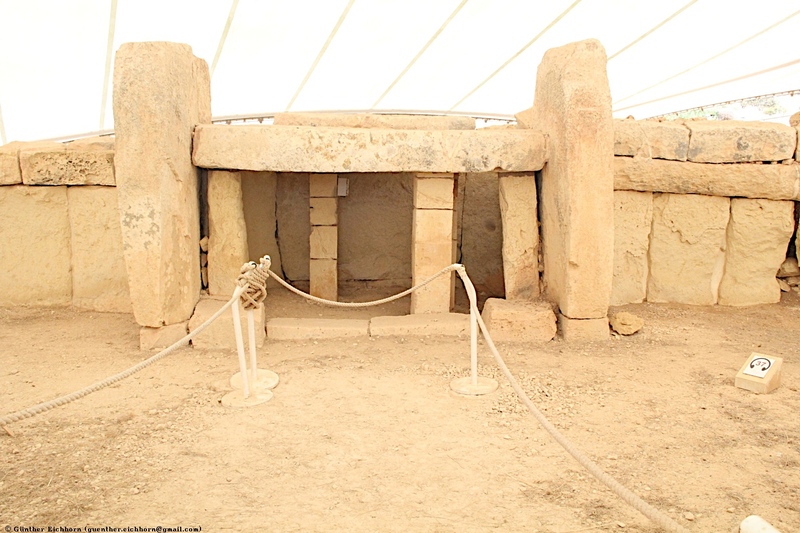 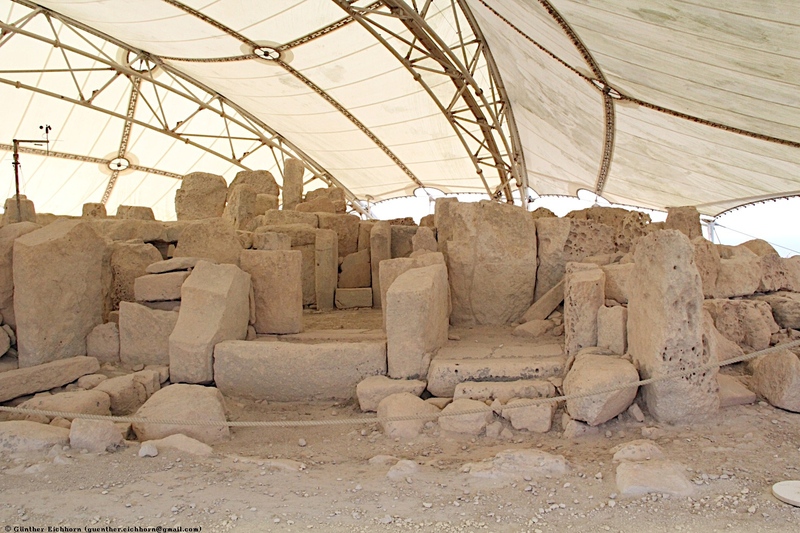 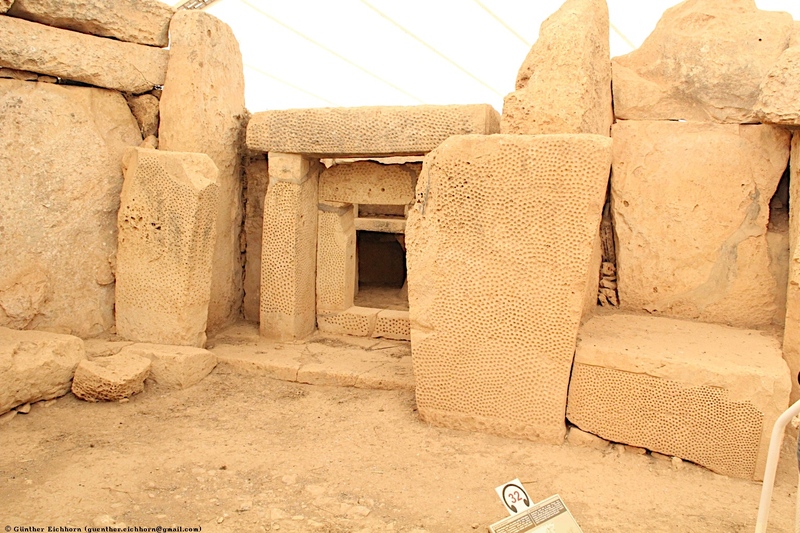 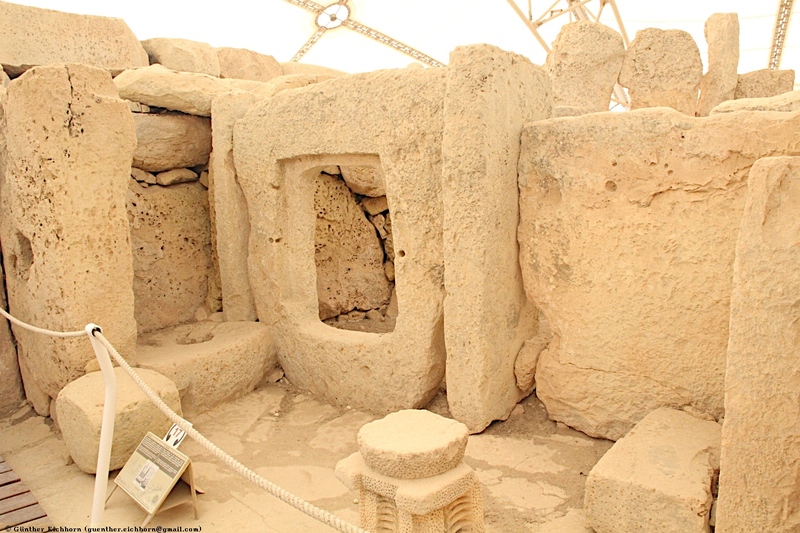 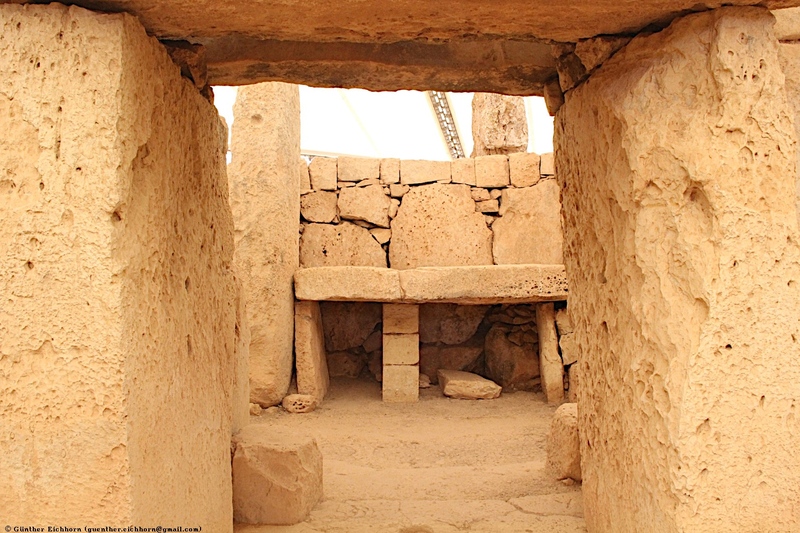 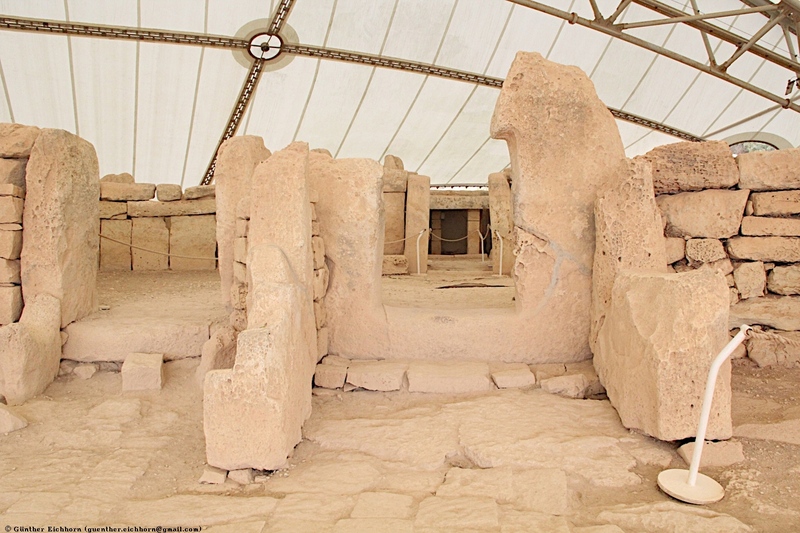 The upper temple is the oldest structure in the Mnajdra complex and dates to the Ġgantija phase (3600-3200 BCE). 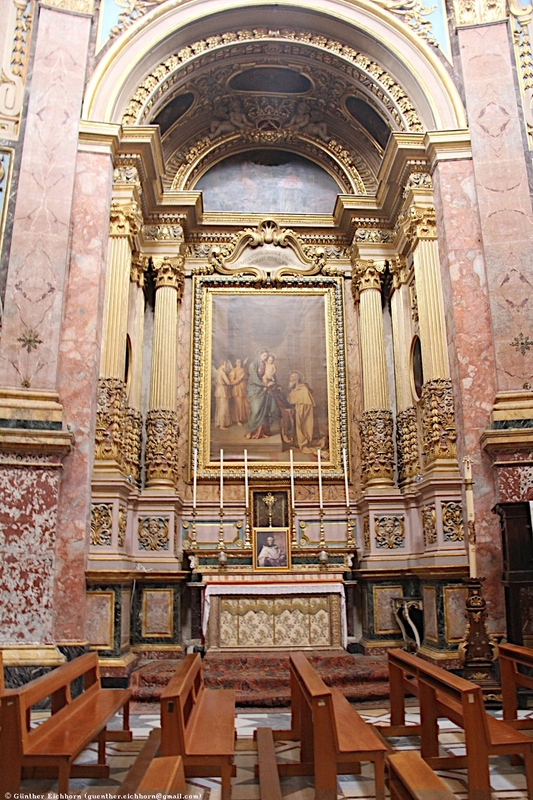 It is a three-apsed building, the central apse opening blocked by a low screen wall. 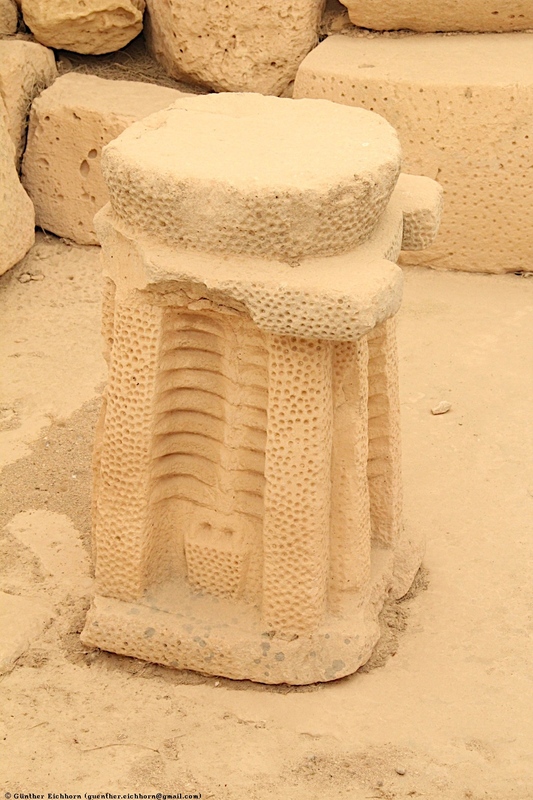 The pillar-stones were decorated with pit marks drilled in horizontal rows on the inner surface. 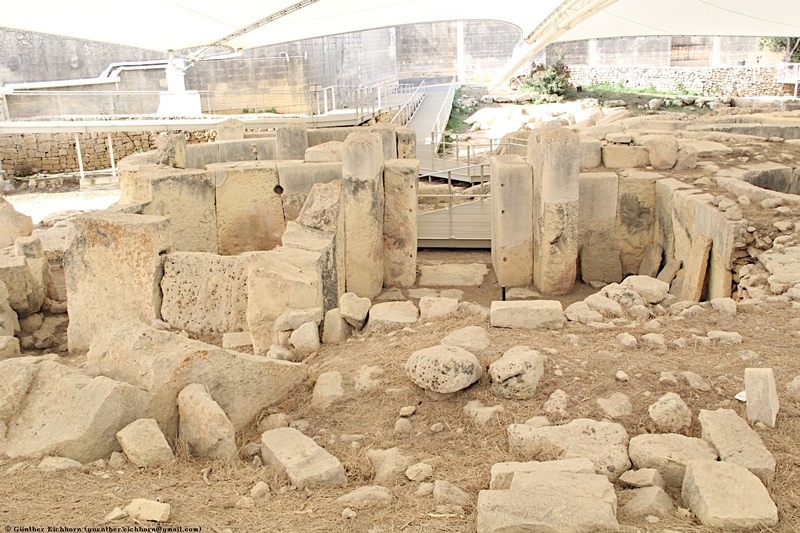 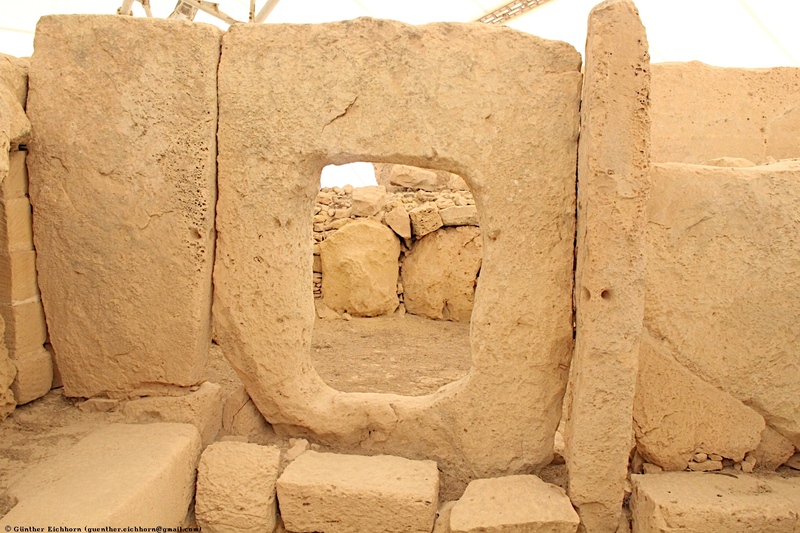 The middle temple was built (or possibly rebuilt) in the late Tarxien phase (3150 – 2500 BCE), the main central doorway of which is formed by a hole cut into a large piece of limestone set upright, a type of construction typical of other megalithic doorways in Malta. 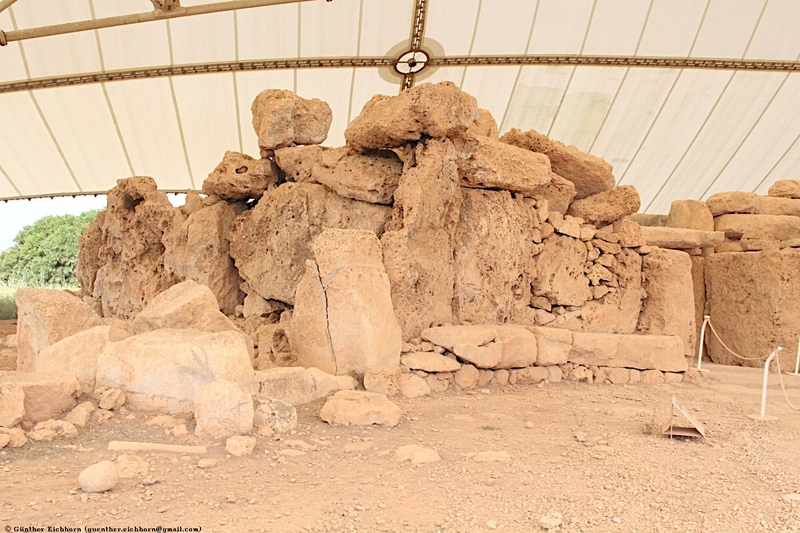 This temple appears originally to have had a vaulted ceiling, but only the base of the ceiling now remain on top of the walls and, in fact, is the most recent structure. 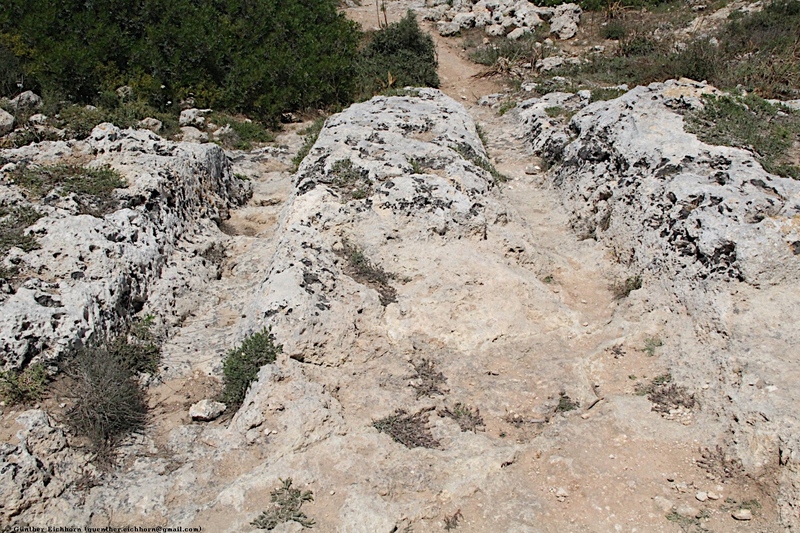 It is formed of slabs topped by horizontal courses. 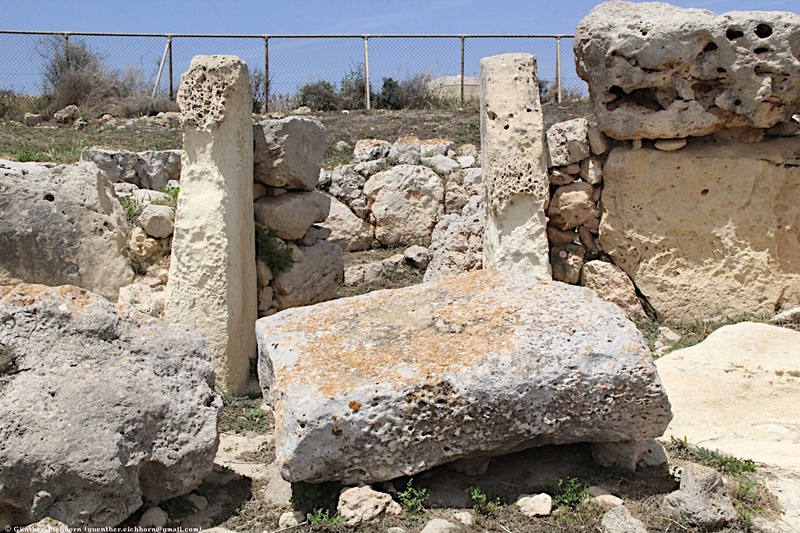 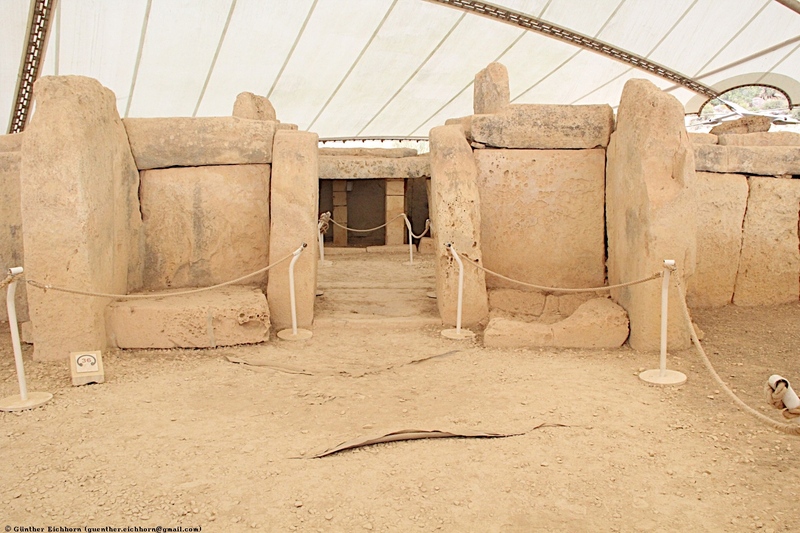 The Skorba temples are megalithic remains on the northern edge of Żebbiegħ, in Malta, which have provided detailed and informative insight into the earliest periods of Malta's neolithic culture. 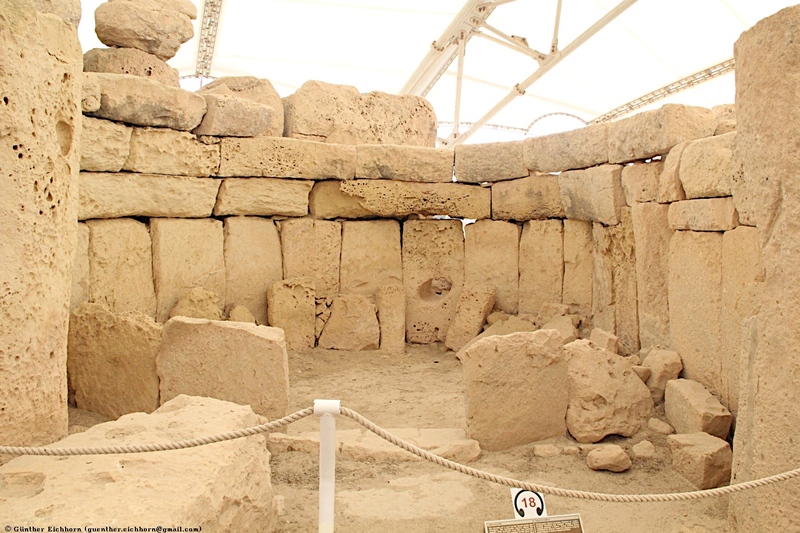 The temple dates from 3600 BCE, the earliest remains date back to about 4850 BCE. 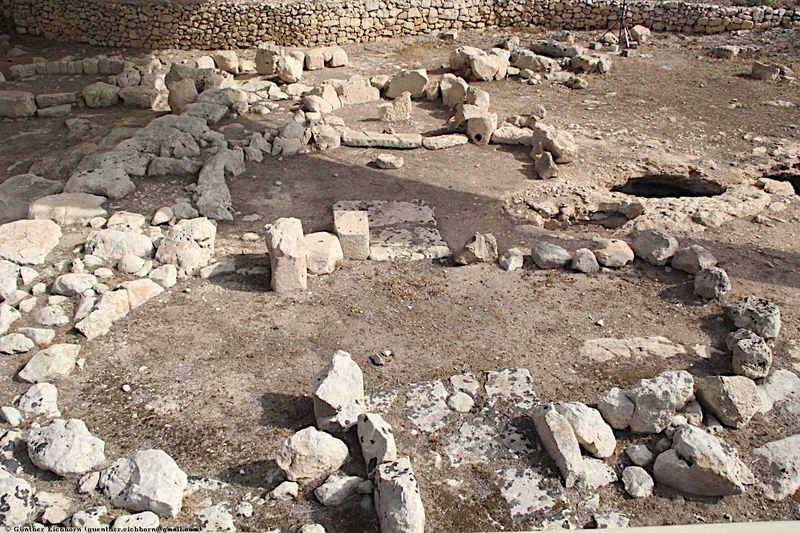 The remains on the site are a series of megalithic uprights (one of them 3.4 m (11.2 ft) high), the lowest course of the temples' foundations, paving slabs with libation holes in the entrance passage, and the torba (a cement-like material) floor of a three-apse temple. 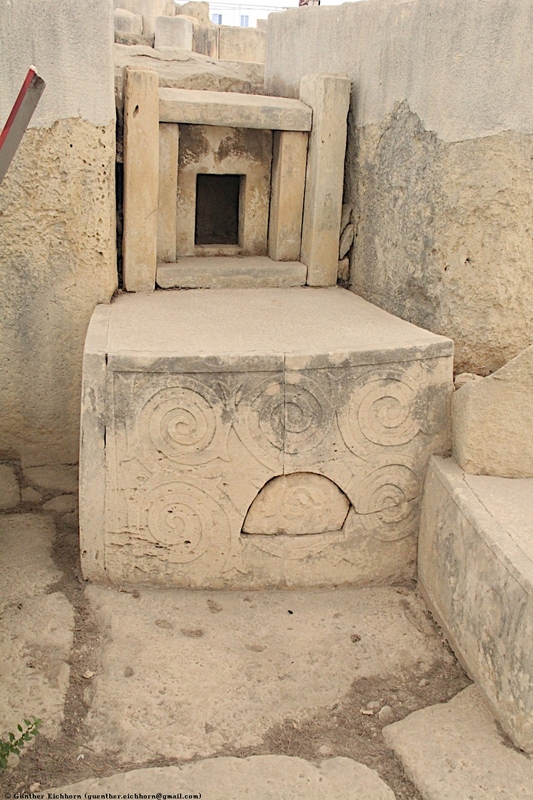 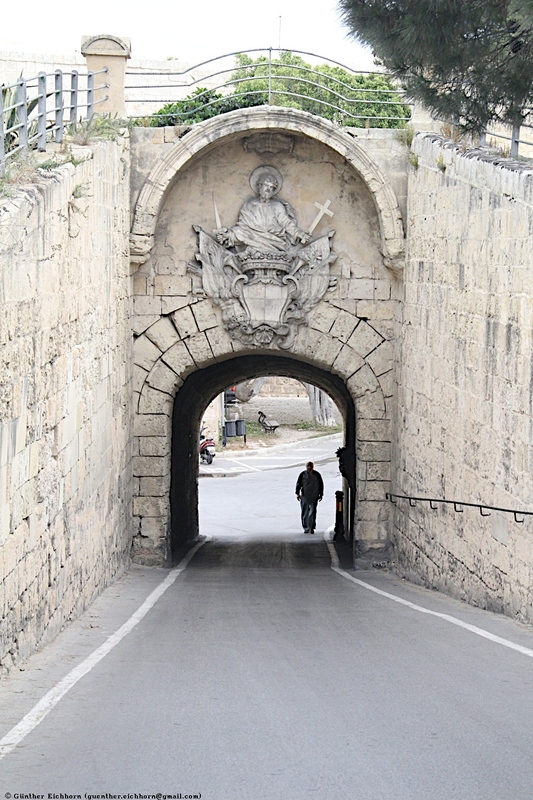 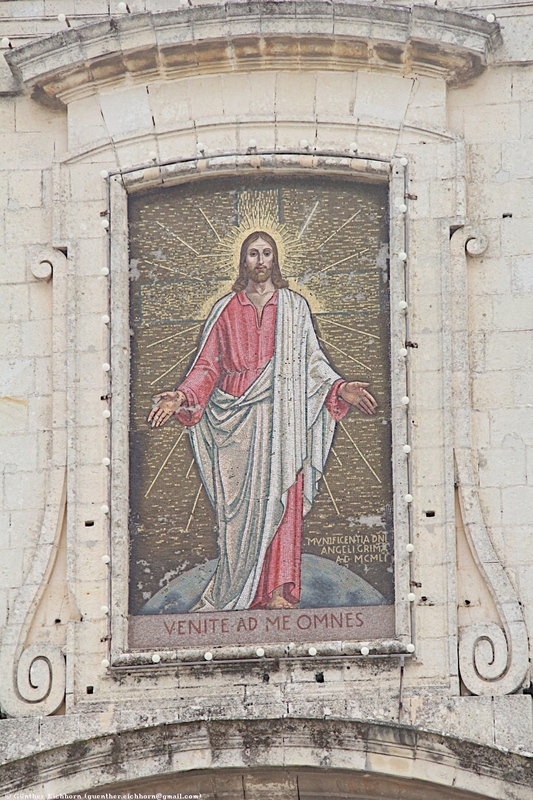 This three-apse shape is typical of the Ġgantija phase. 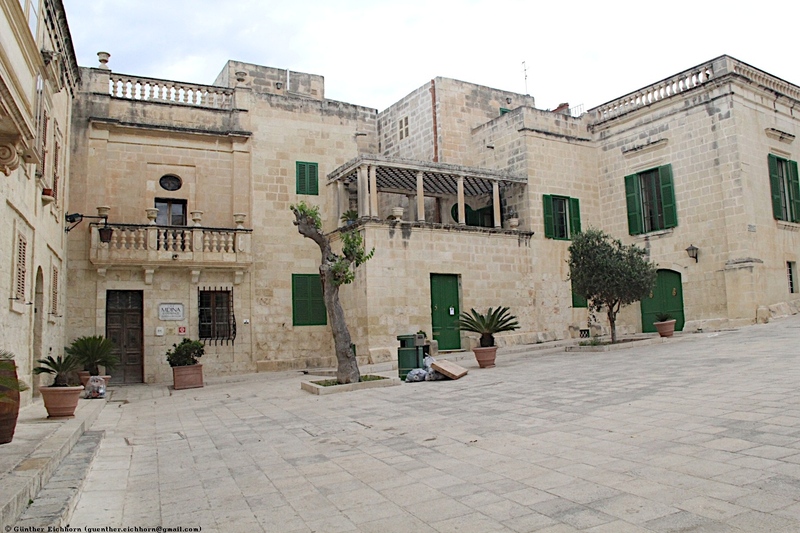 Unfortunately, the greater part of the first two apses and the whole of the facade have been razed to ground level. 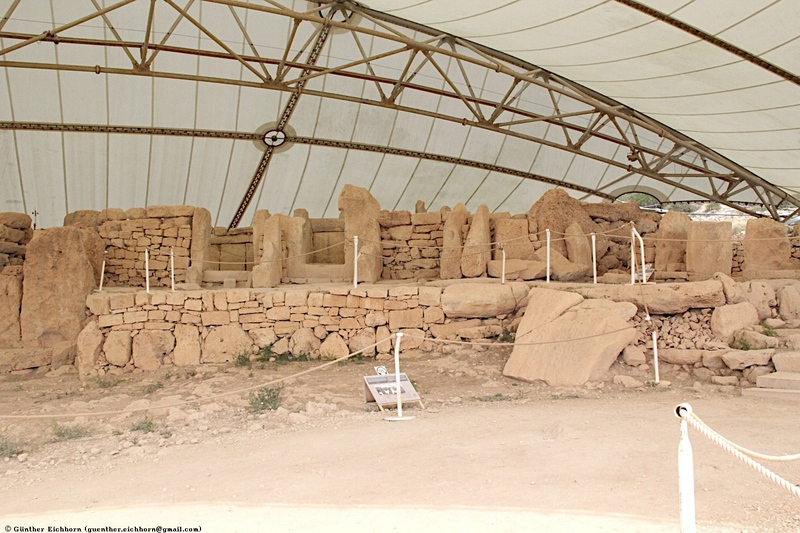 For a period of roughly twelve centuries before the temples were built, a village already stood on the site. 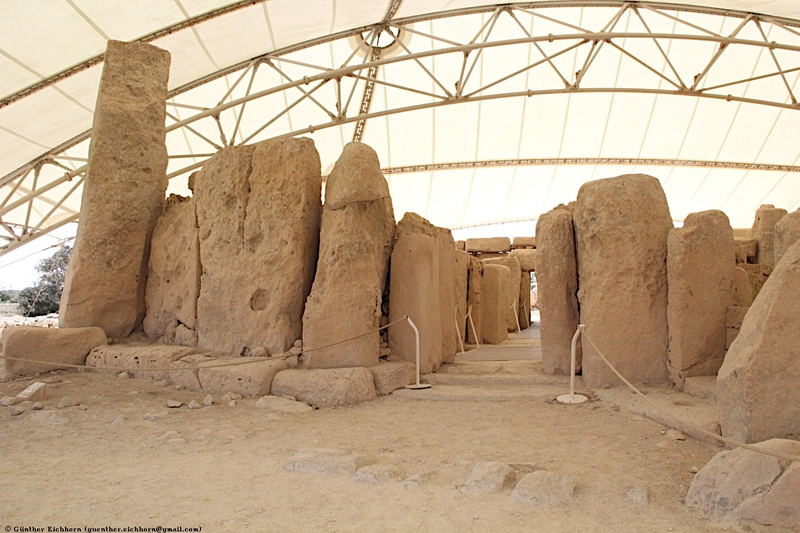 Its oldest extant structure is the eleven meter long straight wall to the west of the temples' first entrance. 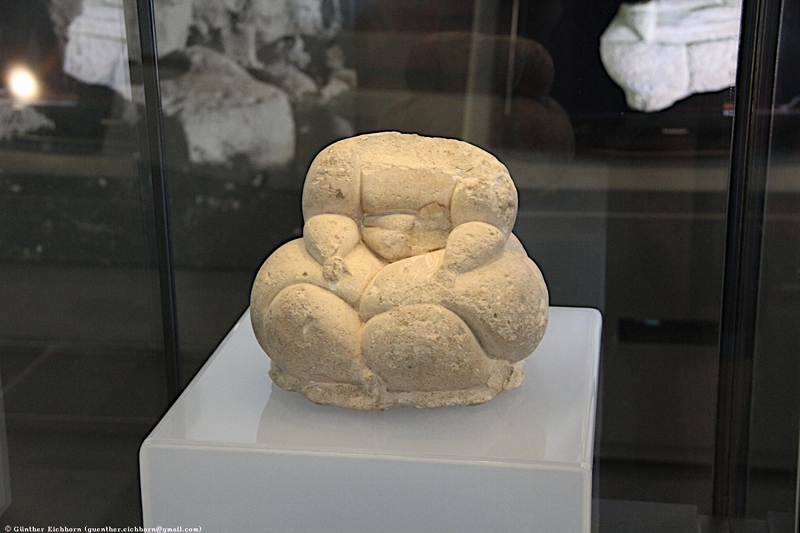 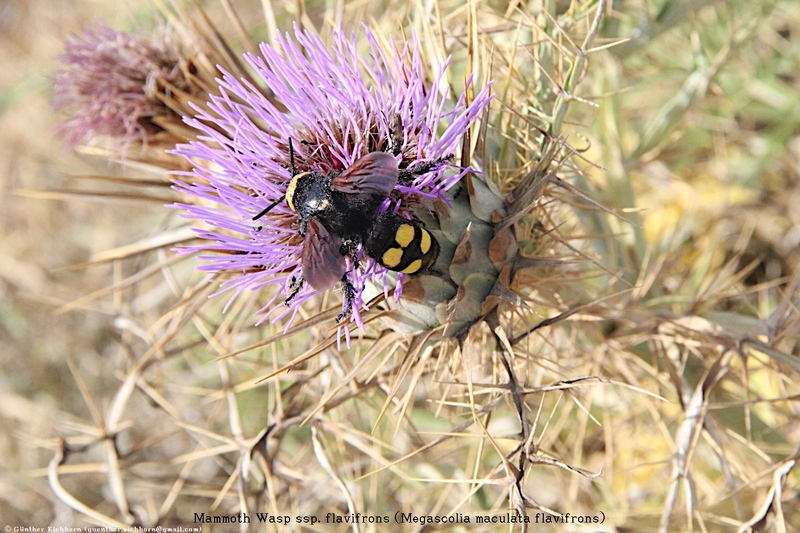 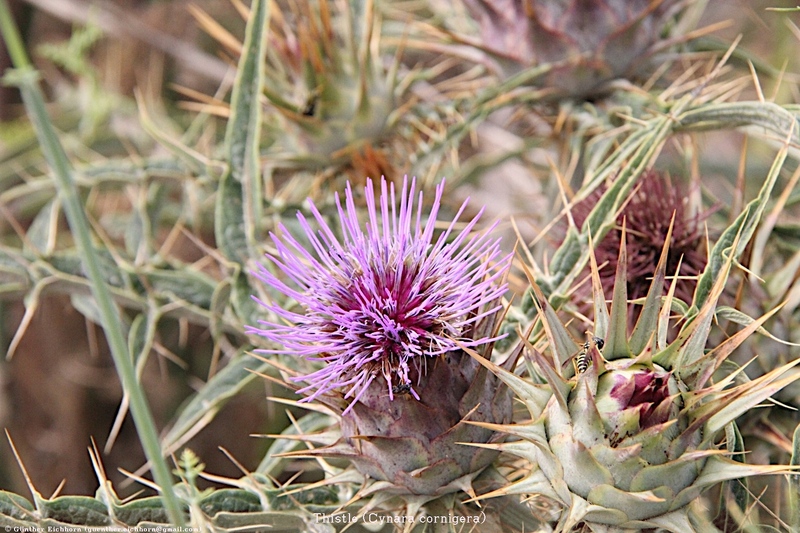 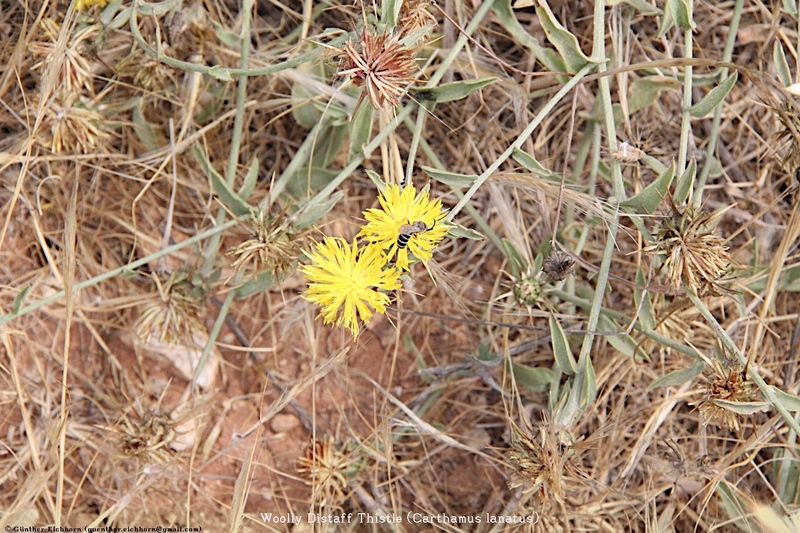 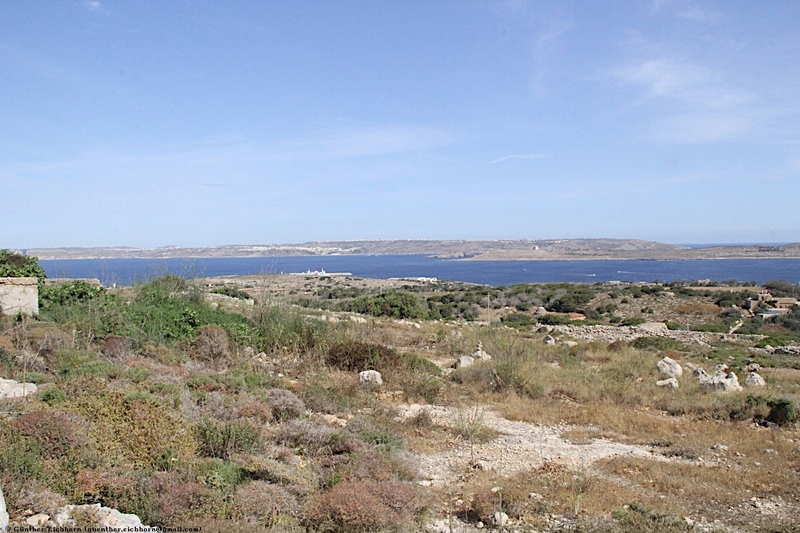 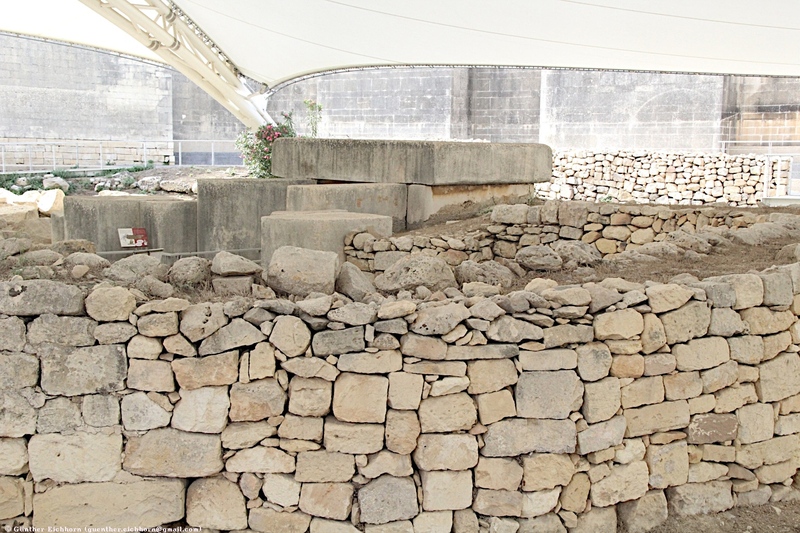 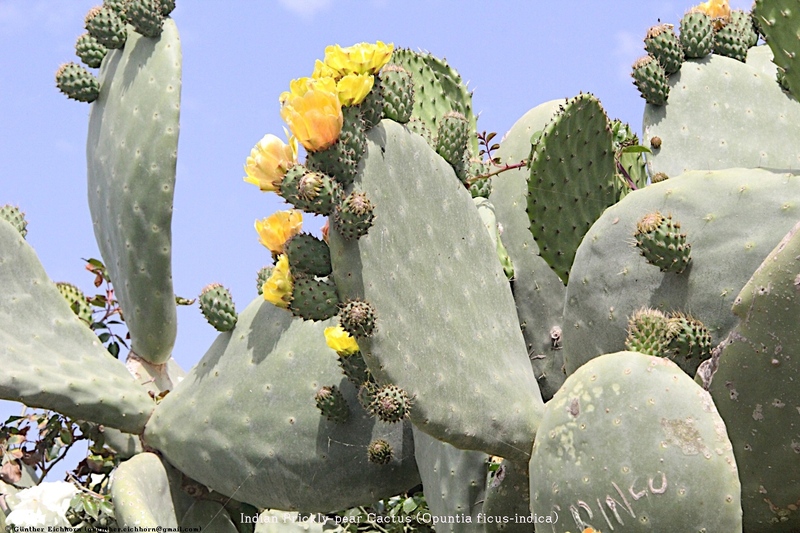 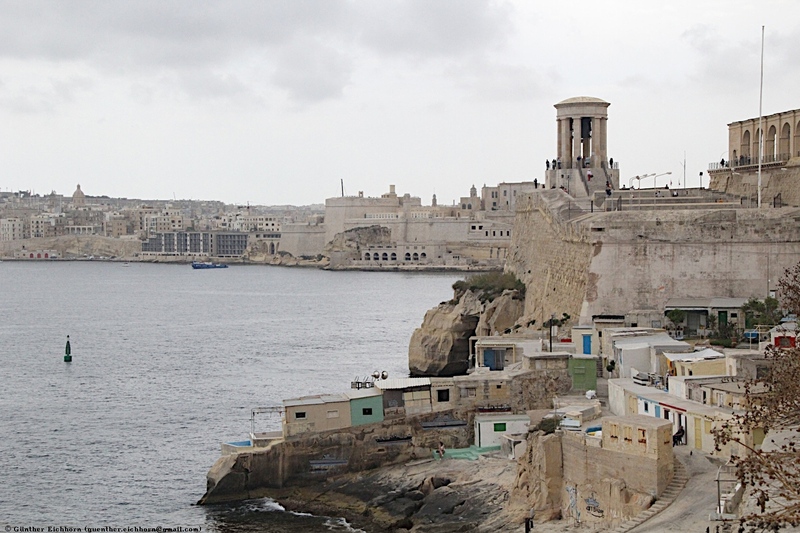 Deposits at its base contained material from the first known human occupation of the island, the Għar Dalam phase, including charcoal, which carbon analysis dated to 4850 BCE. 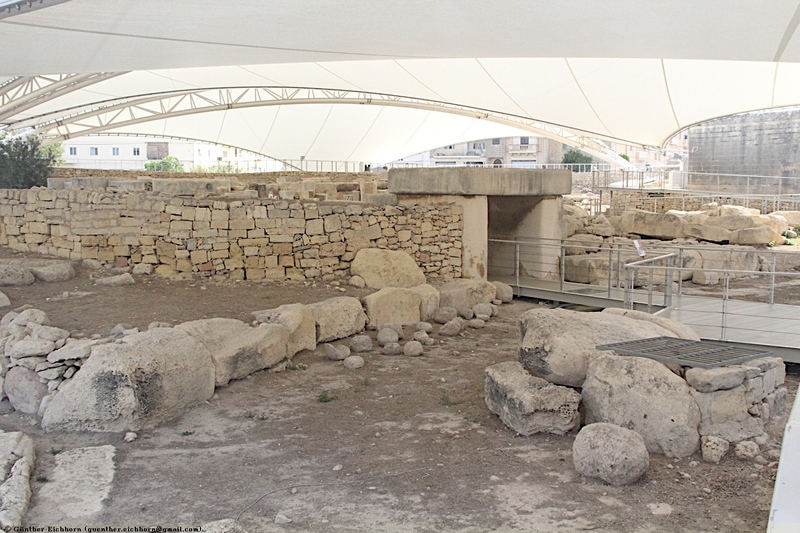 Misraħ Għar il-Kbir (informally known as Clapham Junction) is a prehistoric site in Siġġiewi, Malta, near the Dingli Cliffs. 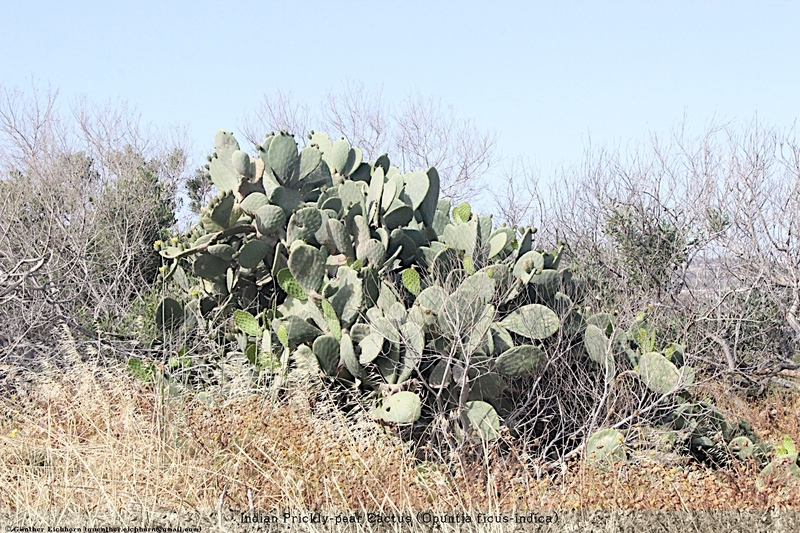 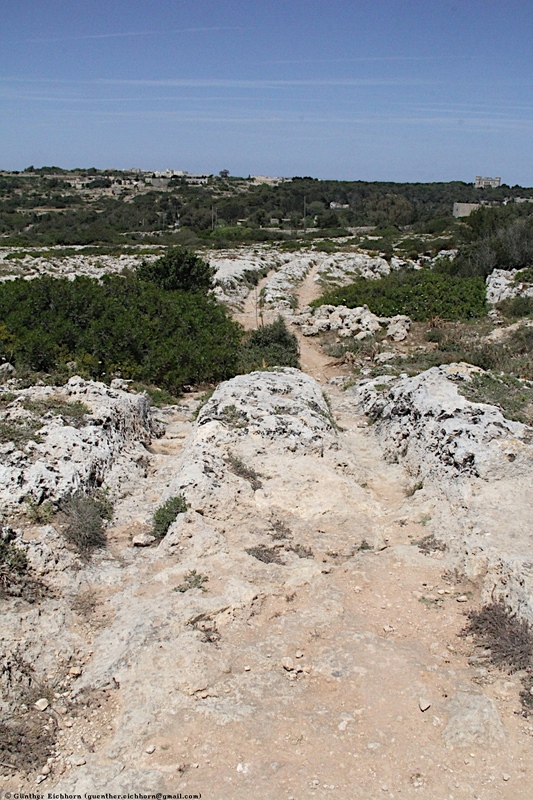 It is best known for its "cart ruts" - a complex network of tracks gouged in the rock. 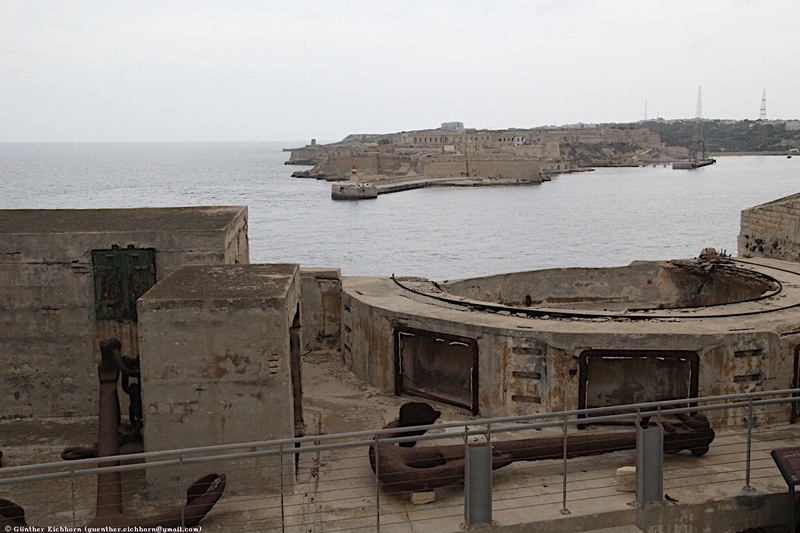 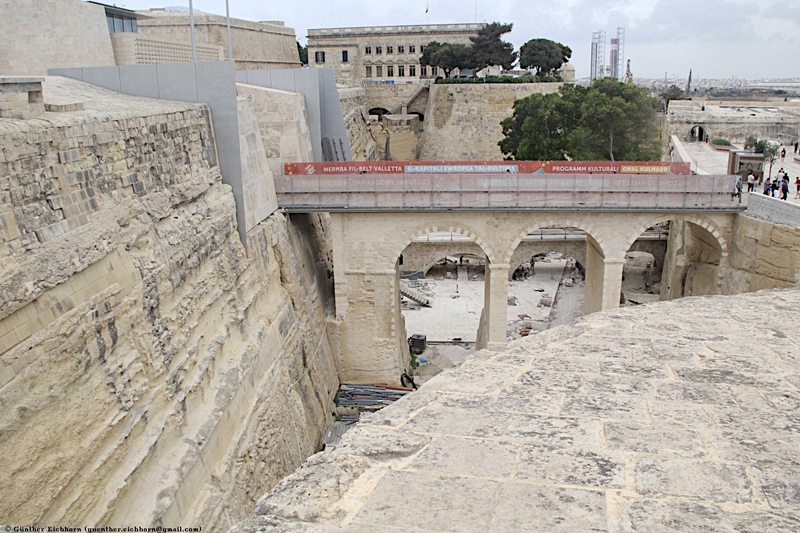 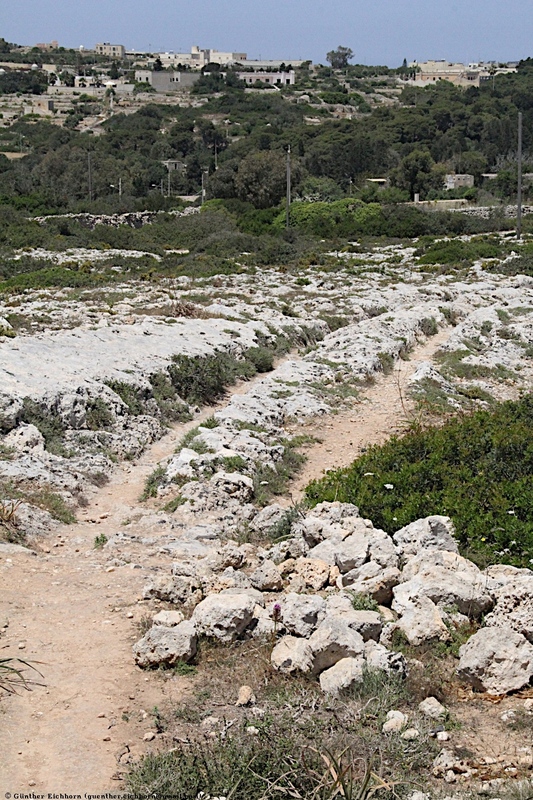 The age and purpose of the tracks are still a mystery of Maltese history. 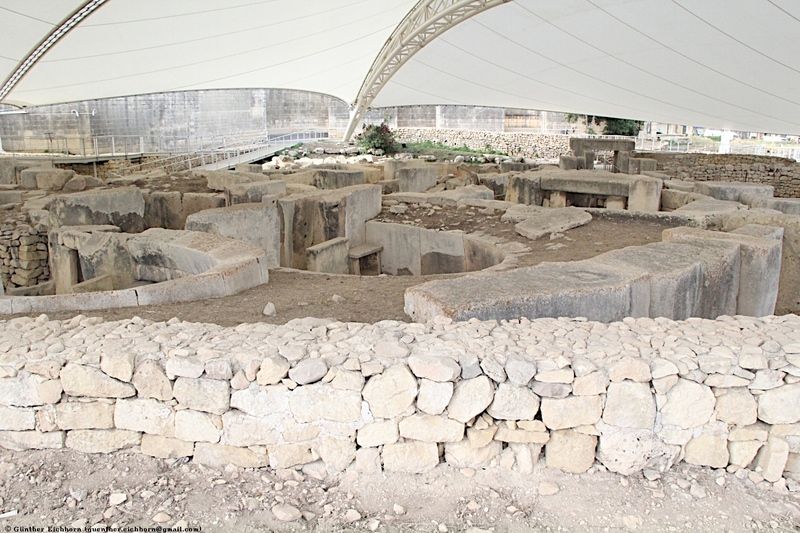 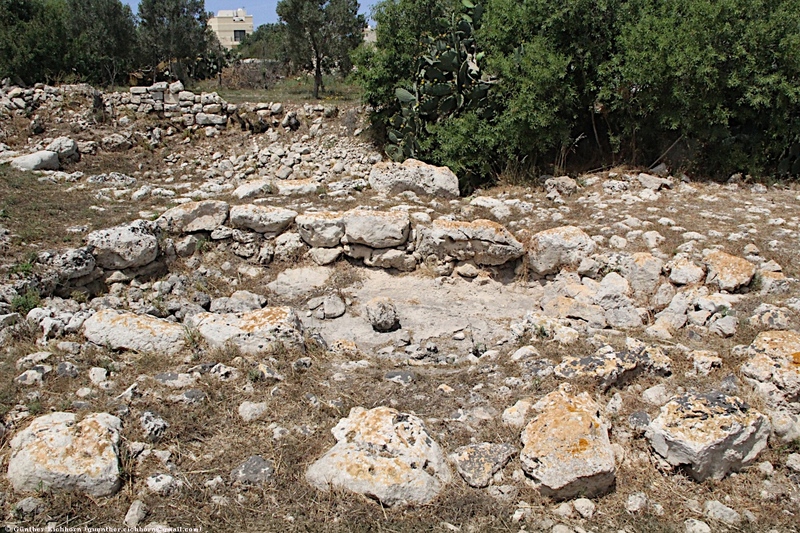 In general, most archaeologists presume that the site developed about 2000 BCE after new settlers came over from Sicily to start the Bronze Age in Malta. 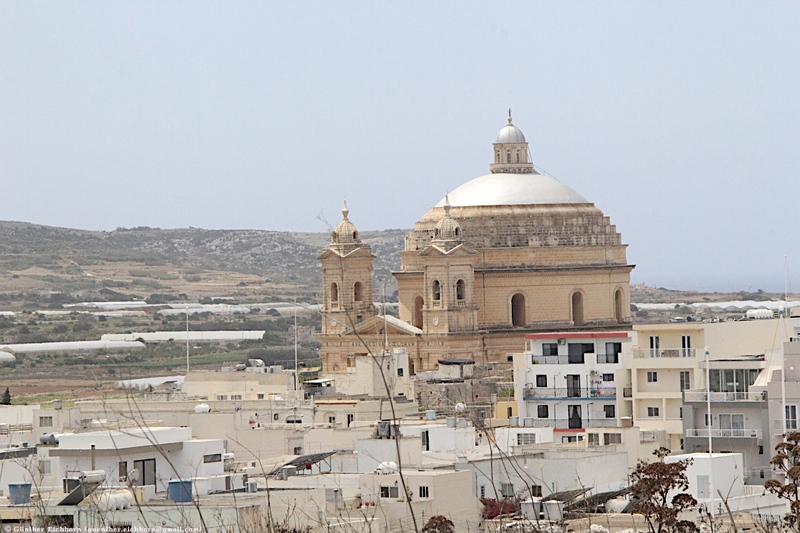 See the Wikipedia entry for Misraħ Għar il-Kbir for more details. 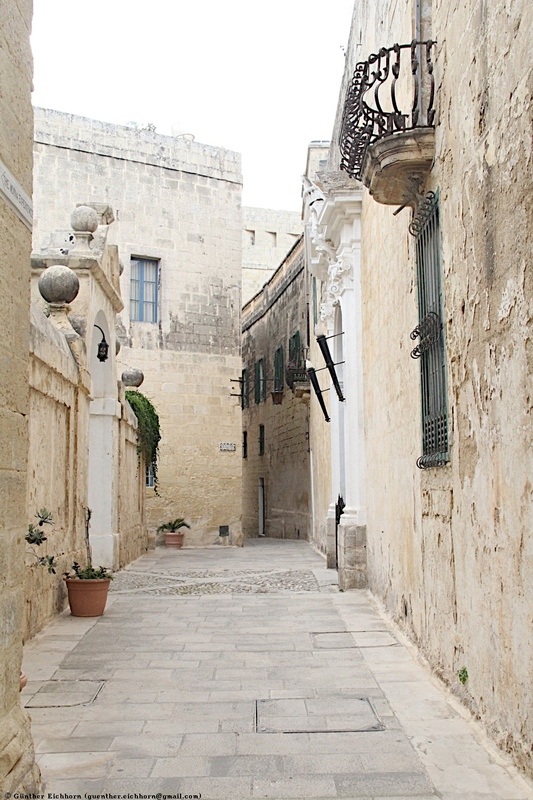 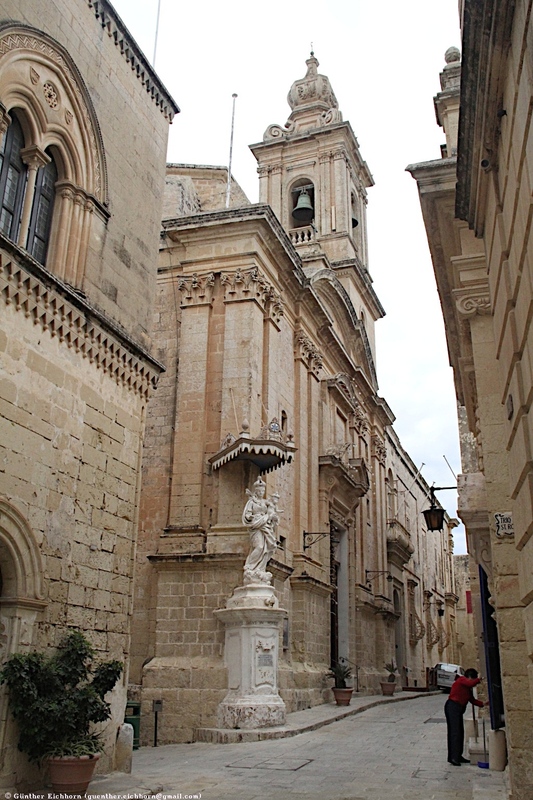 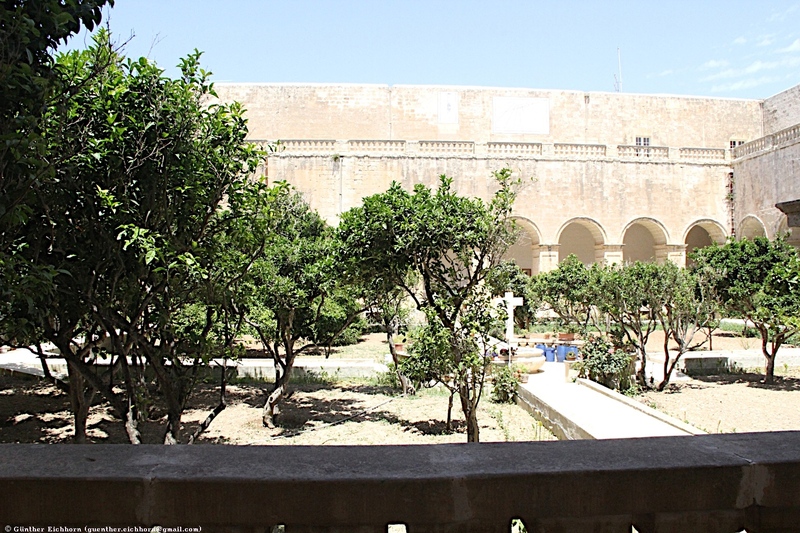 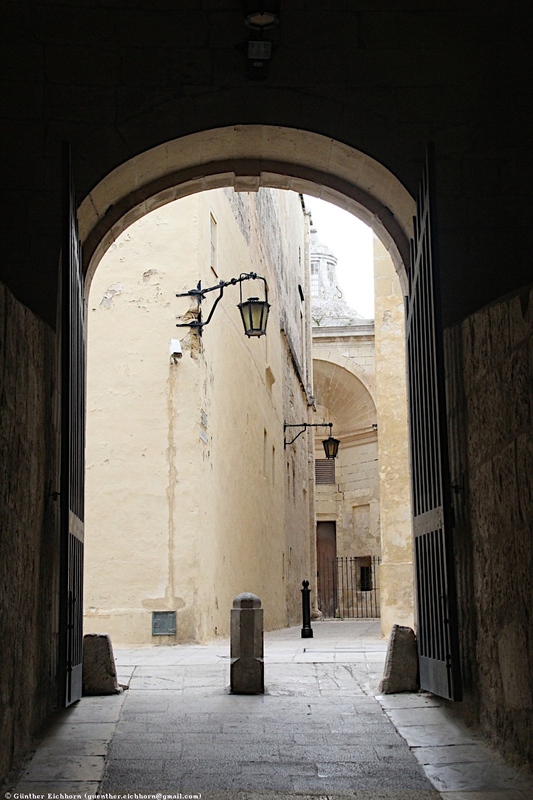 Mdina and Rabat are two beautiful medieval cities with interesting architecture. 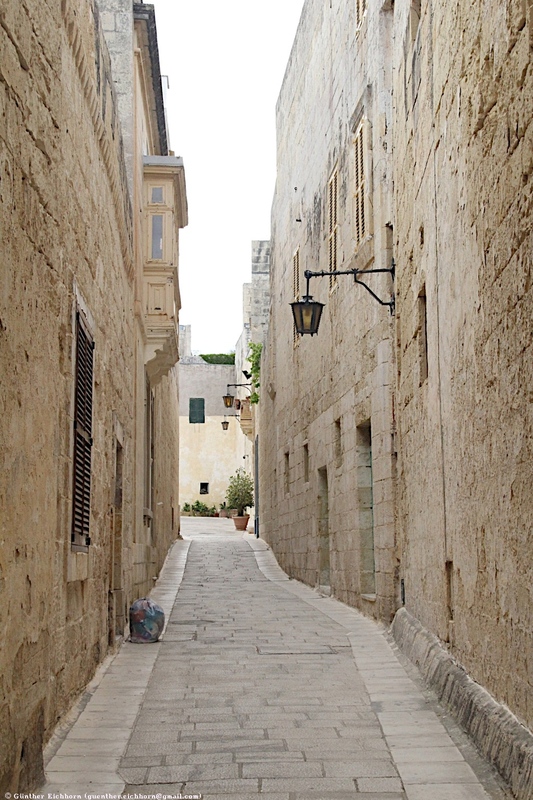 Mdina is a fortified city in central Malta, which served as the island's capital from antiquity to the medieval period. 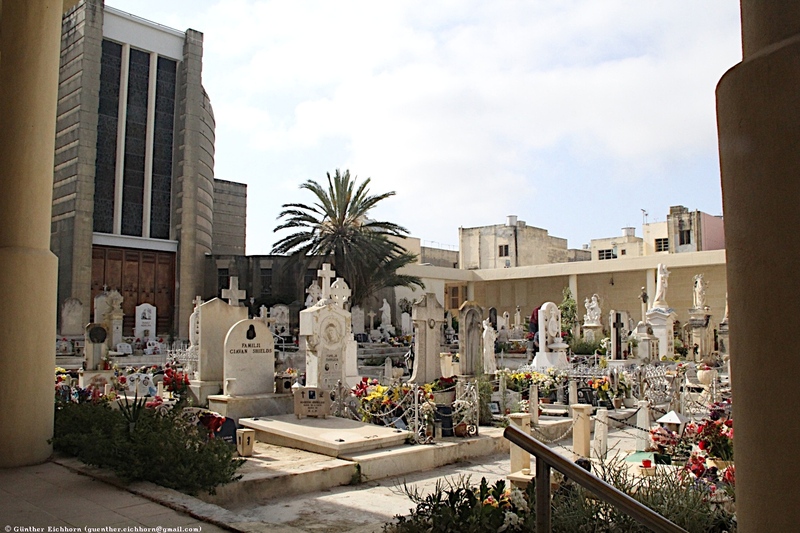 The city is still confined within its walls, and has a population of just under 300, but it is contiguous with the town of Rabat, which takes its name from the Arabic word for suburb, and has a population of over 11,000 (as of March 2014). 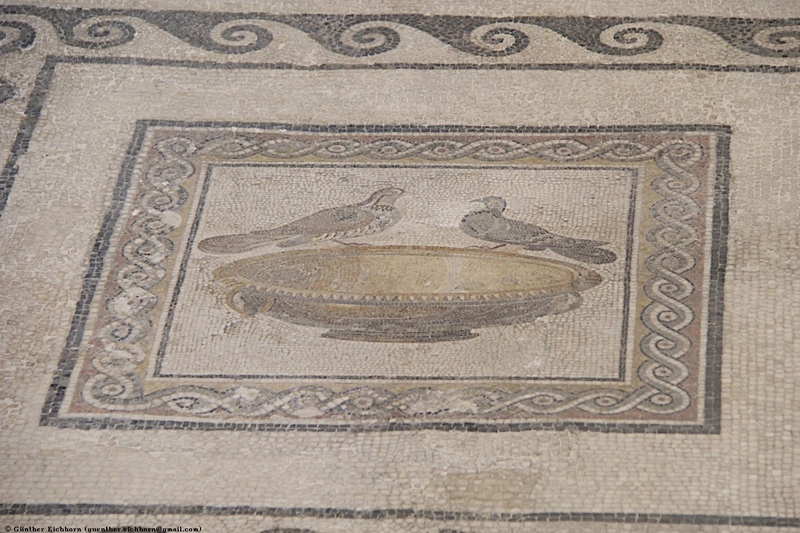 The Domus Romana is a Roman villa on the border between Mdina and Rabat, dating back to the 1st century CE. 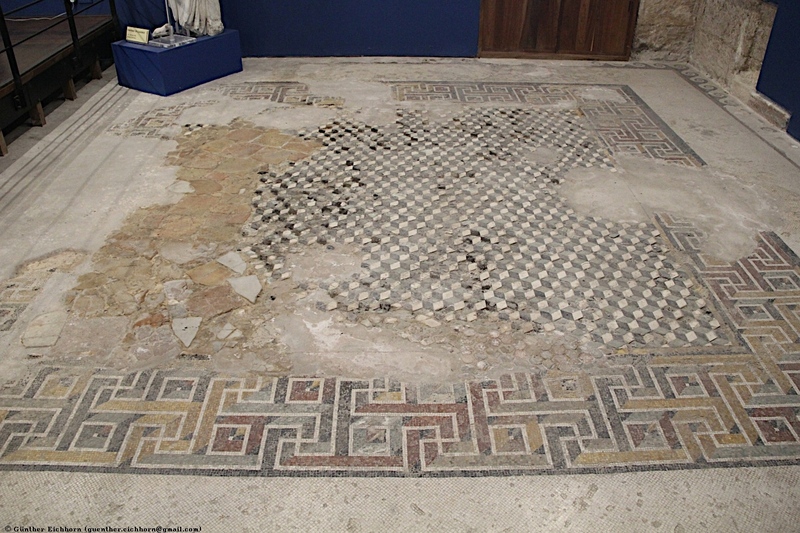 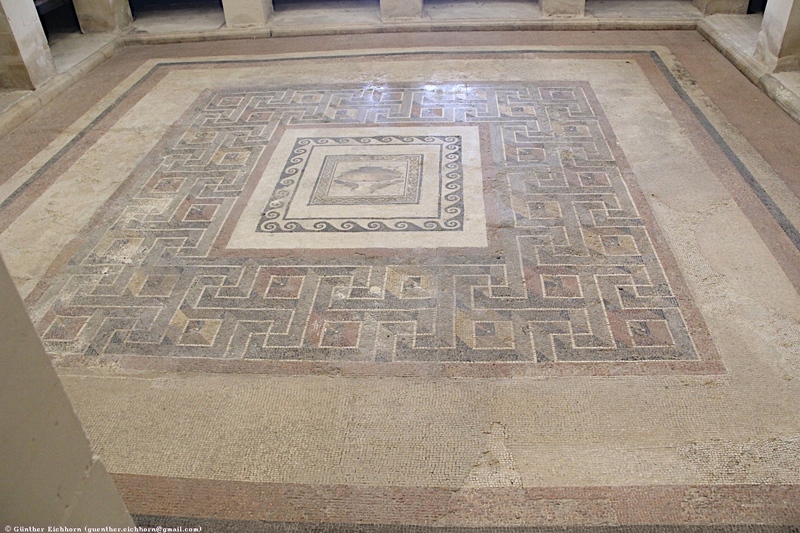 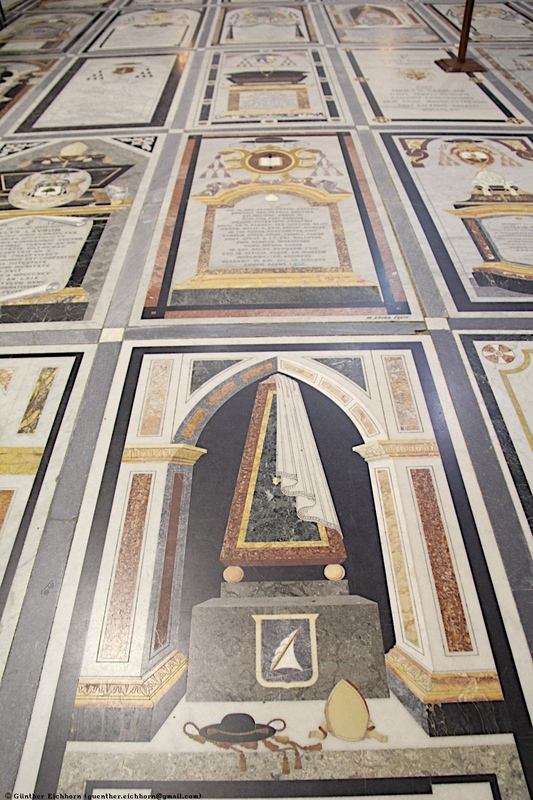 It contains some nice floor mosaics. 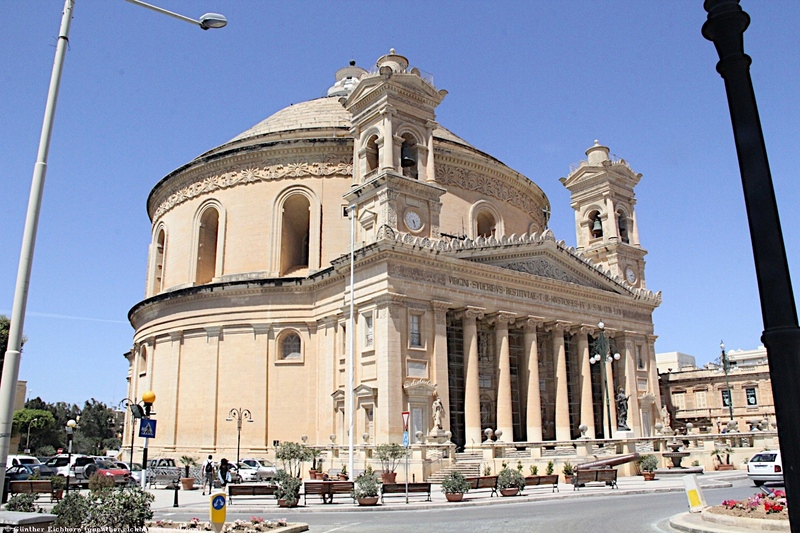 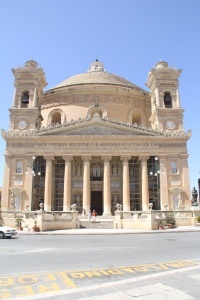 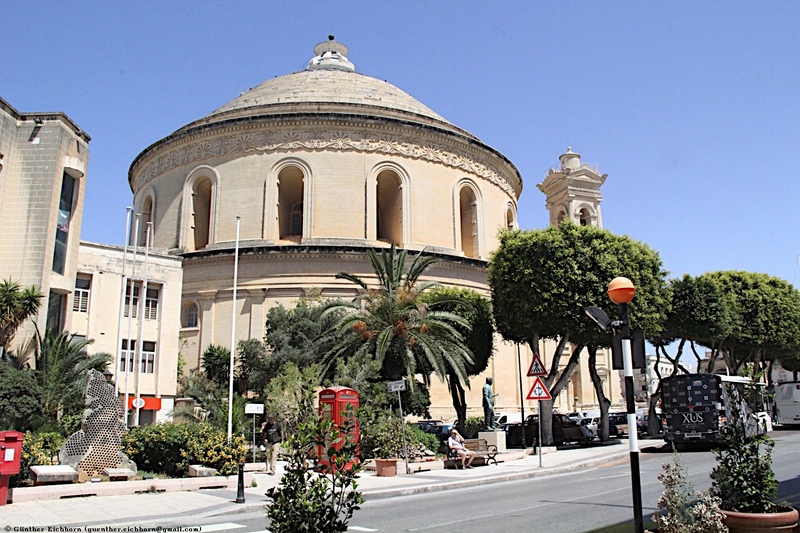 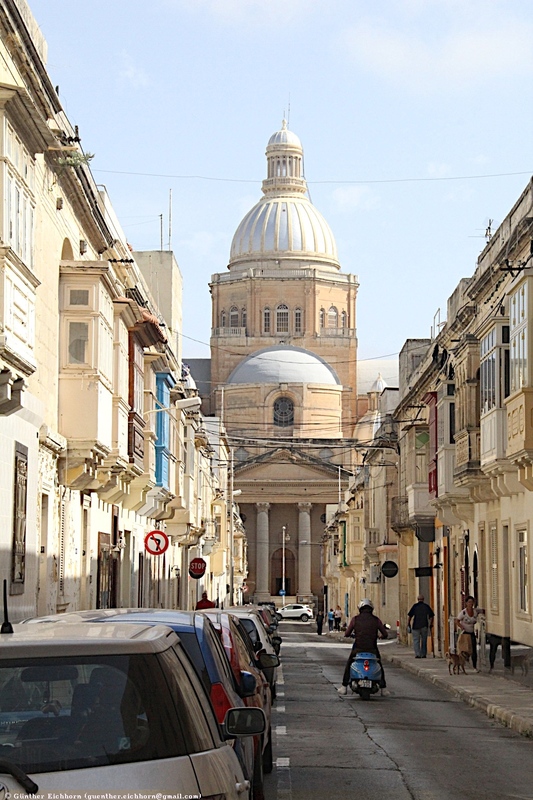 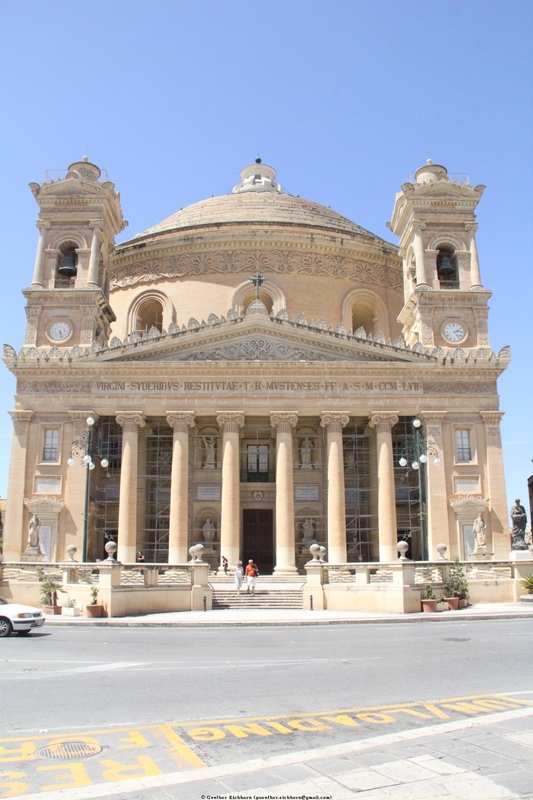 The most famous building in Mosta is the Rotunda, a large church with the third largest unsupported dome in the world. 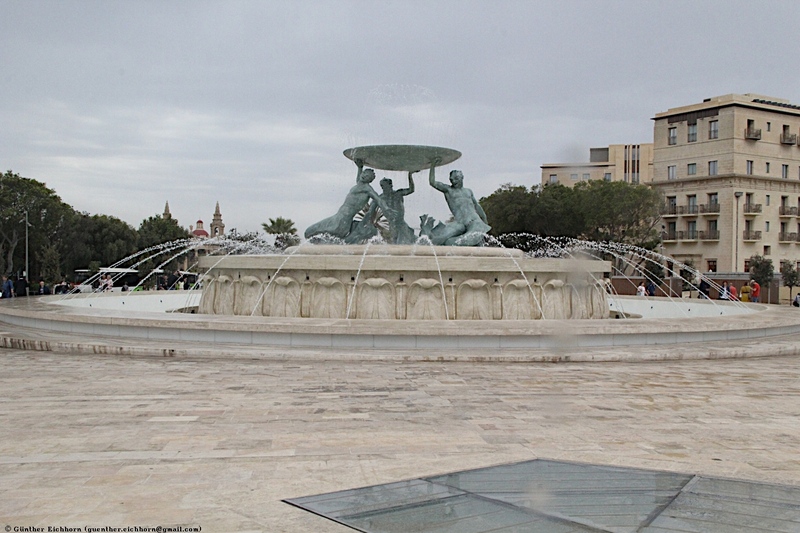 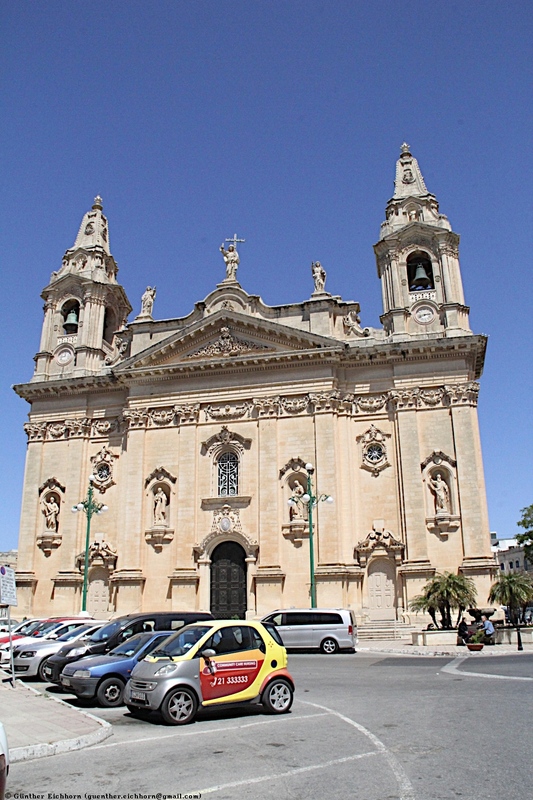 Naxxar is a town in the Northern Region of Malta, with a population of about 13,443 people as of March 2014. 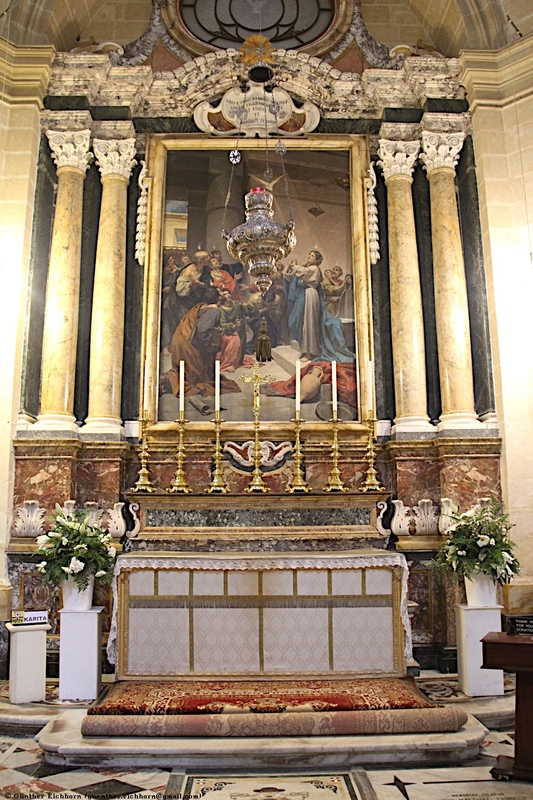 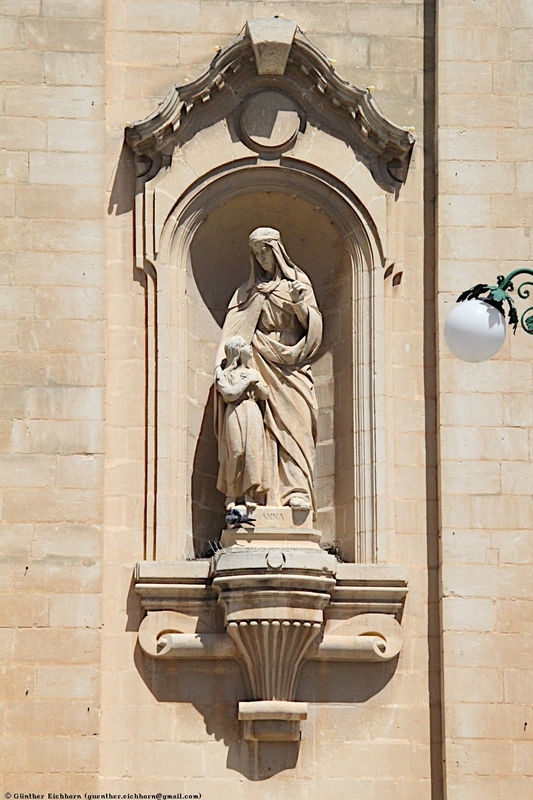 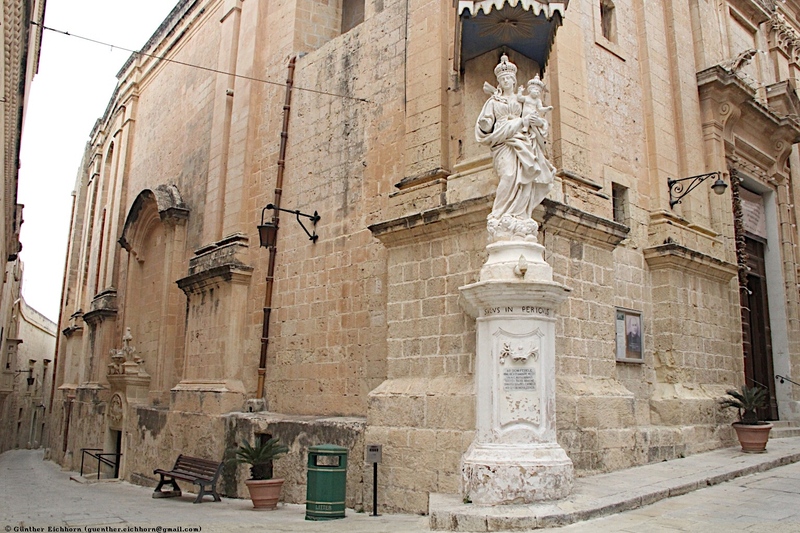 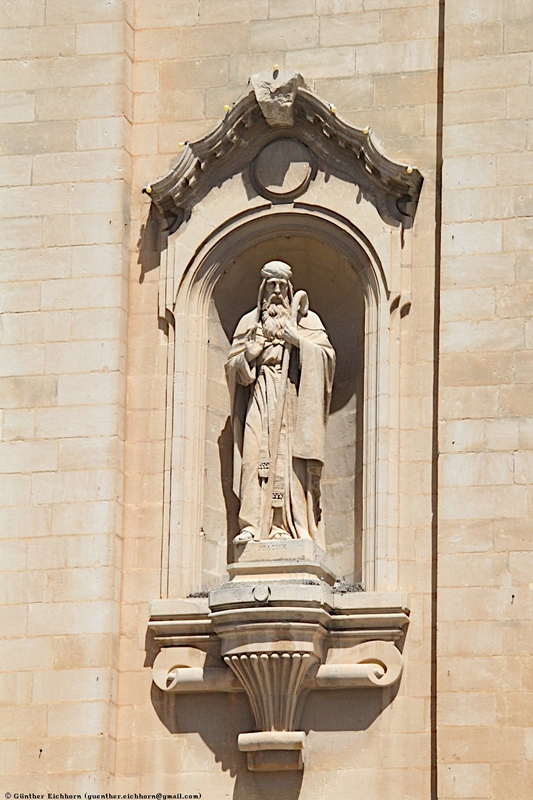 The Naxxar Parish Church is dedicated to Our Lady of Victories. 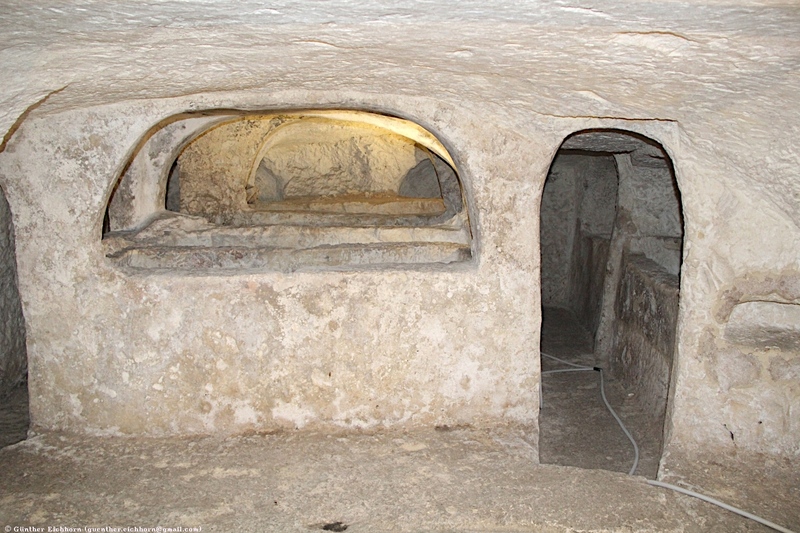 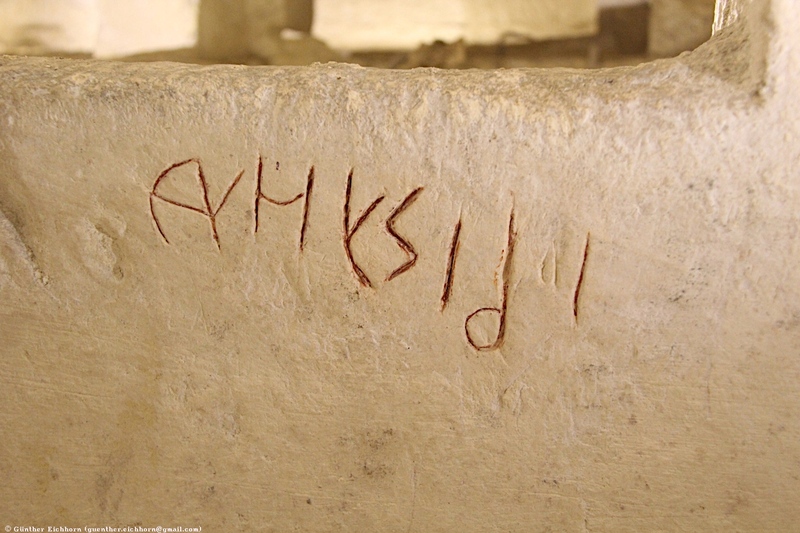 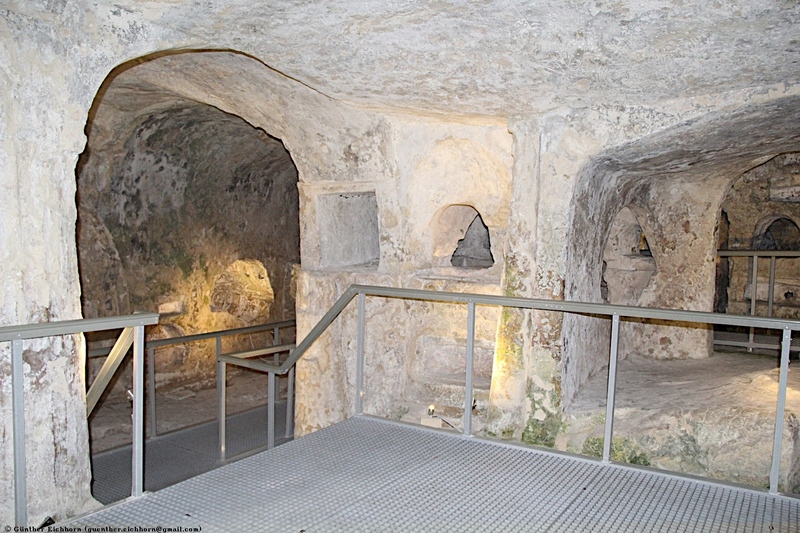 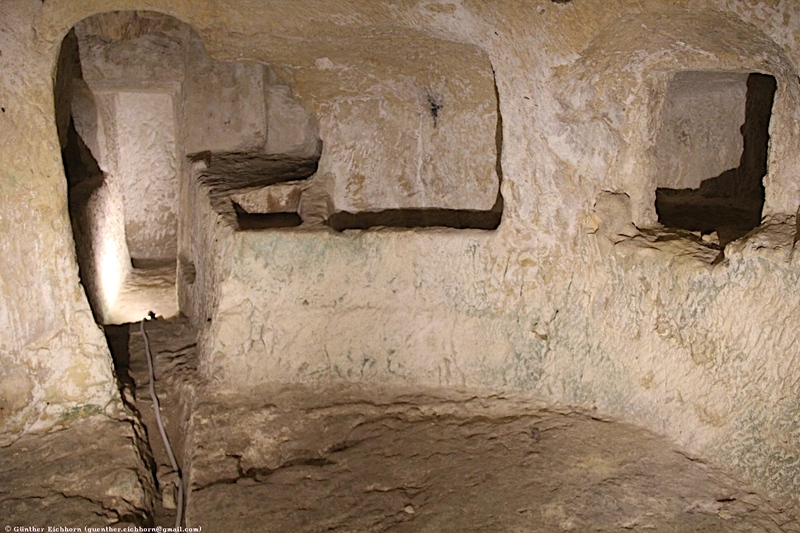 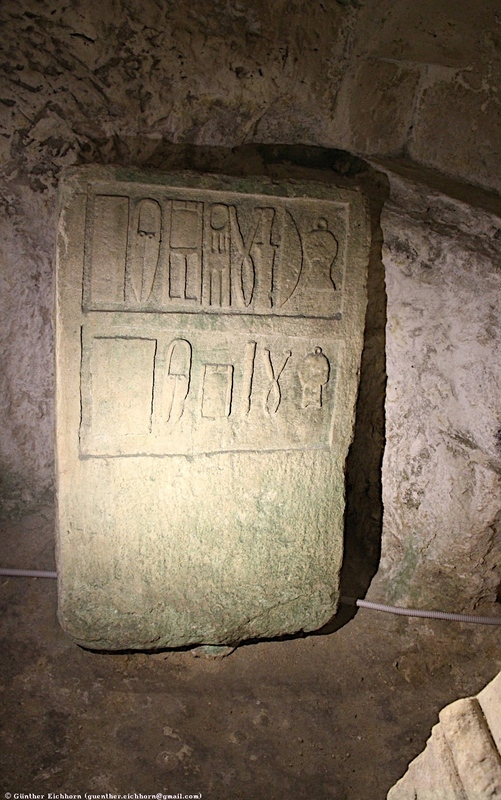 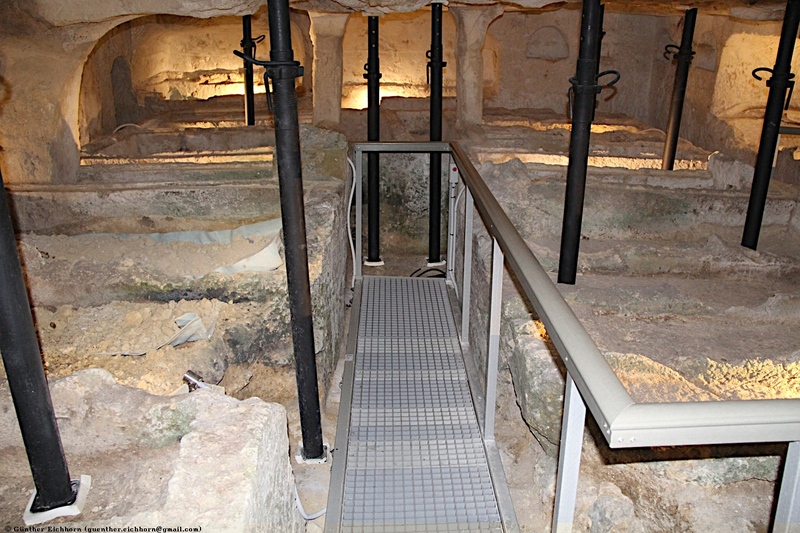 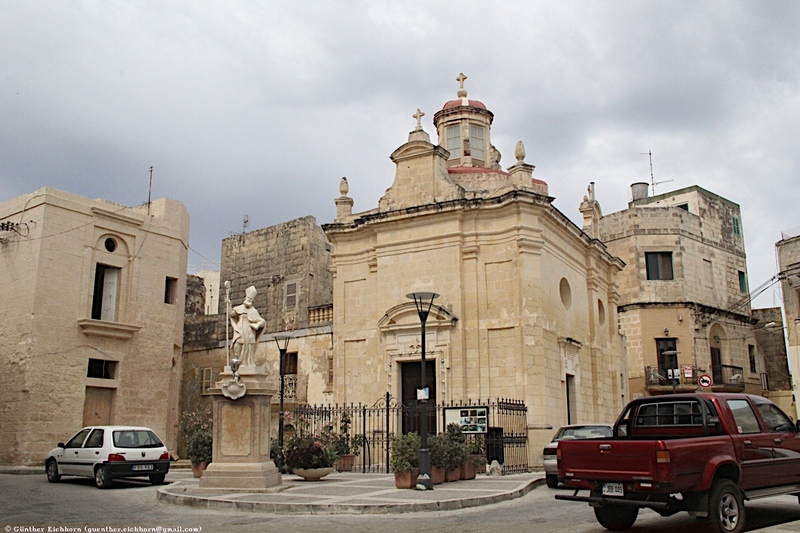 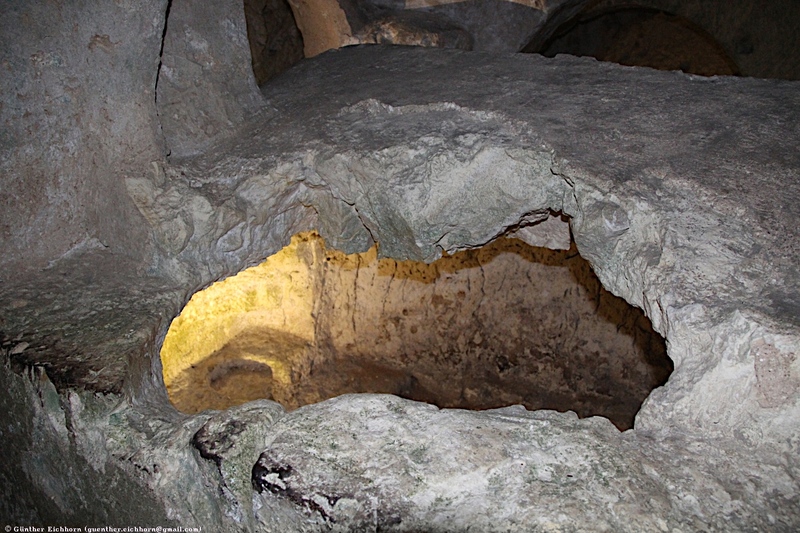 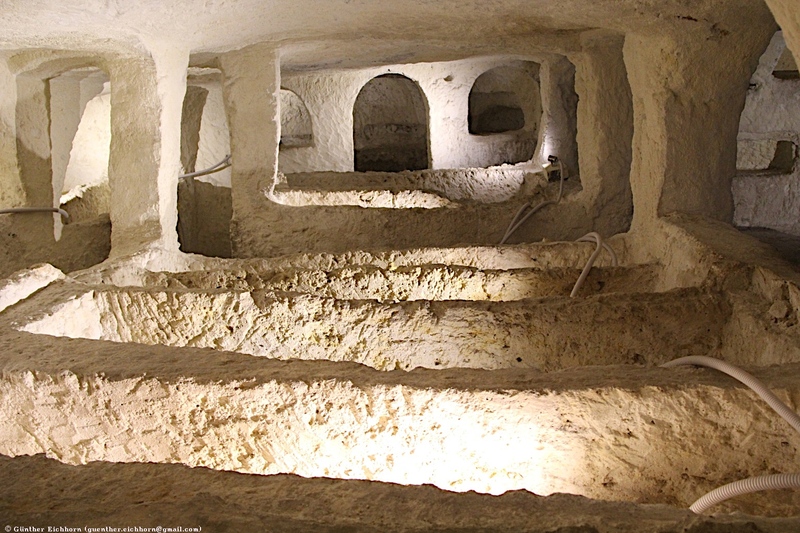 St. Paul's Catacombs are some of the most prominent features of Malta's early Christianity archaeology. 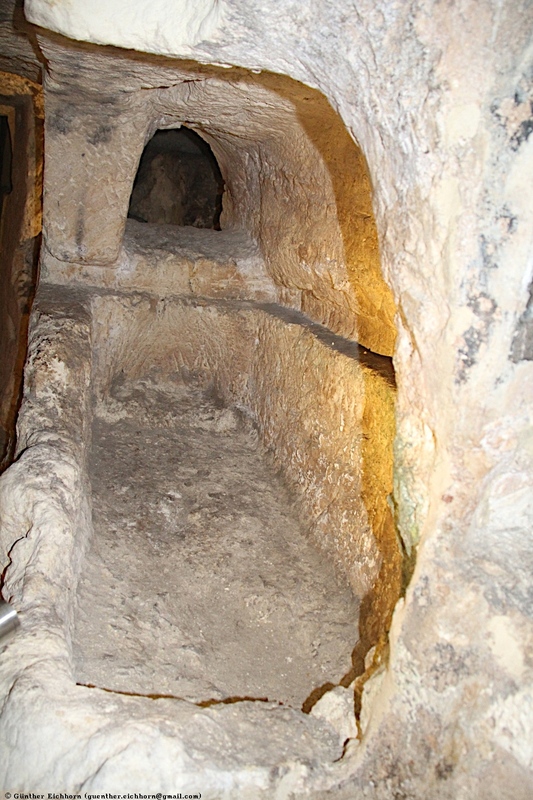 The archaeological clearing of the site has revealed an extensive system of underground galleries and tombs dating from the fourth to the ninth centuries CE. 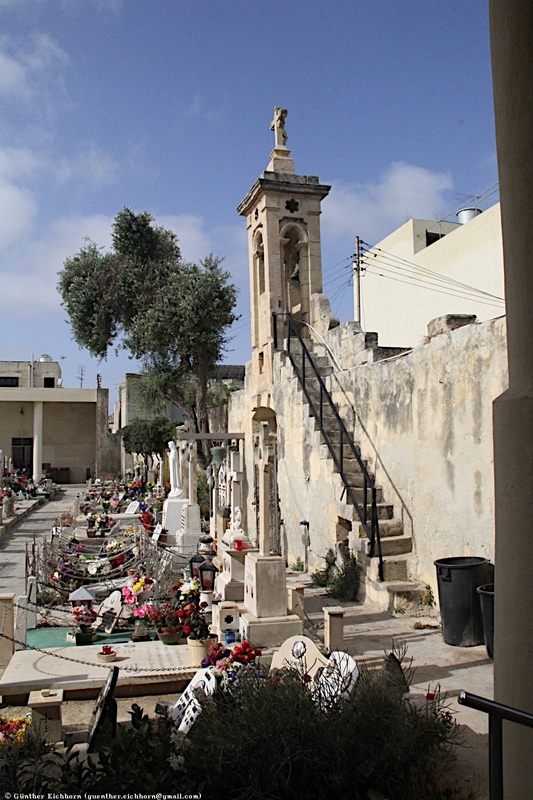 St. Paul's catacombs are part of a large cemetery once located outside the walls of the ancient Greek city of Melite, now covered by the smaller Mdina and Rabat. 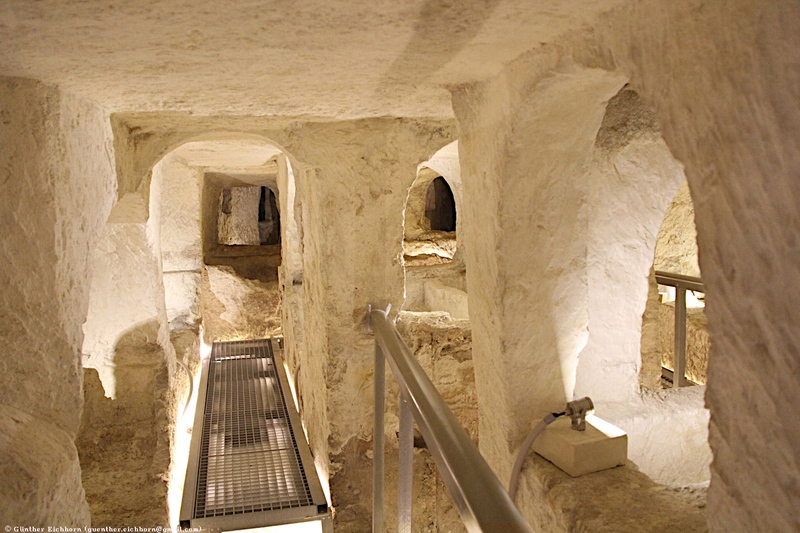 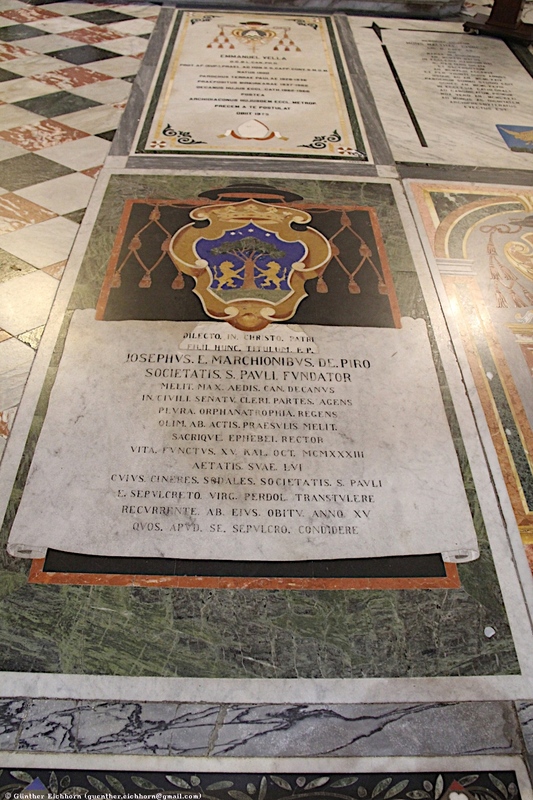 It also comprises the catacombs of Saint Agatha, San Katald, St. Augustine and many others. 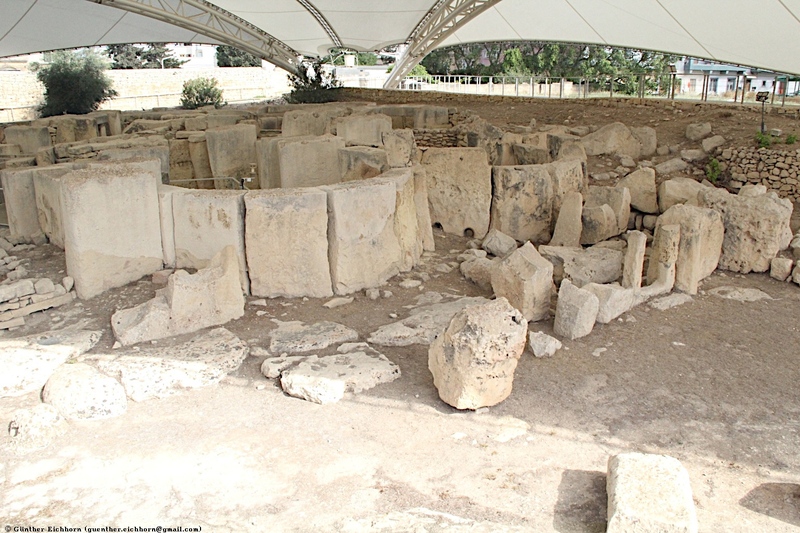 The cemetery probably originated in the Phoenician-Punic period. 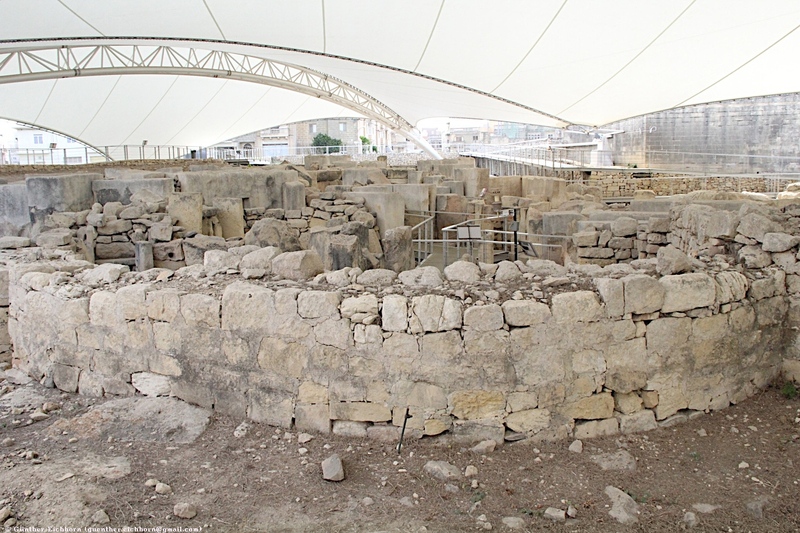 As in Roman tradition, Phoenician and Punic burials were located outside city walls. 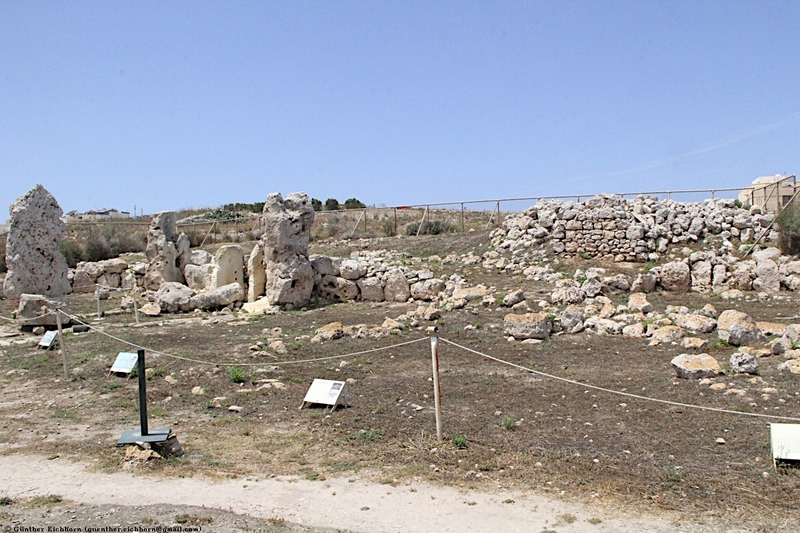 The many tombs discovered in areas outside the known line of the Roman city suggest that the city of Melite was close to equal size. 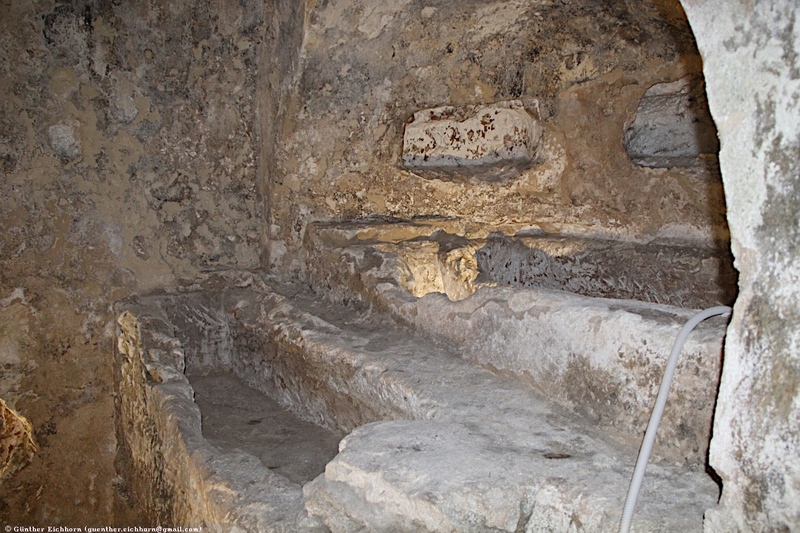 The early tombs consisted of a deep rectangular shaft with one or two chambers dug from its sides. 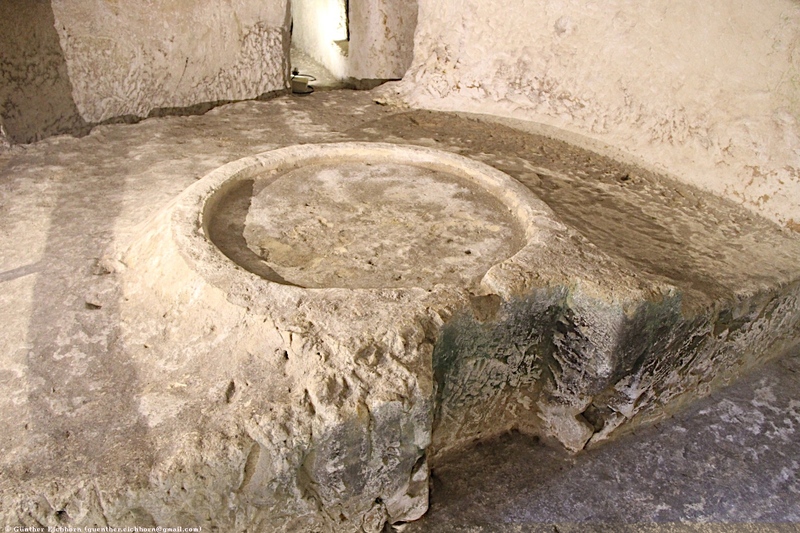 This type of burial was used well into the Roman occupation of the islands, but the chambers grew larger and more regular in shape over time. 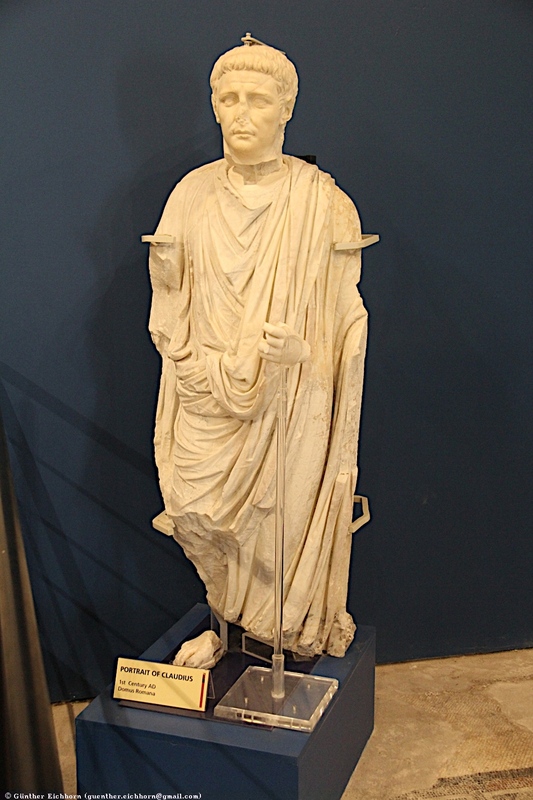 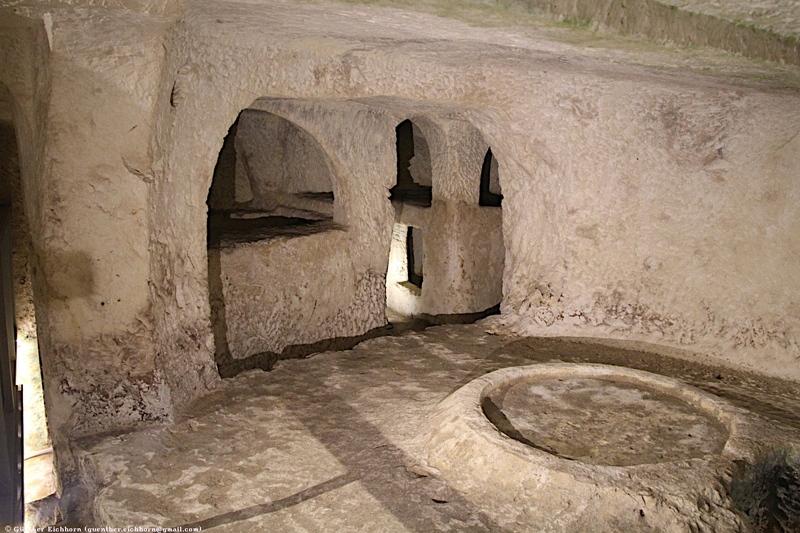 It is probable that this enlargement joined neighboring tombs and led to the creation of small catacombs, which became the norm by the fourth century CE. 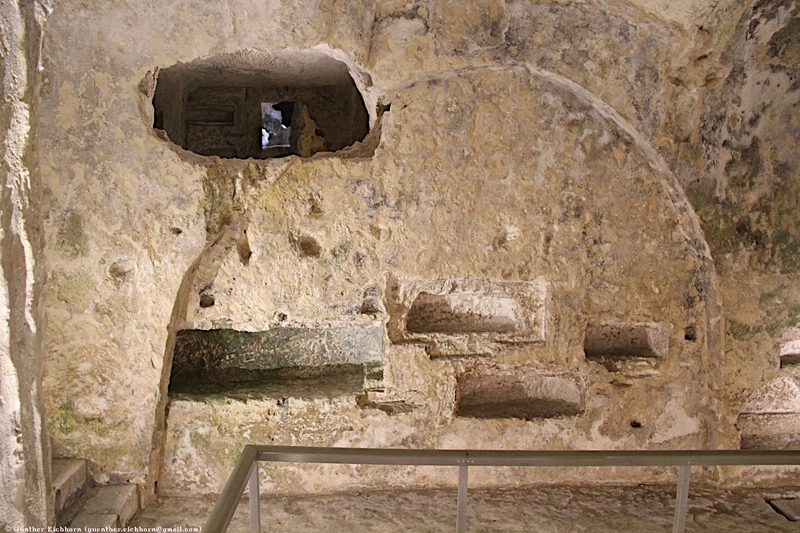 The entrance to the main complex of St Paul's Catacombs leads to two considerably large halls, adorned with pillars made to resemble Doric columns and painted plasters most of which have now disappeared. 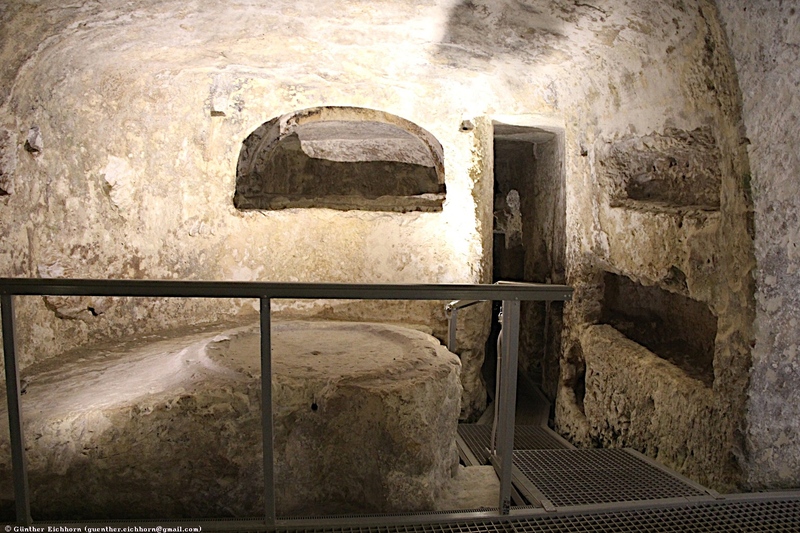 On keeping with what seems to have been a norm in most Christian catacombs, these main halls are equipped with two circular tables set in a low platform with sloping sides which resemble the reclining couch (triclinium) present in Roman houses. 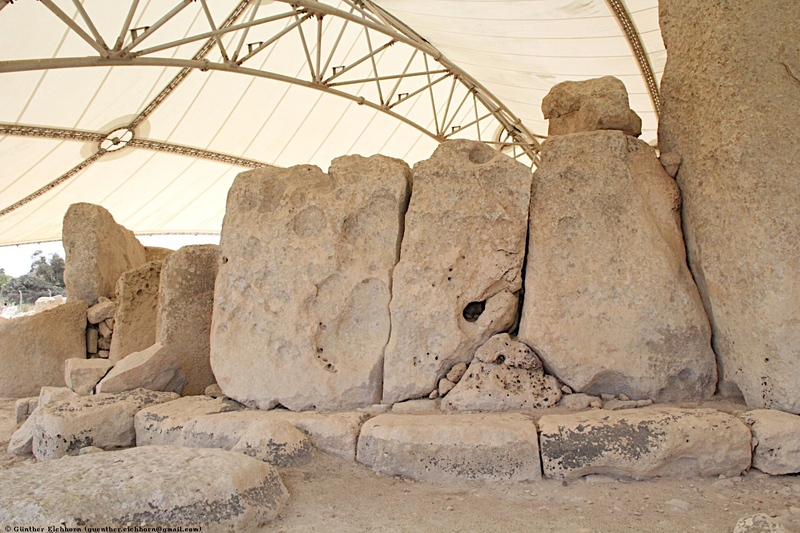 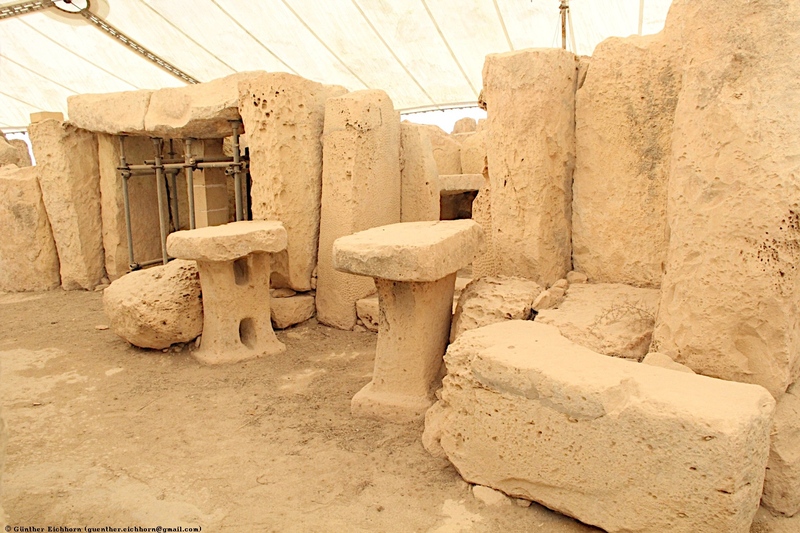 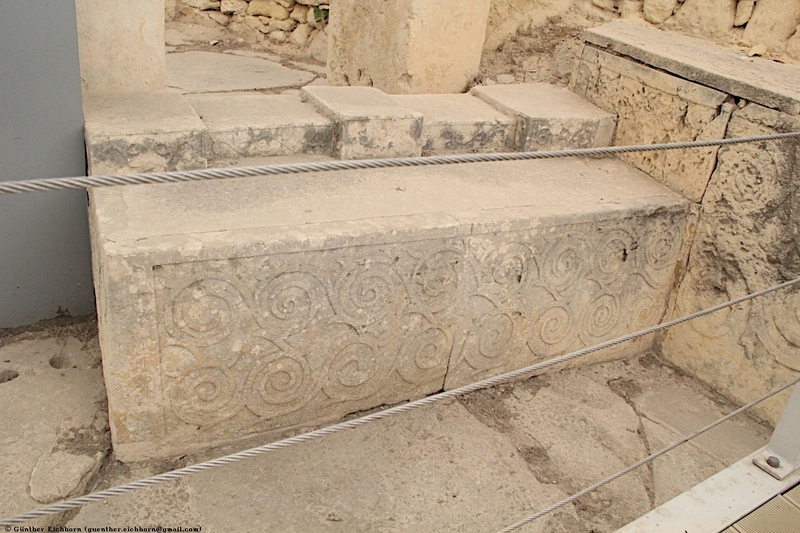 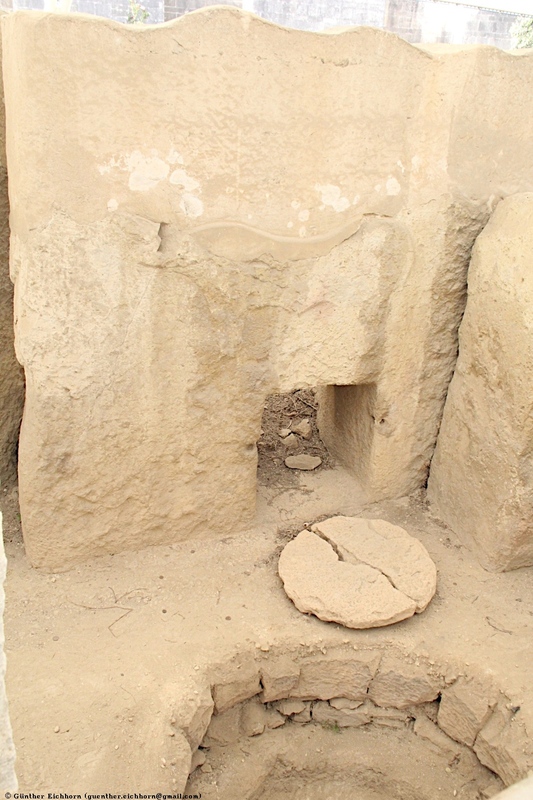 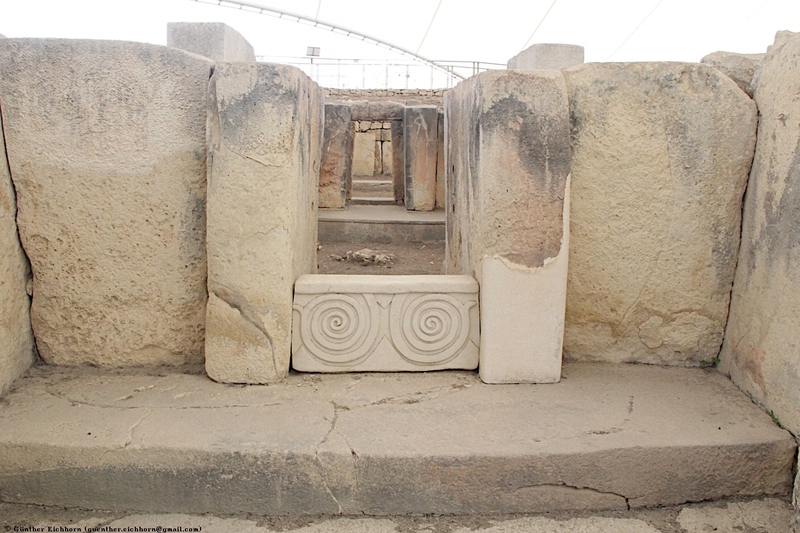 In all cases found in the main complex and the numerous other Christian Hypogea of the site, both table and couch are hewn out in one piece form the living rock forming a single architectural unit within an apsed recess. 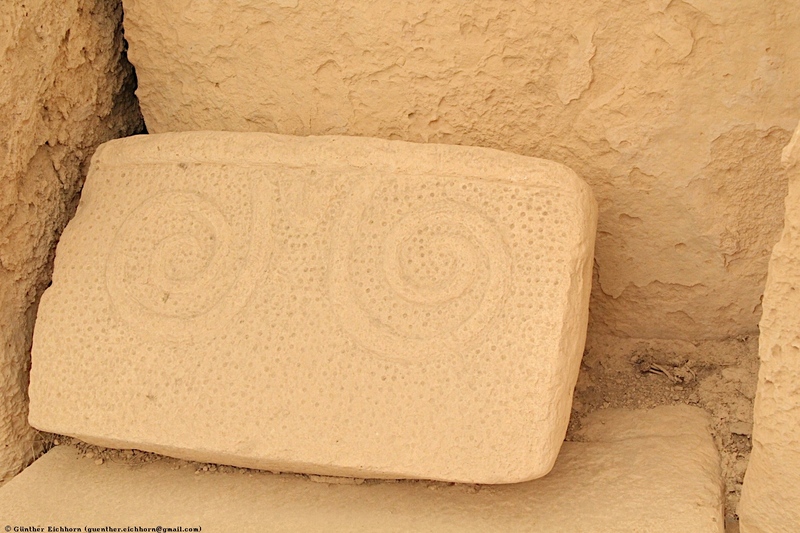 Although various interpretations may be found, these triclinia, or Agape tables, were probably used to host commemorative meals during the annual festival of the dead, during which the rites of burials were renewed. 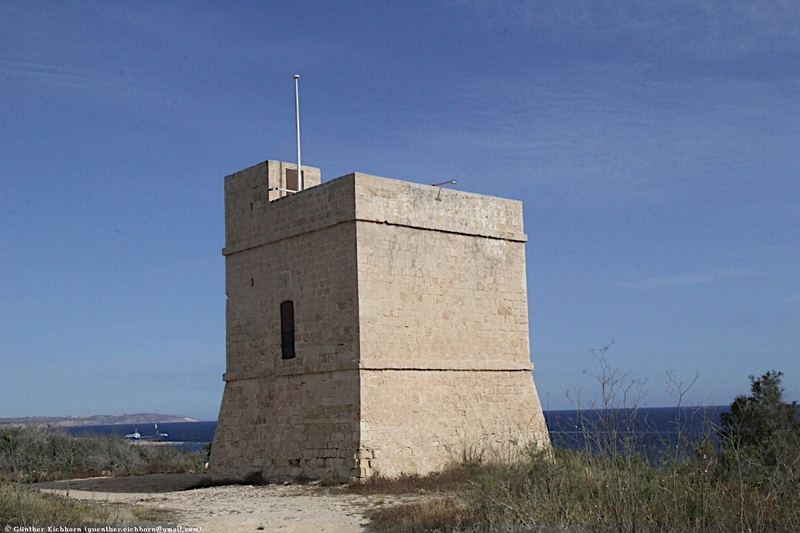 The De Redin Towers are a series of small coastal watchtowers built by the Order of Saint John between 1658 and 1659. 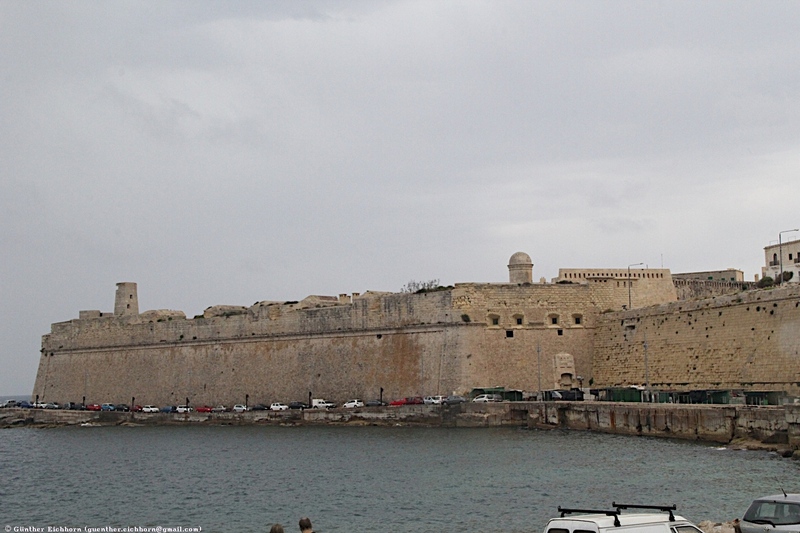 Thirteen towers were built around the coast of mainland Malta, eight of which still survive. 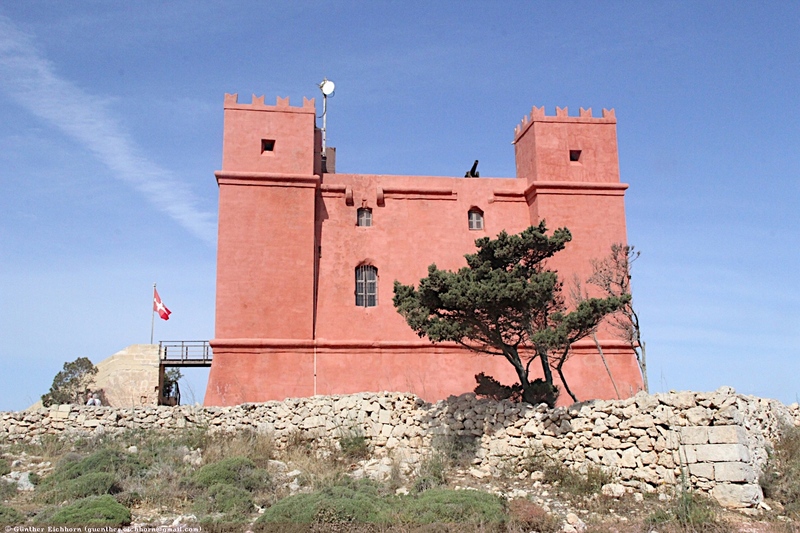 Saint Agatha's Tower, also known as the Red Tower, is a large bastioned watchtower in Mellieħa, Malta. 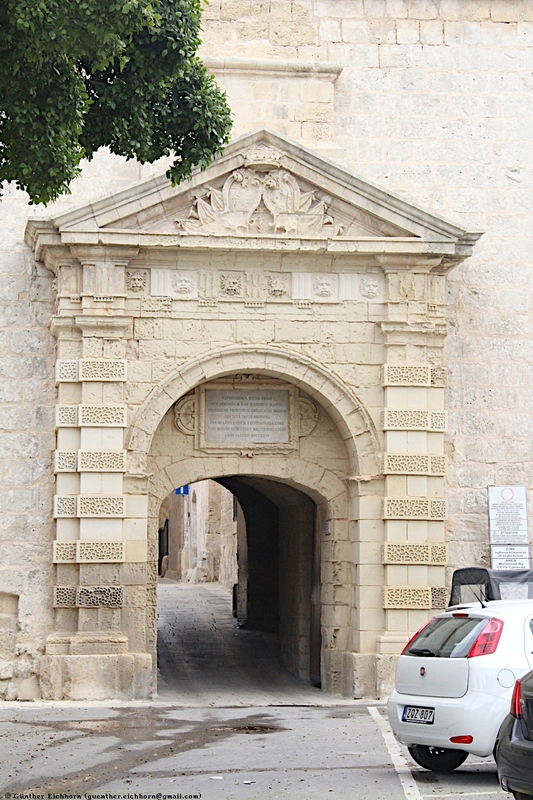 It was built between 1647 and 1649, as the sixth of the Lascaris towers. 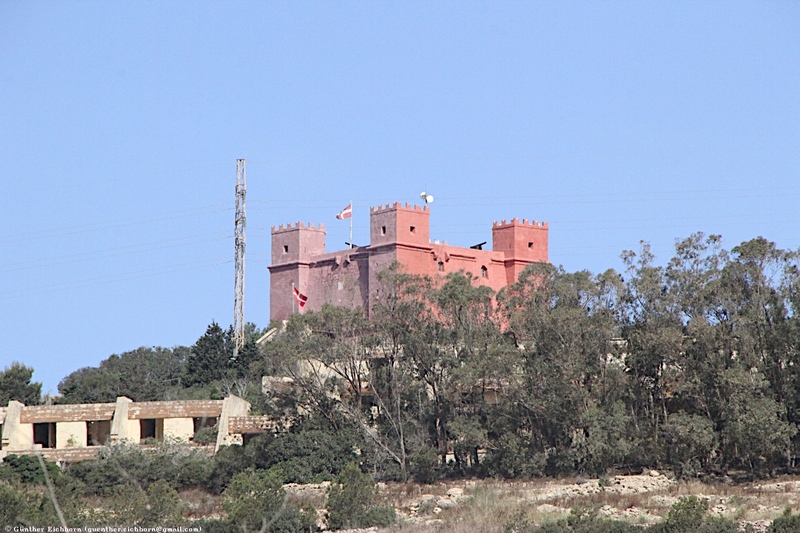 The tower's design is completely different from the rest of the Lascaris towers, but it is similar to the earlier Wignacourt towers. 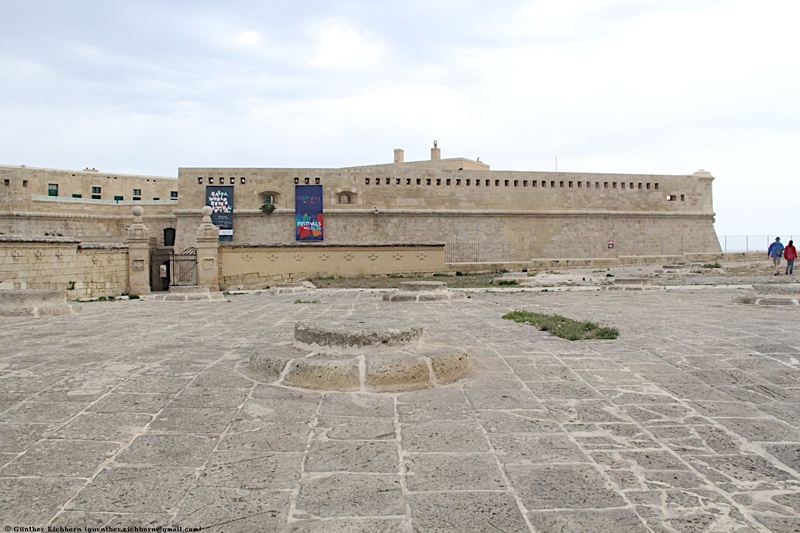 St. Agatha's Tower was the last large bastioned tower to be built in Malta.